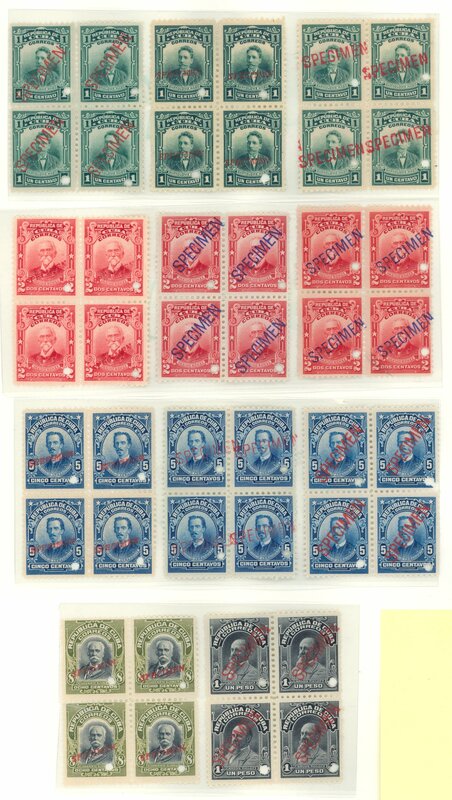 632 Scott C43 Waterlow & Sons proof, MNH. 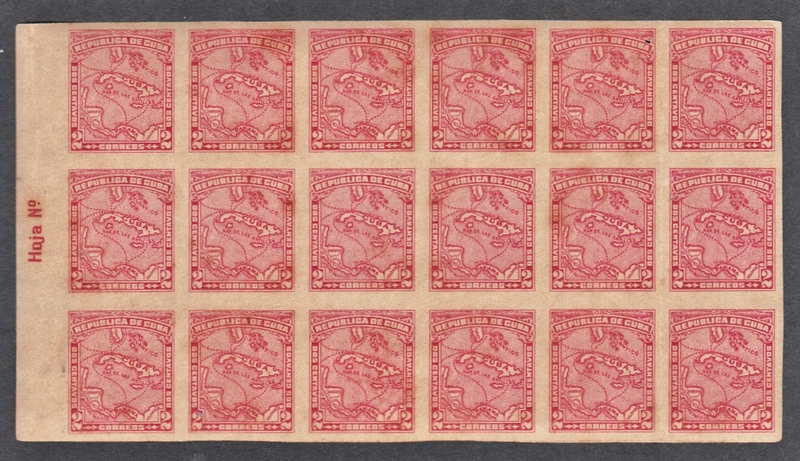 633 Scott C43 Waterlow & Sons proof, MNH. 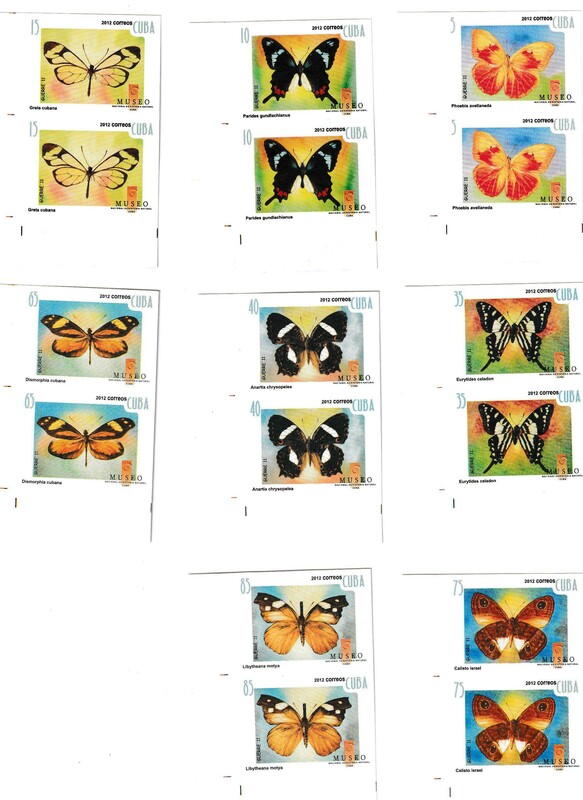 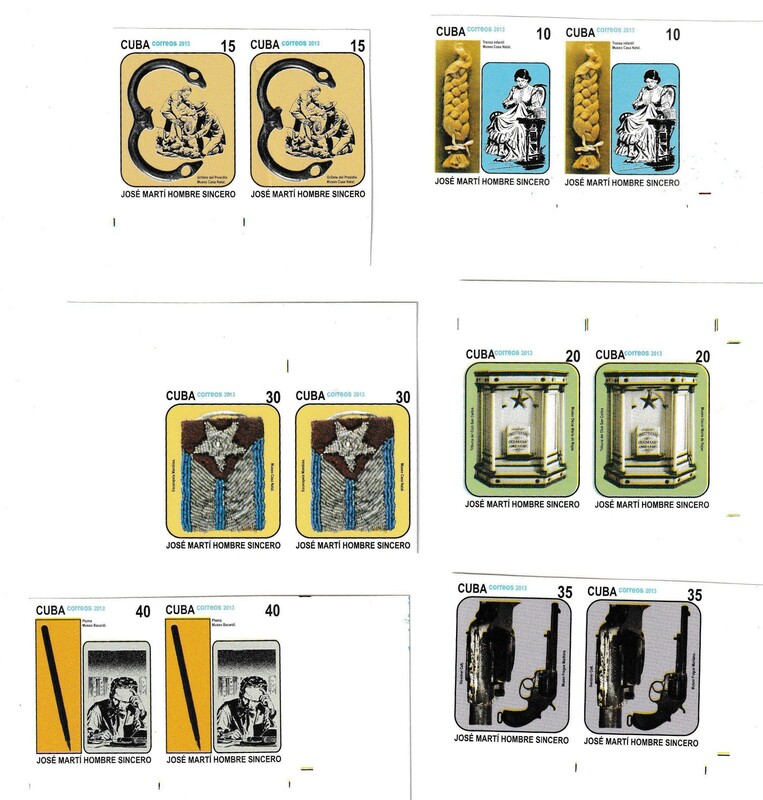 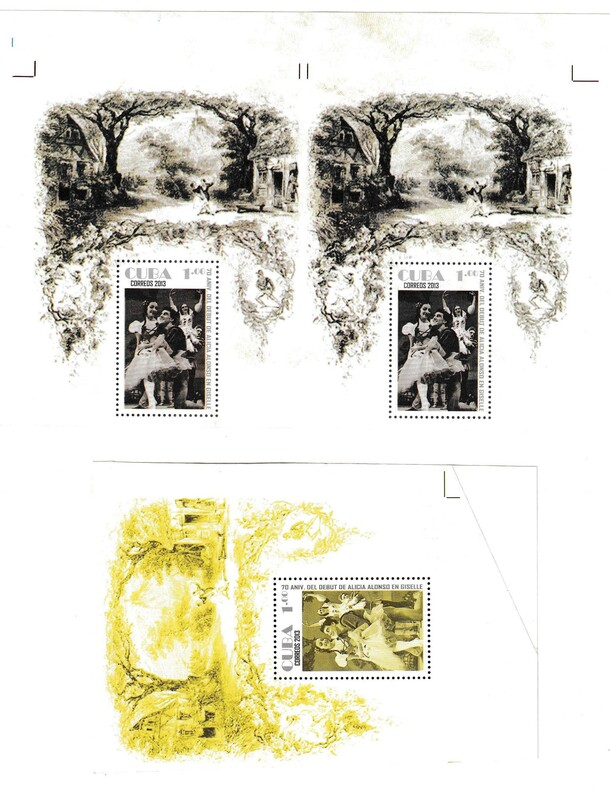 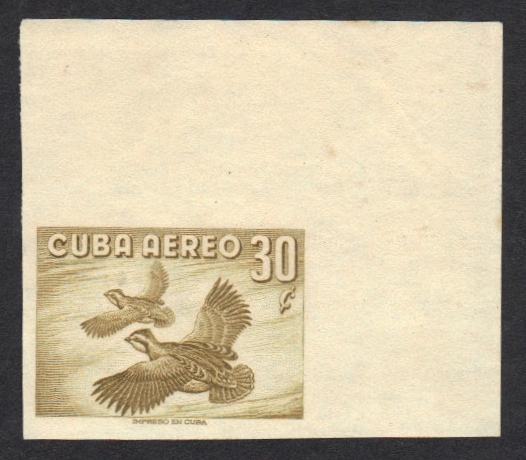 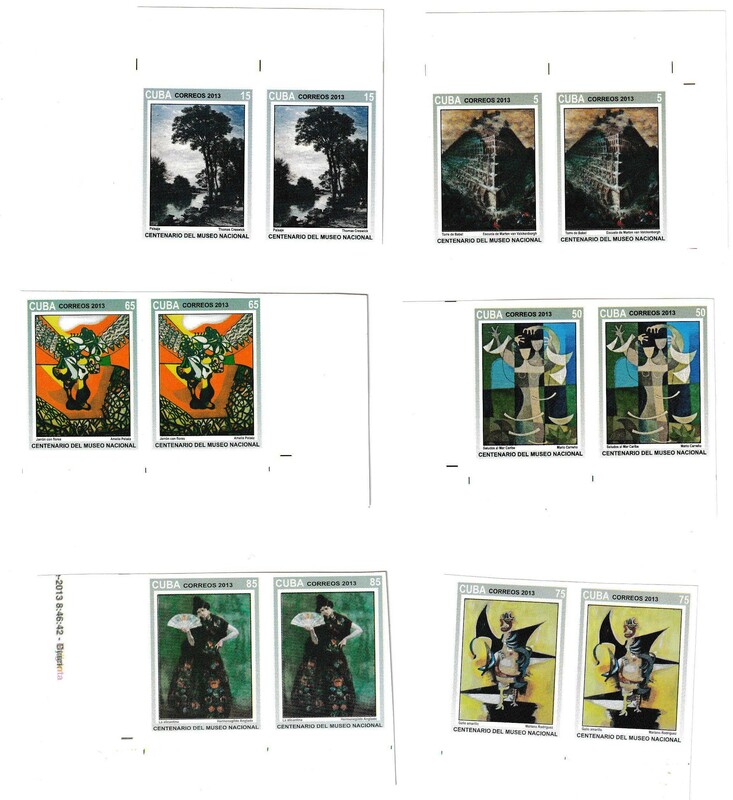 Edifil 666s Imperforate Proof of the 30c stamp from the 1956 Birds series. 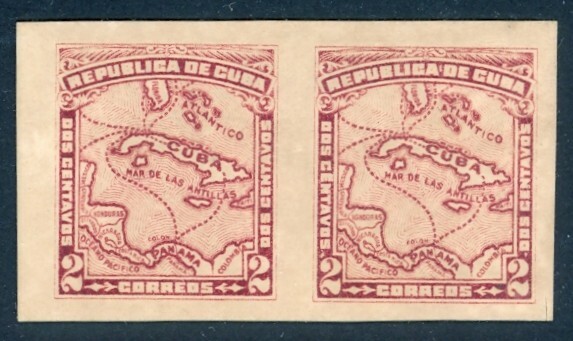 Two jumbo margins (corner position). 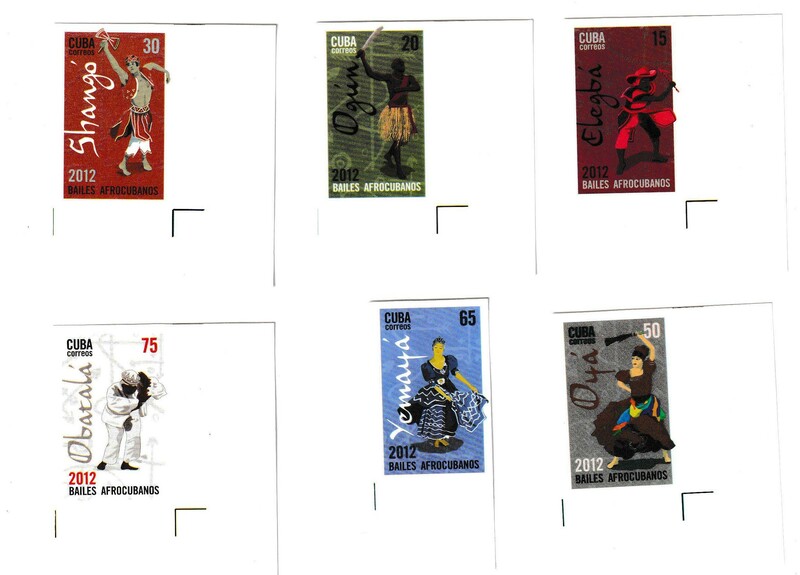 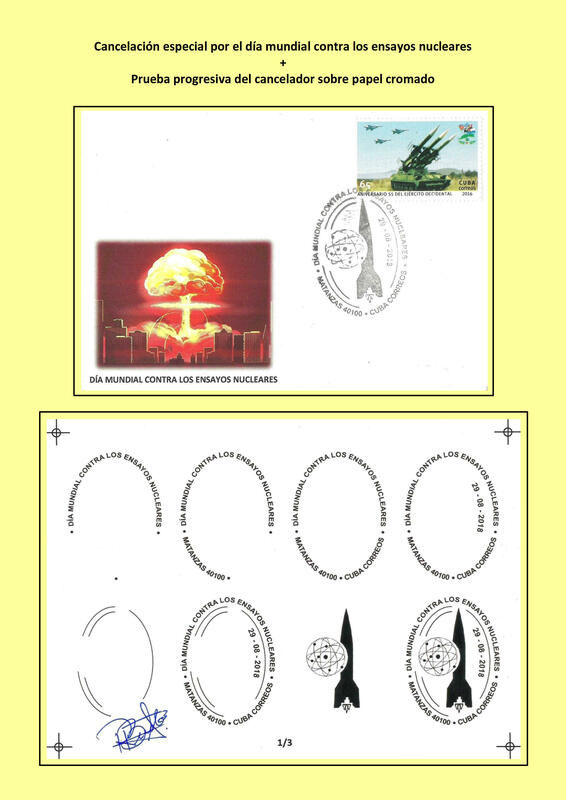 New, no gum as issued. 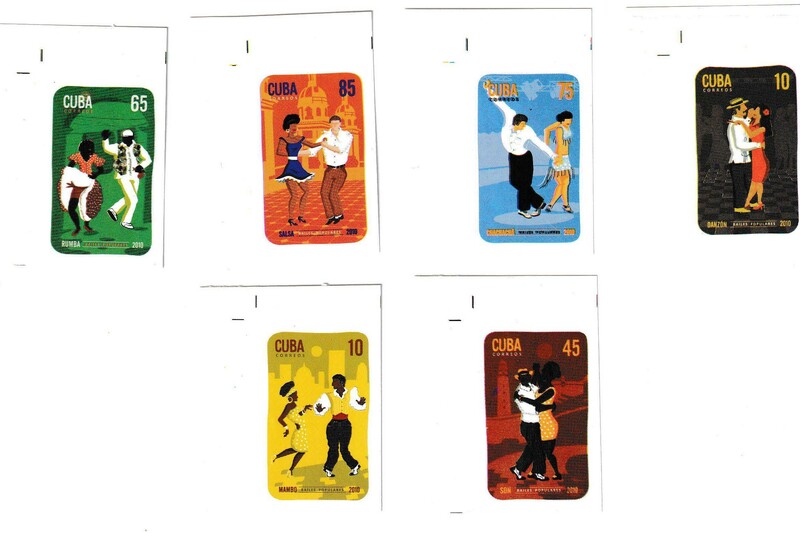 637S Año 2011; Bailes Populares. 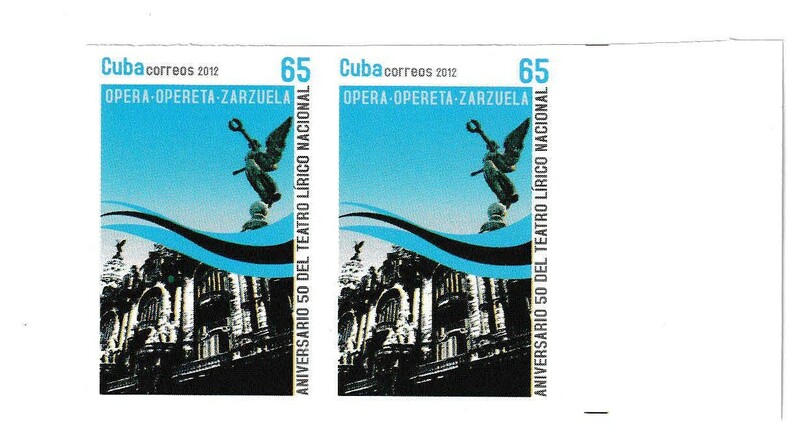 637V Año 2012; Congreso Africano. 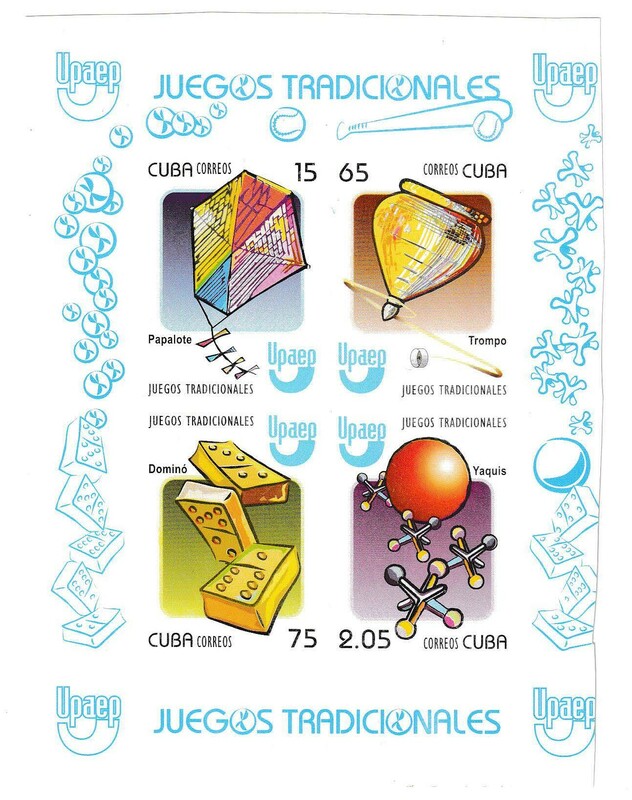 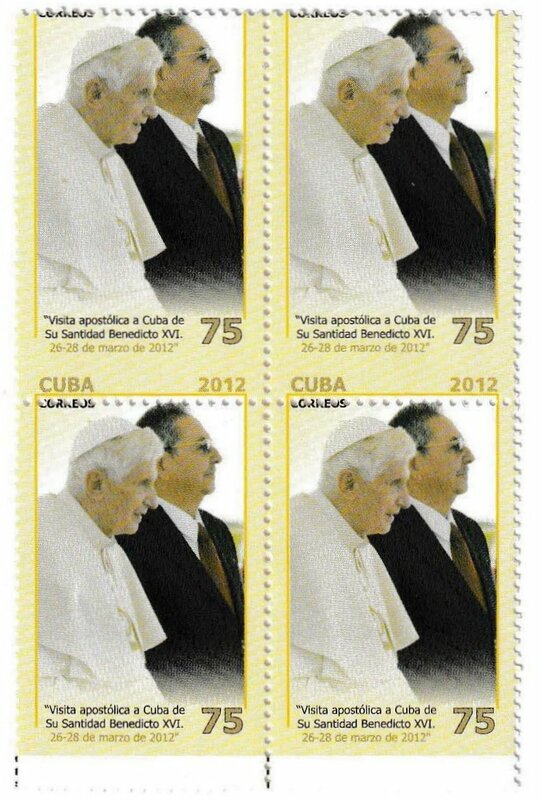 Cuba y Timor del Este. 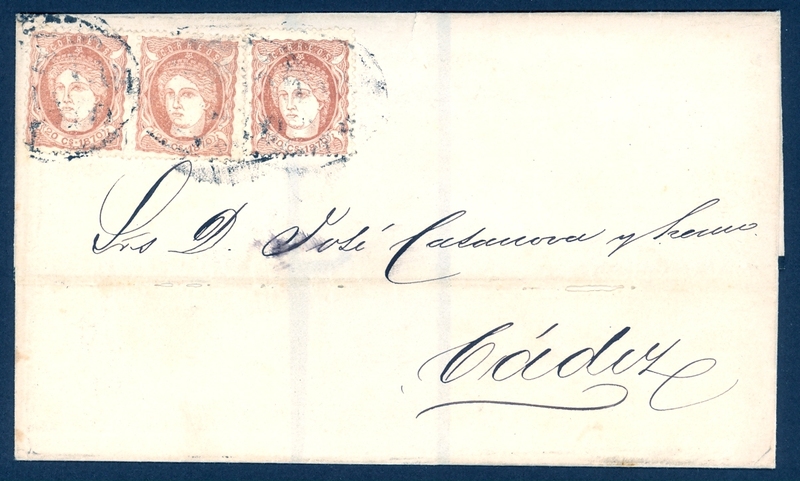 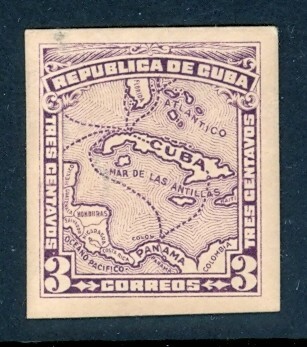 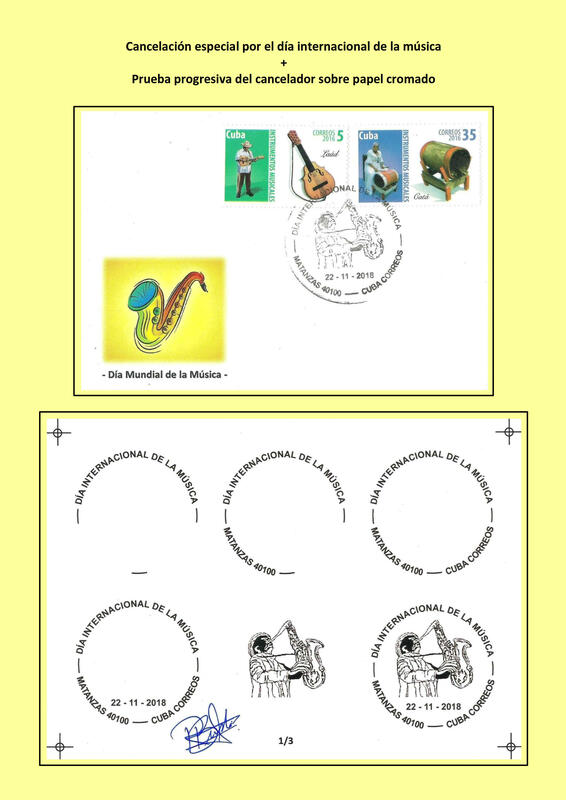 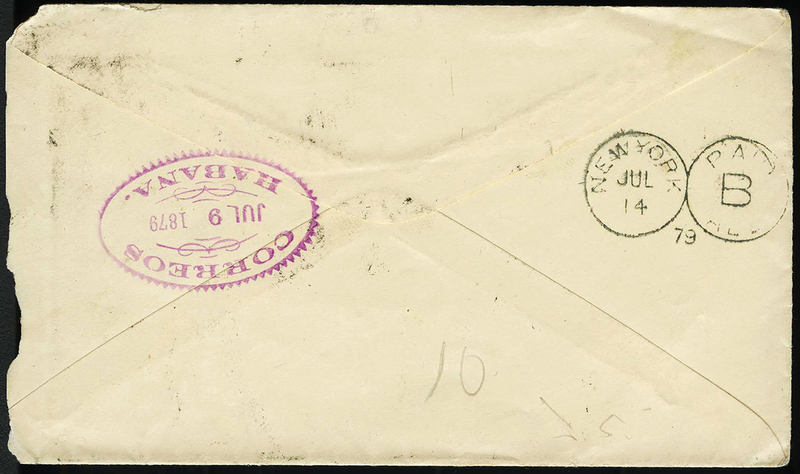 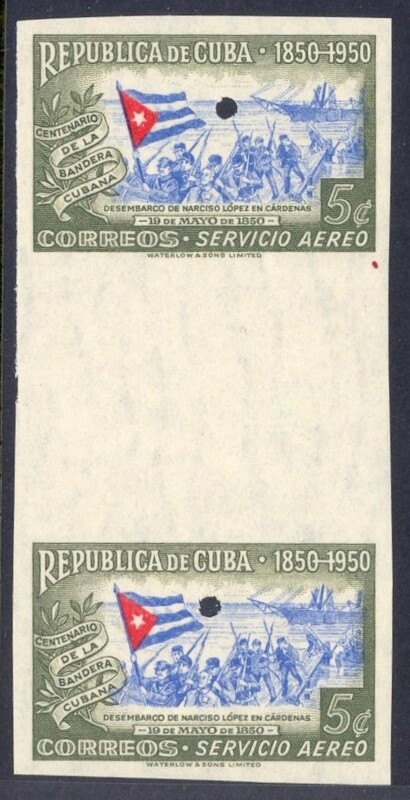 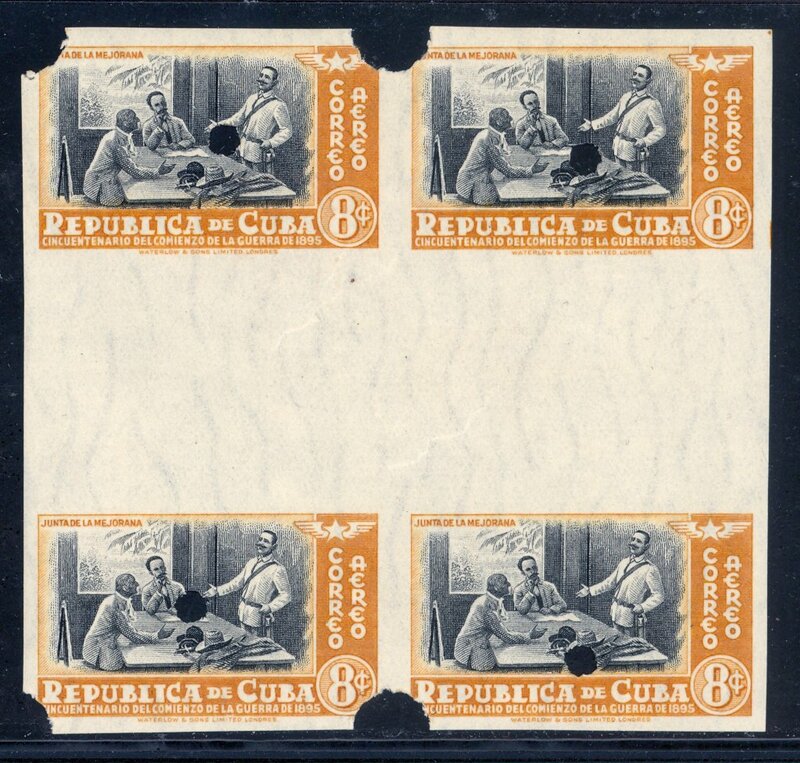 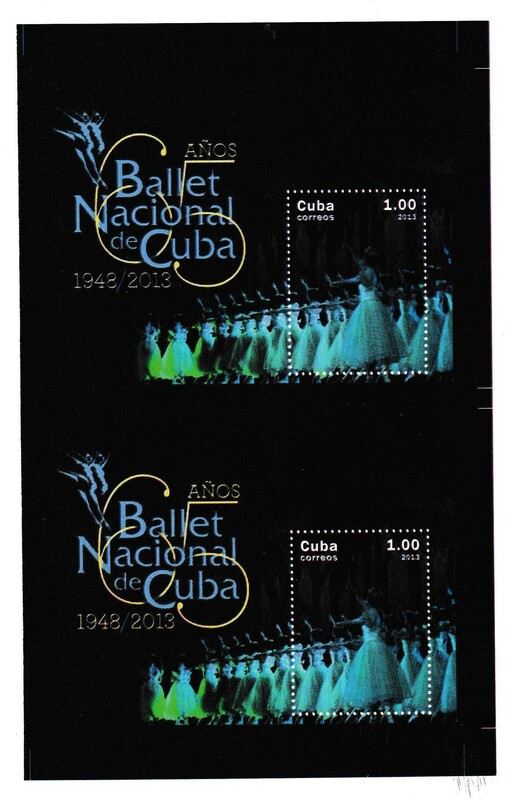 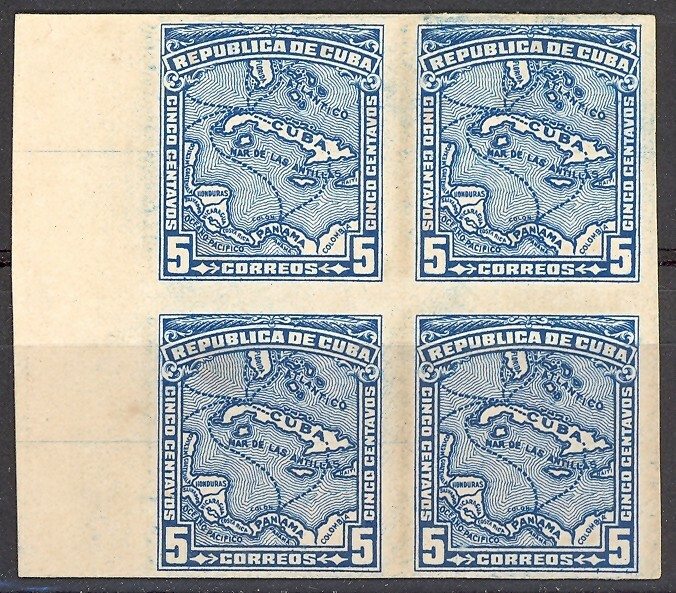 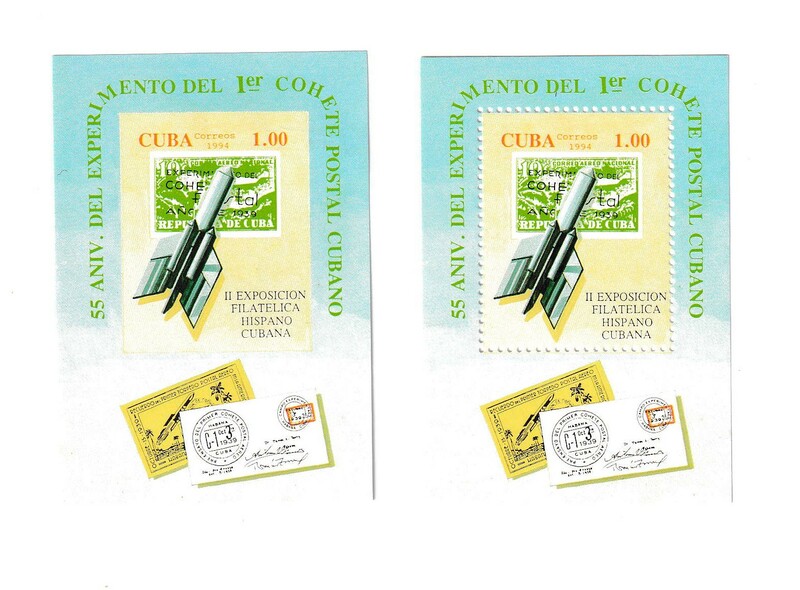 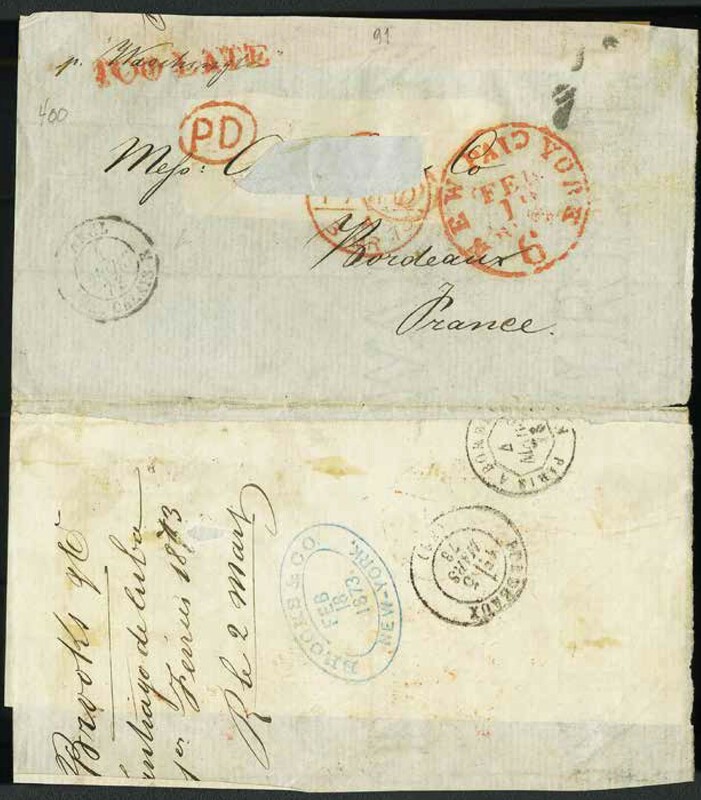 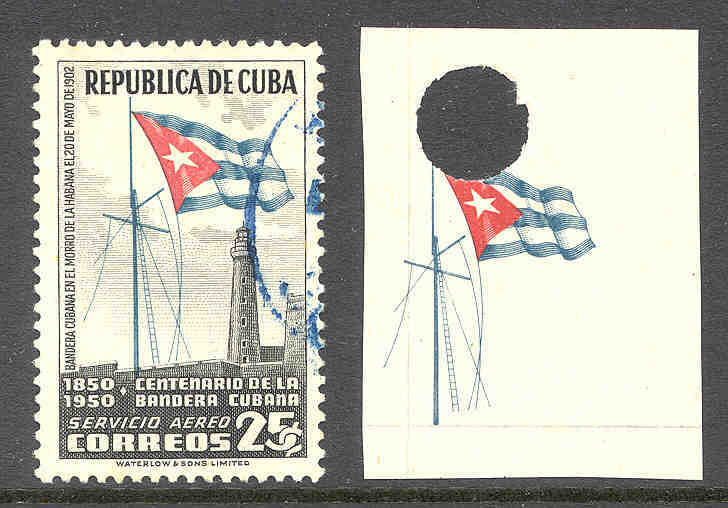 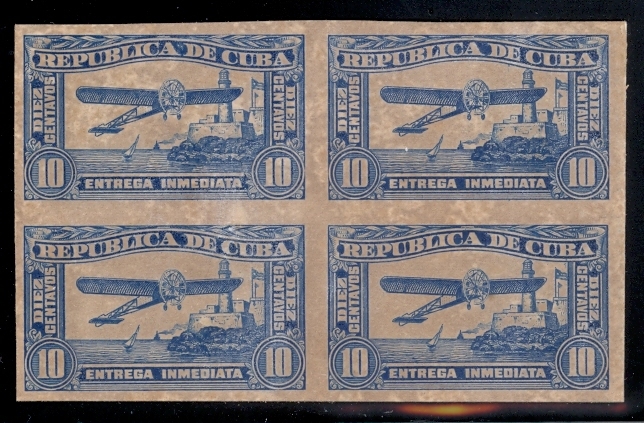 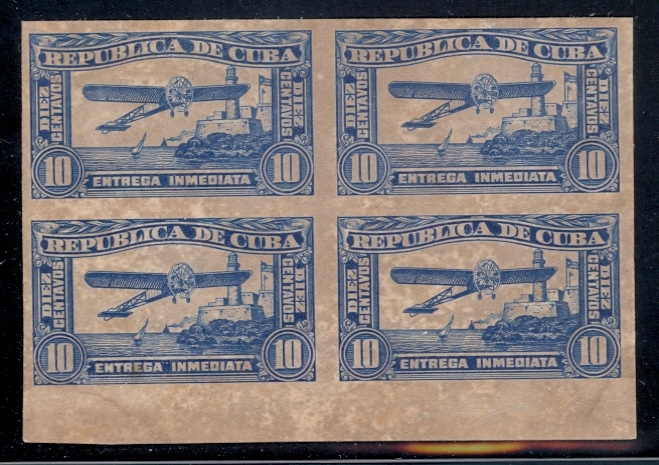 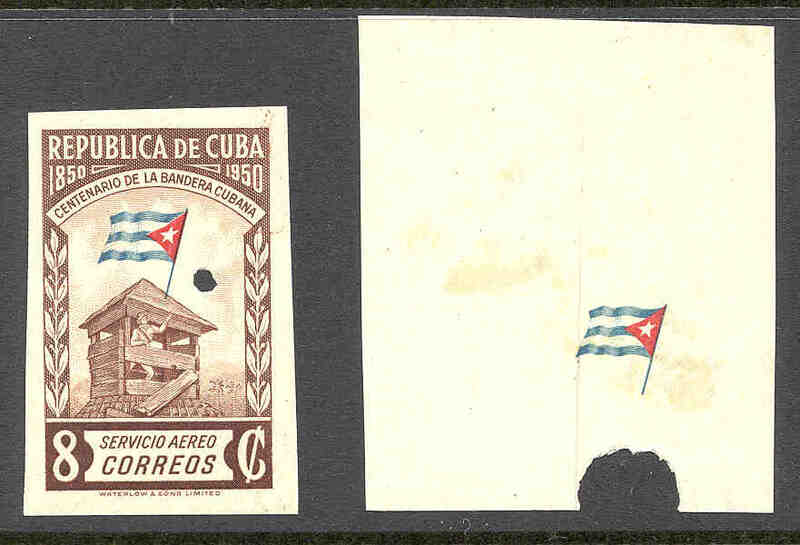 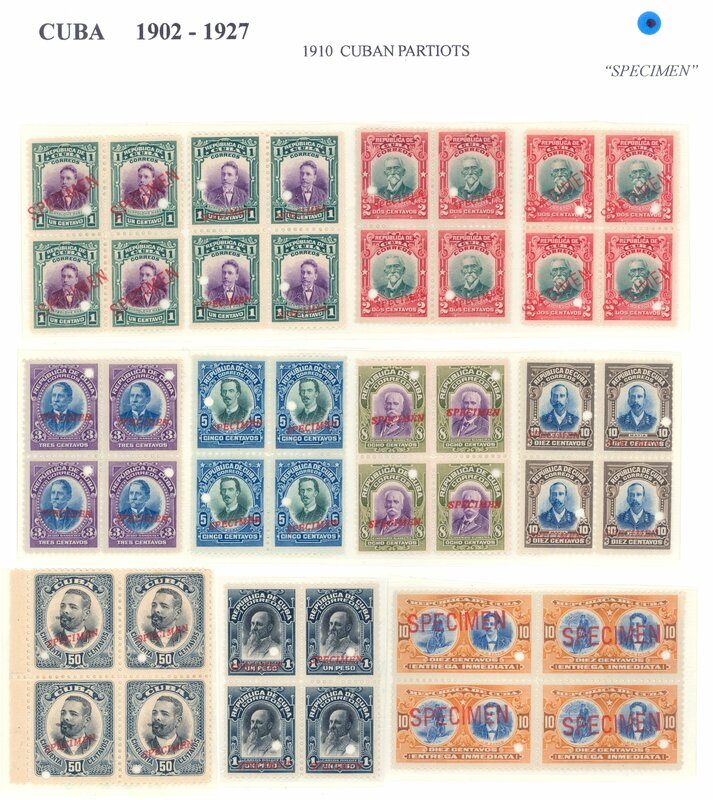 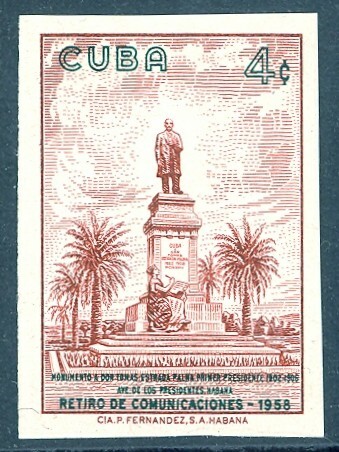 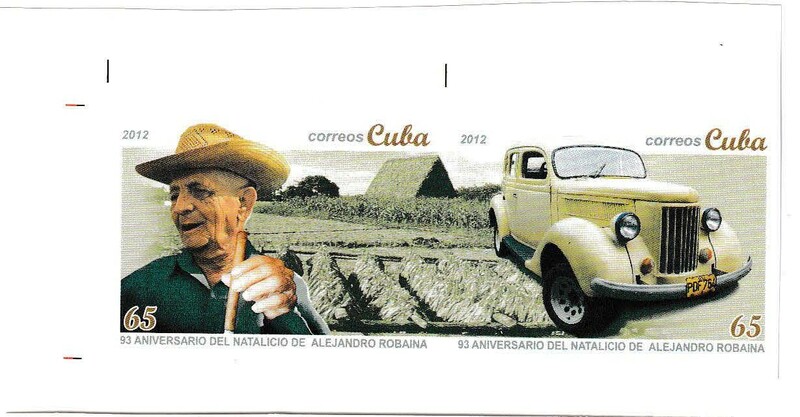 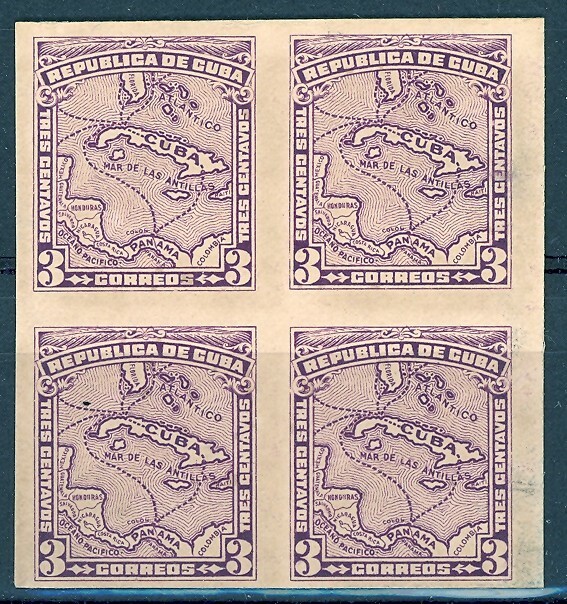 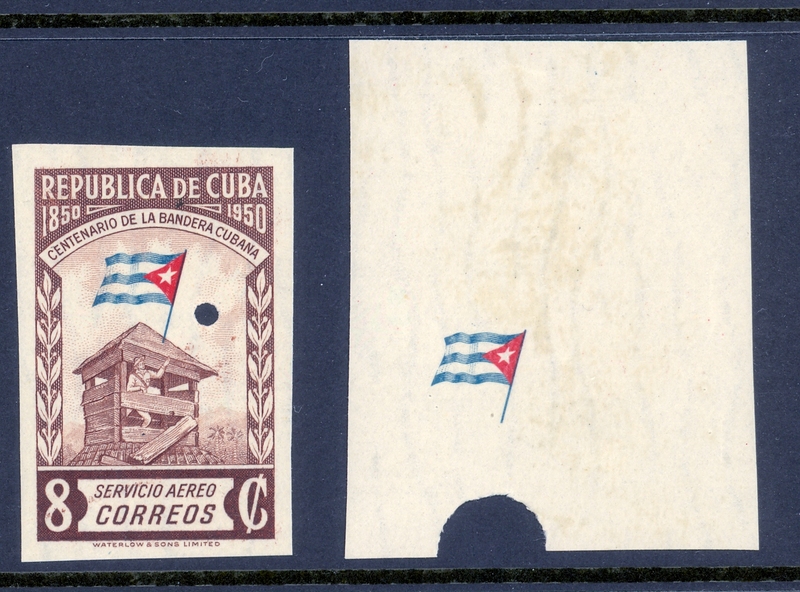 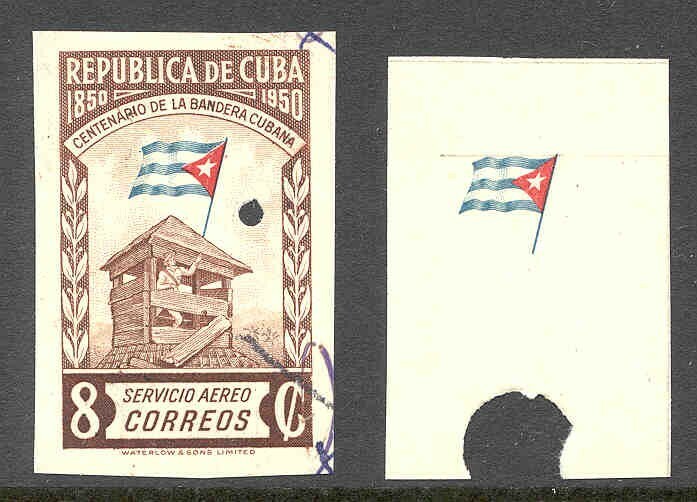 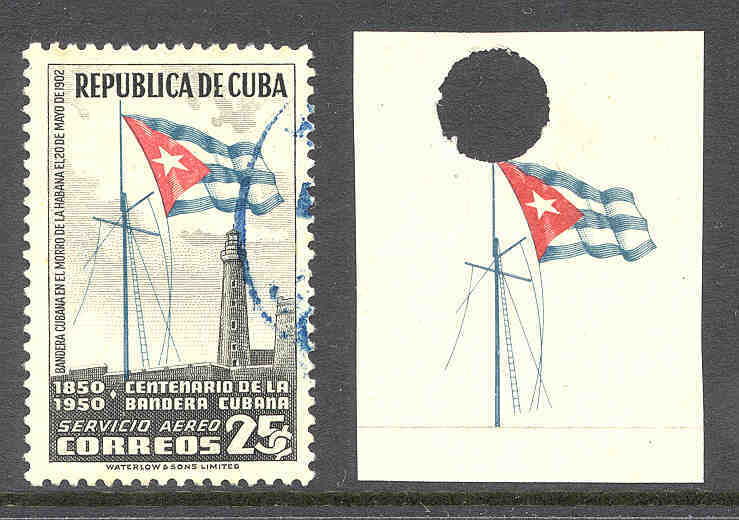 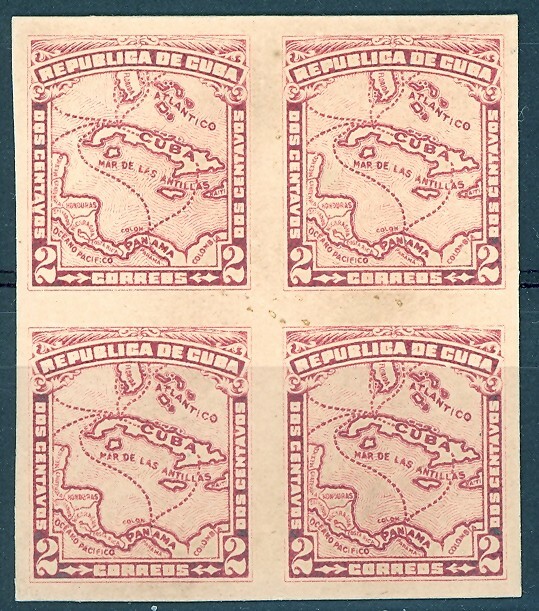 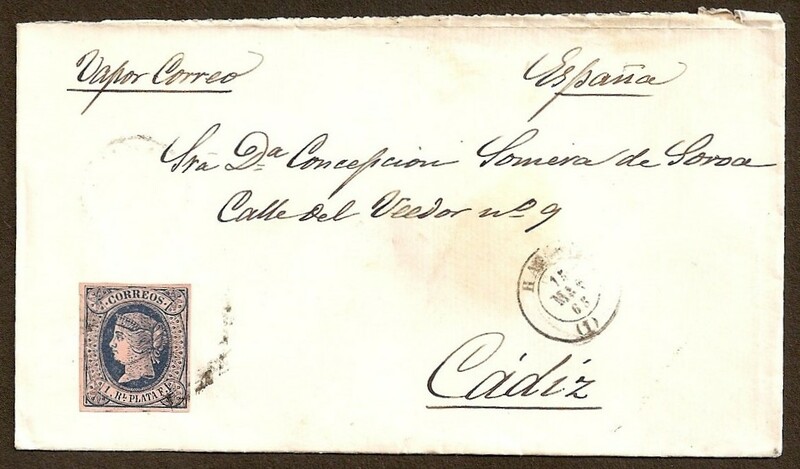 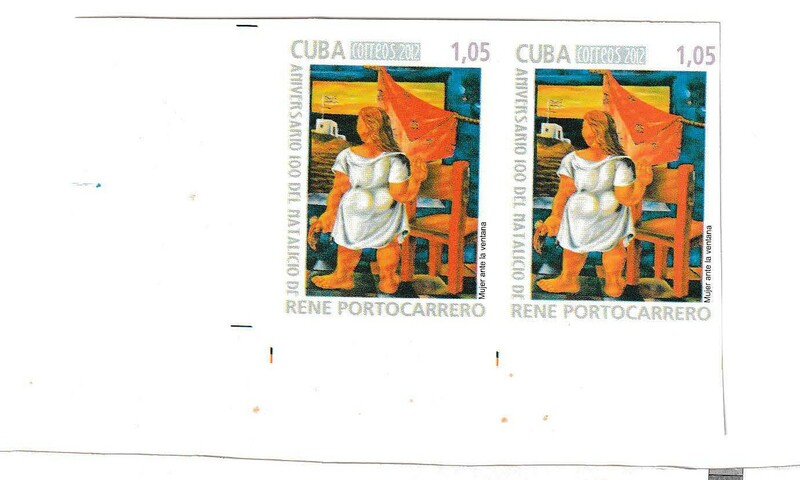 638J - 1873 cover from Santiago de Cuba to France via New York. 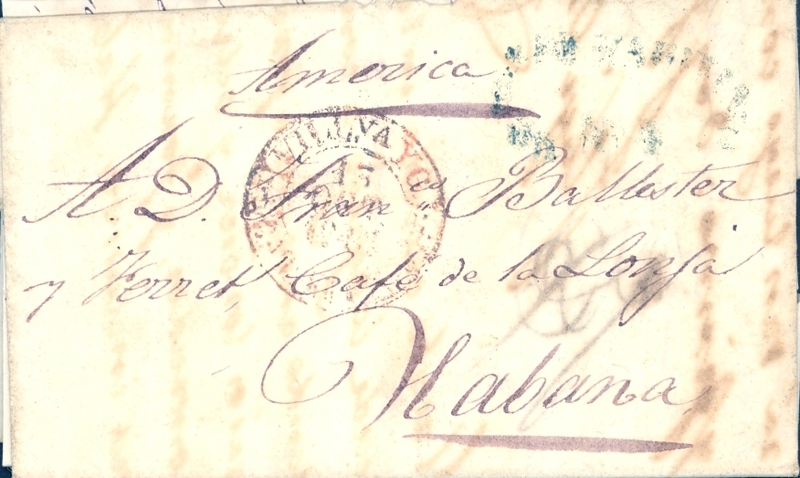 640 Scott 9 to Havana, cover front. 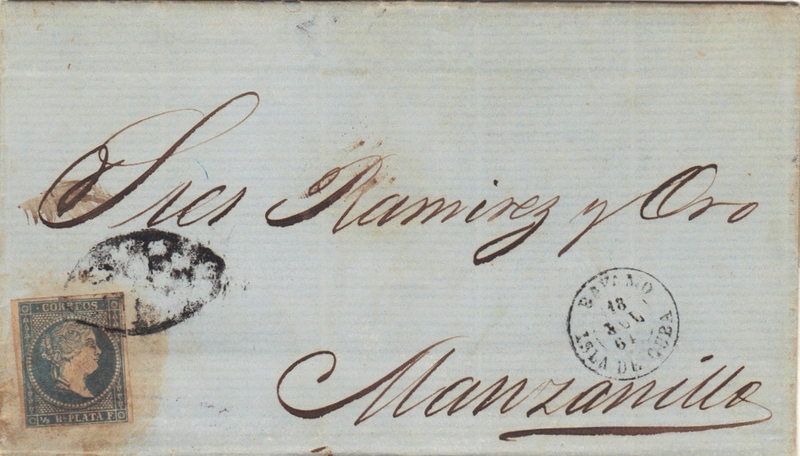 642 Scott 12 Bayamo to Manzanillo. 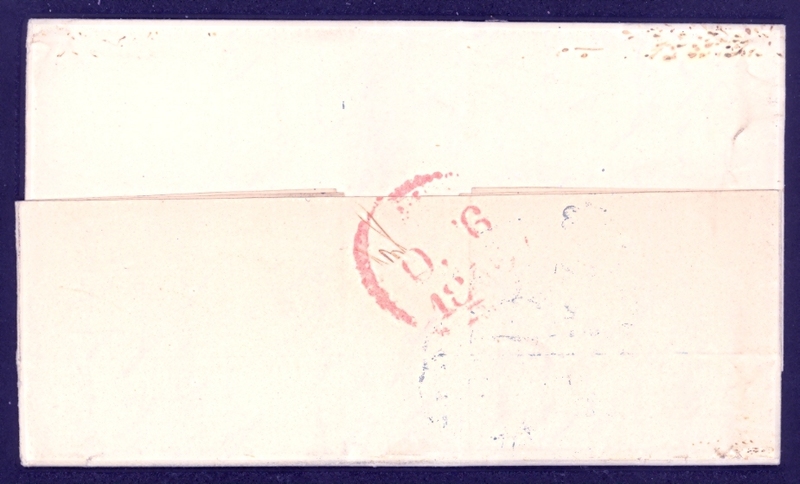 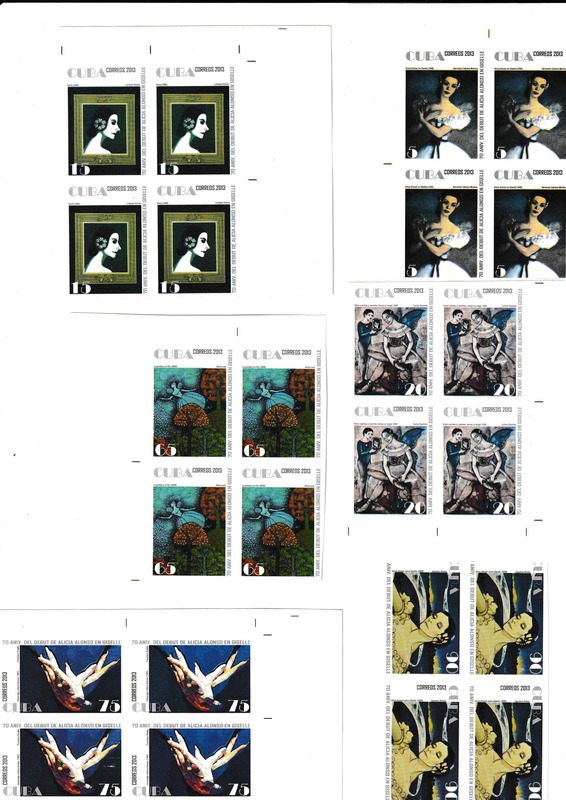 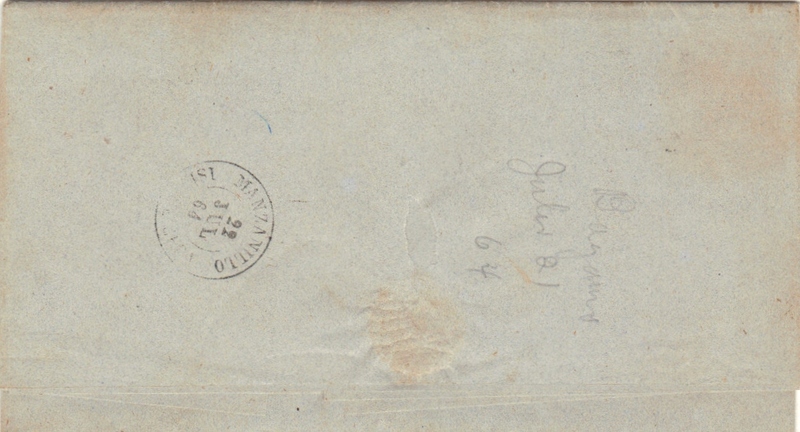 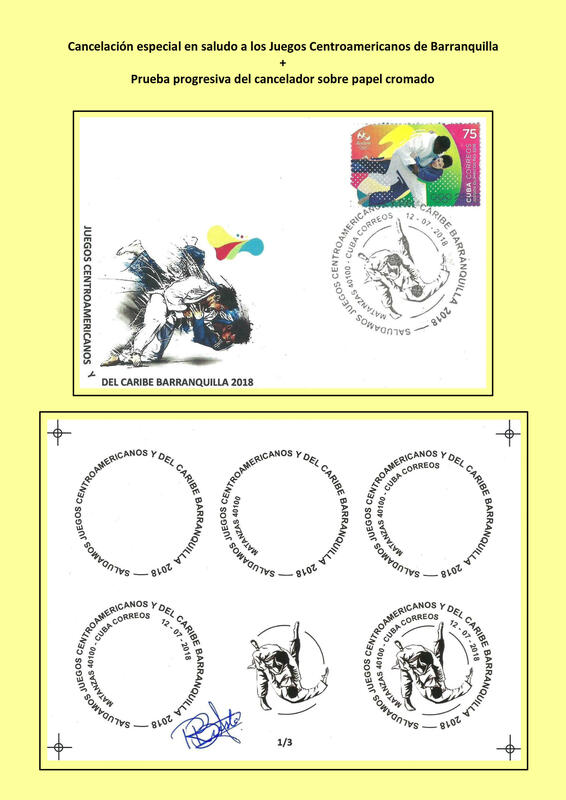 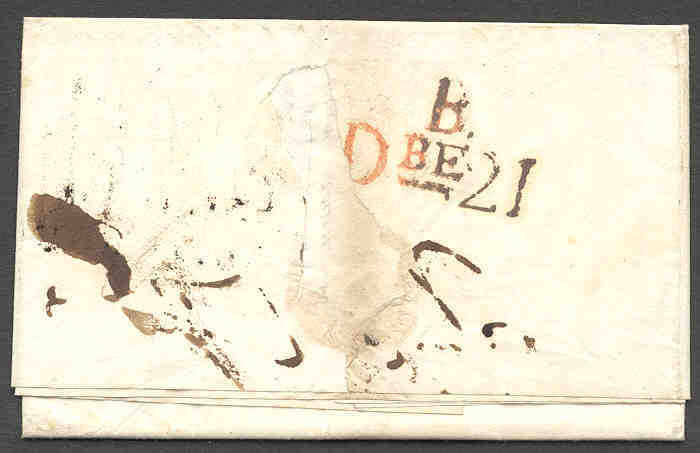 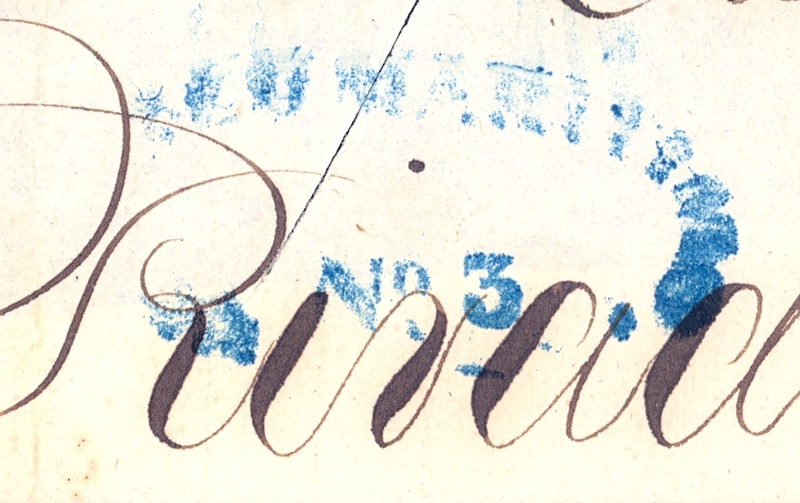 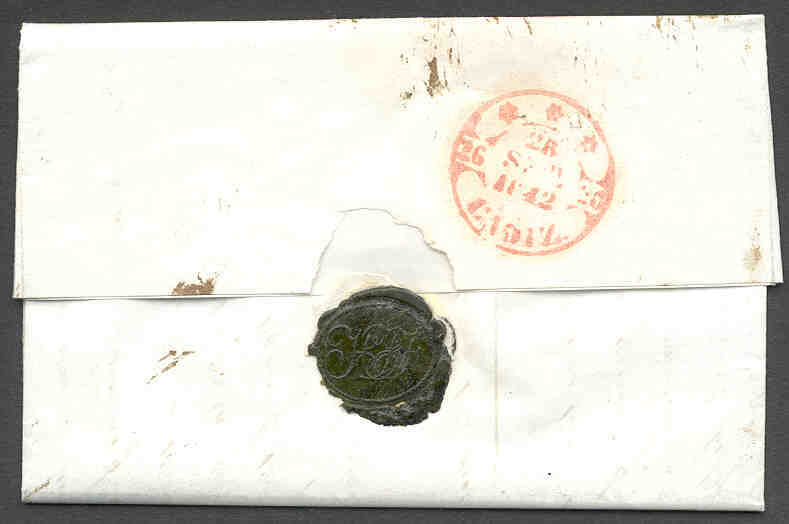 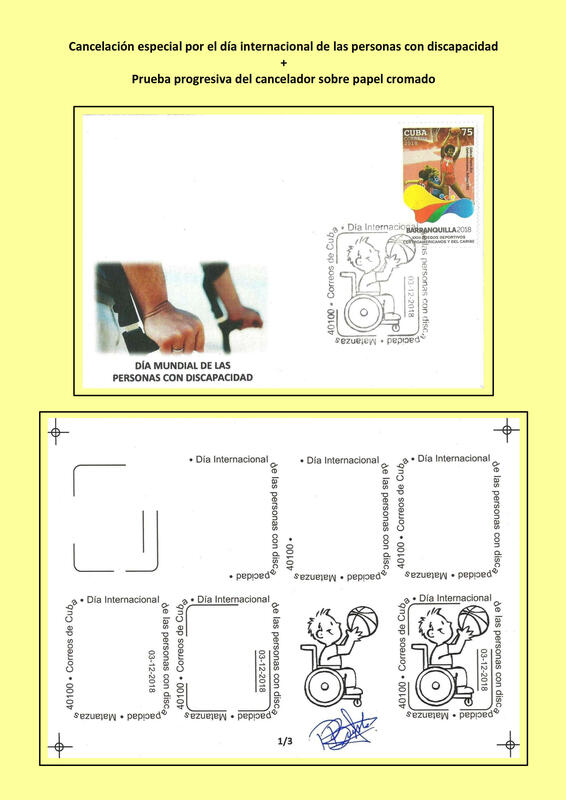 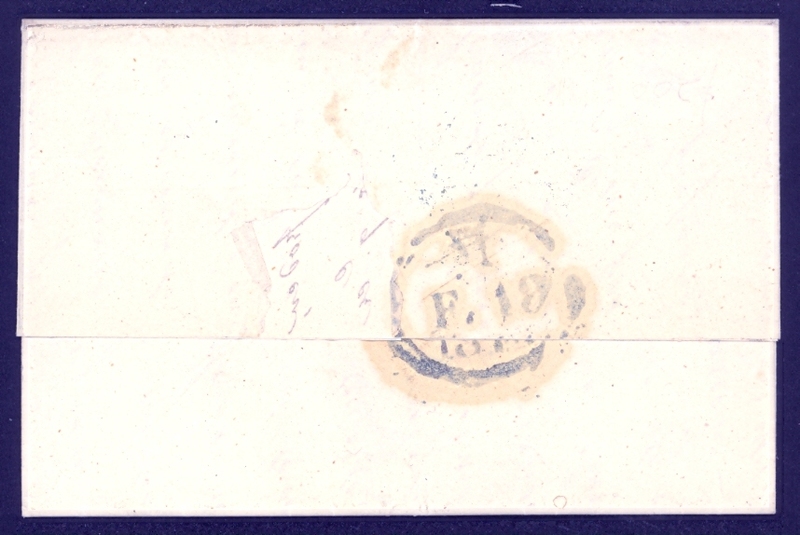 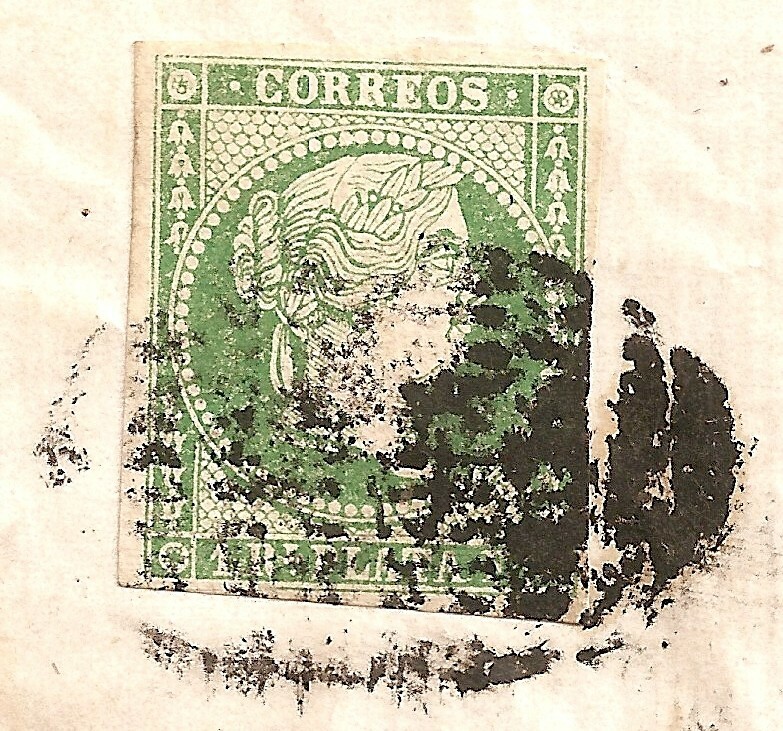 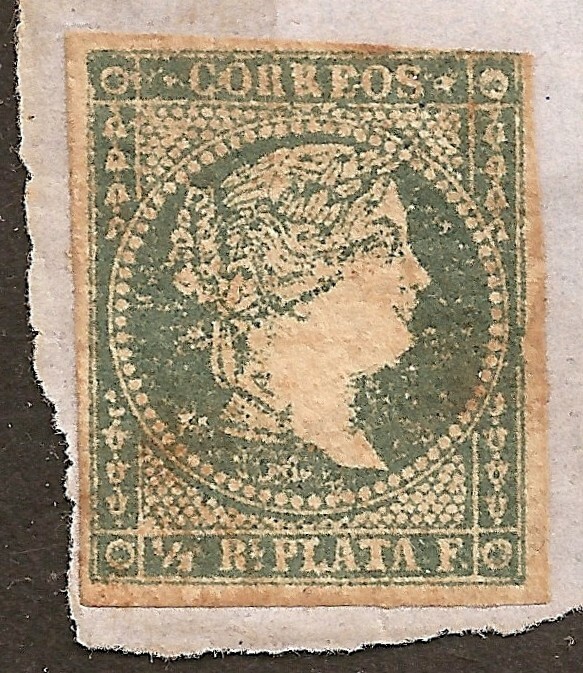 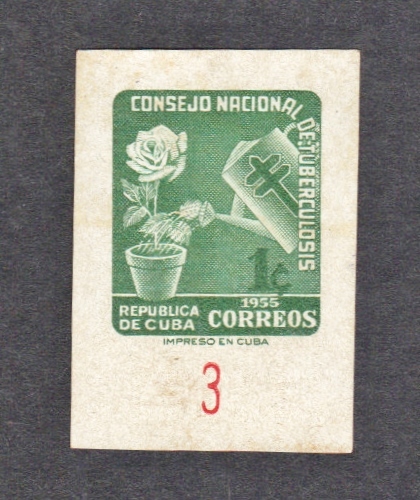 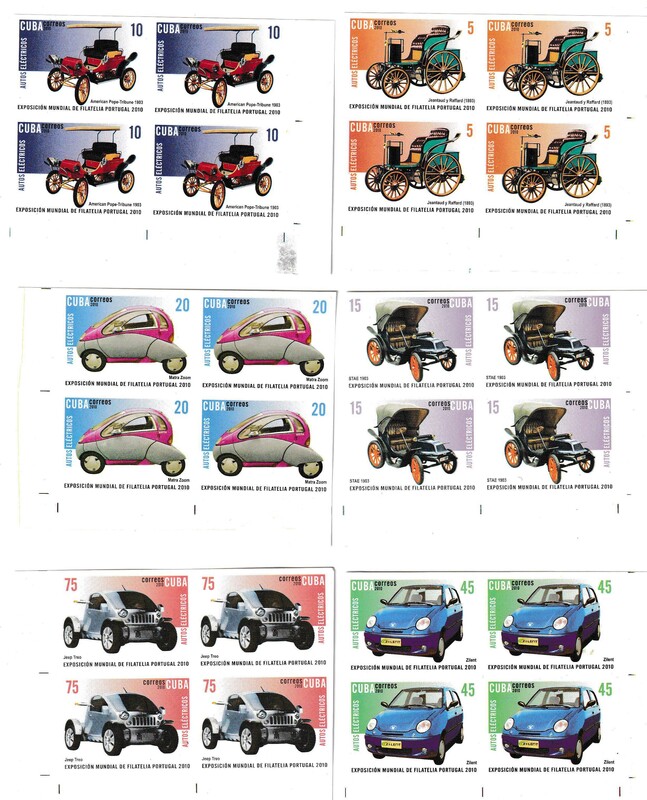 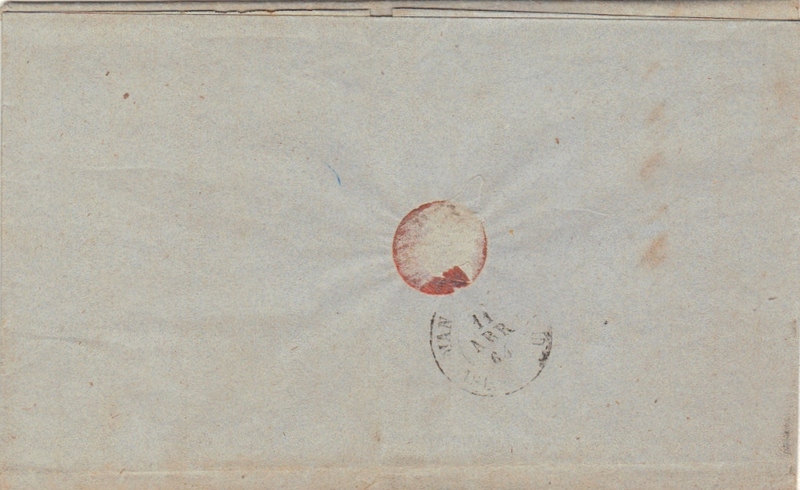 Stamp seems to be from Position 1, 1 in the plate. 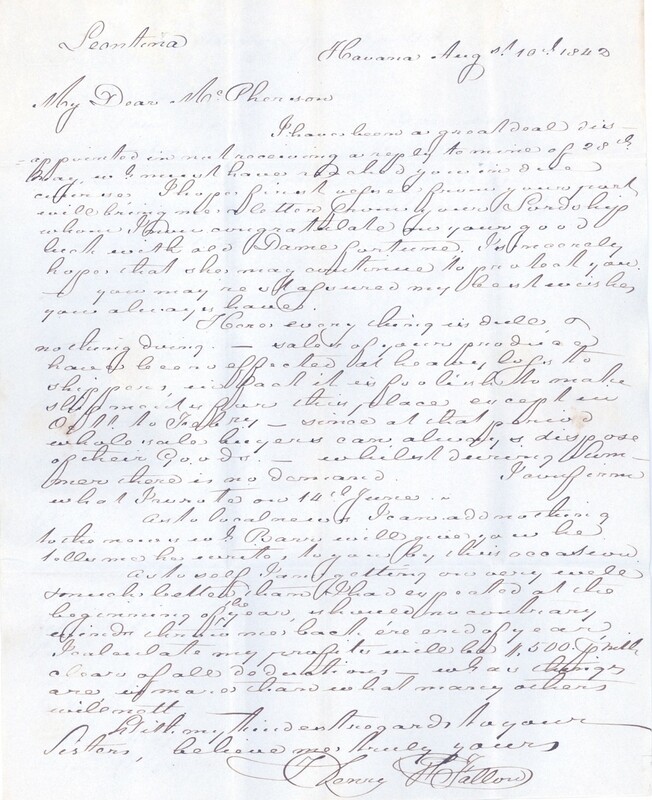 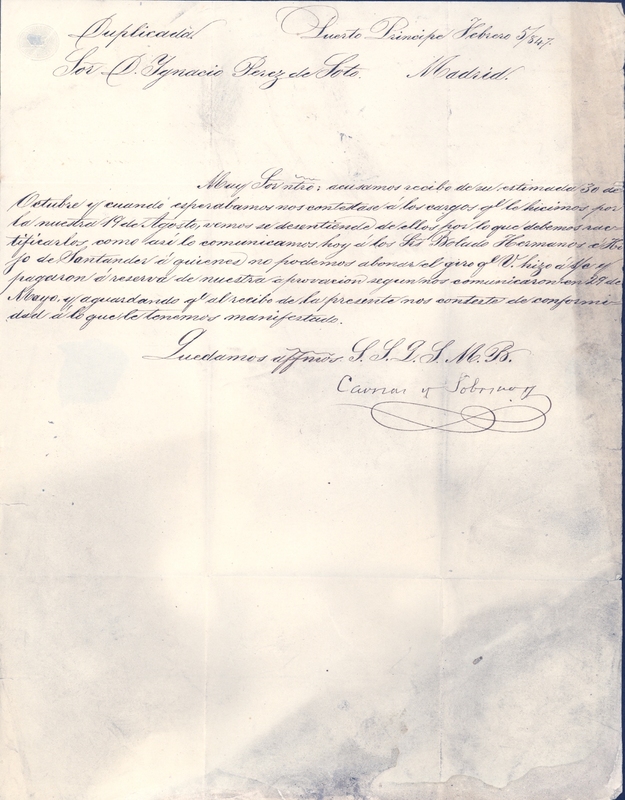 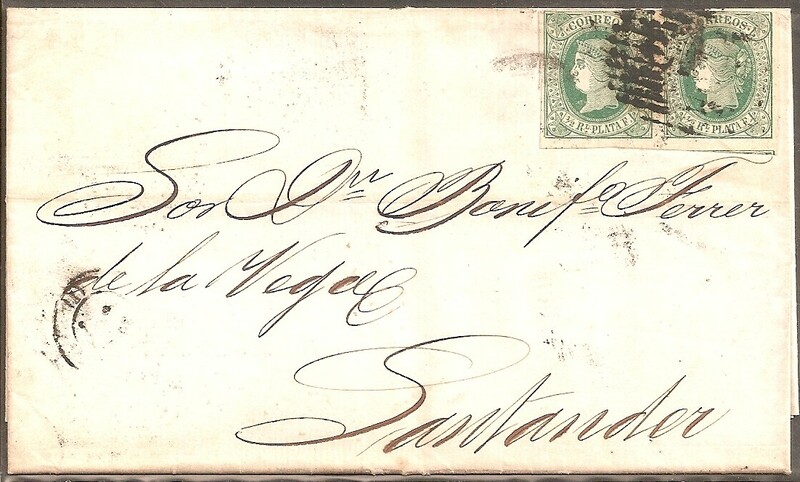 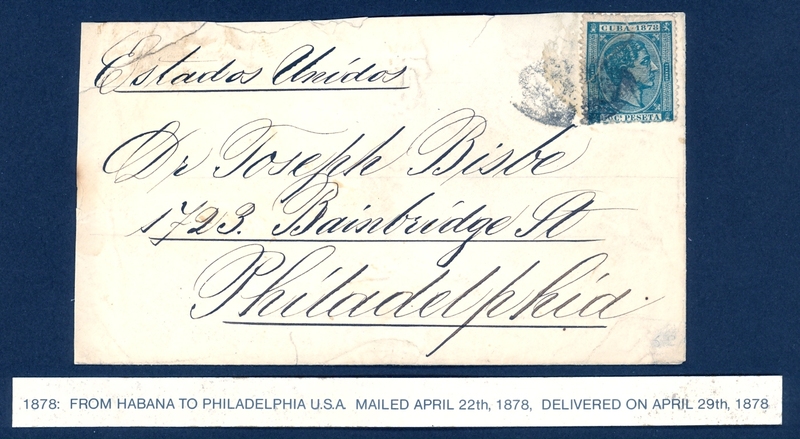 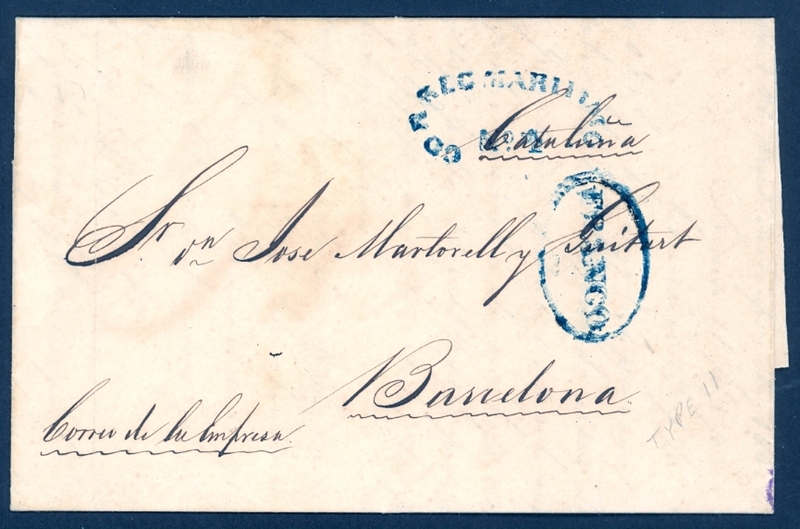 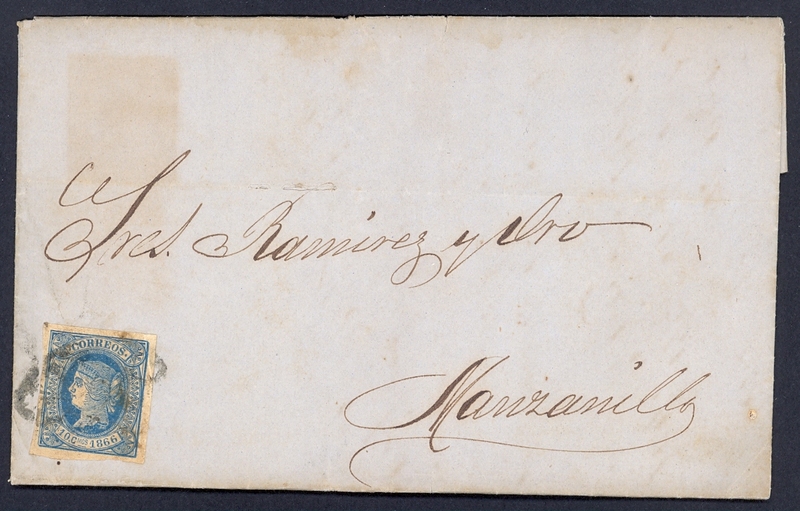 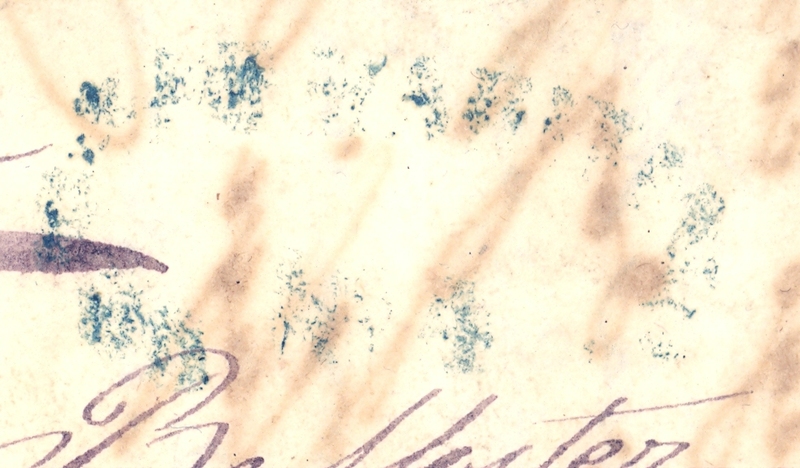 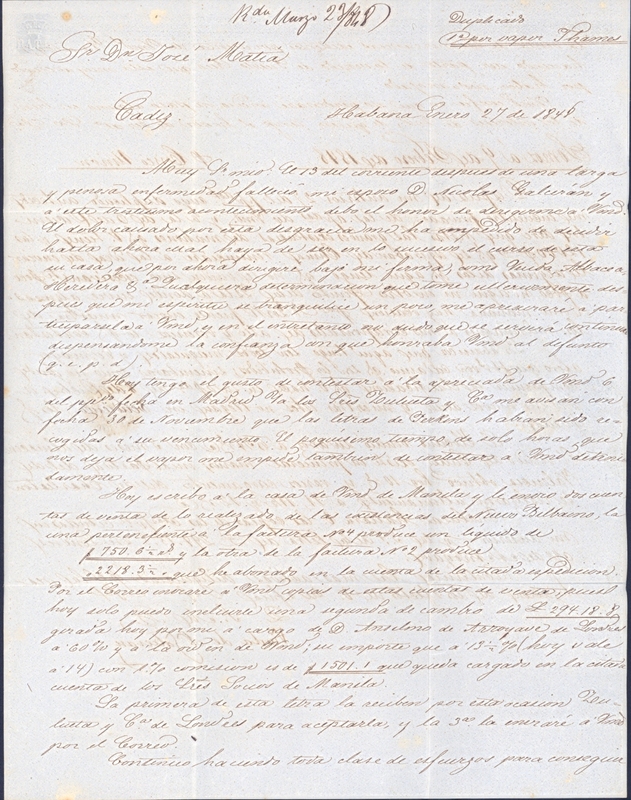 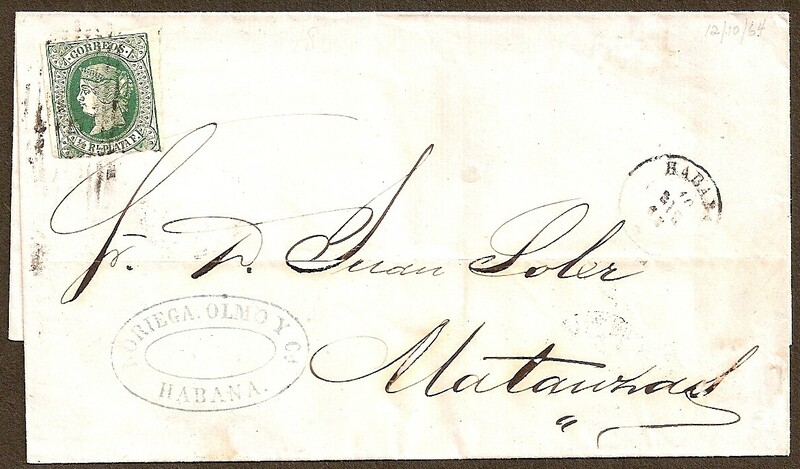 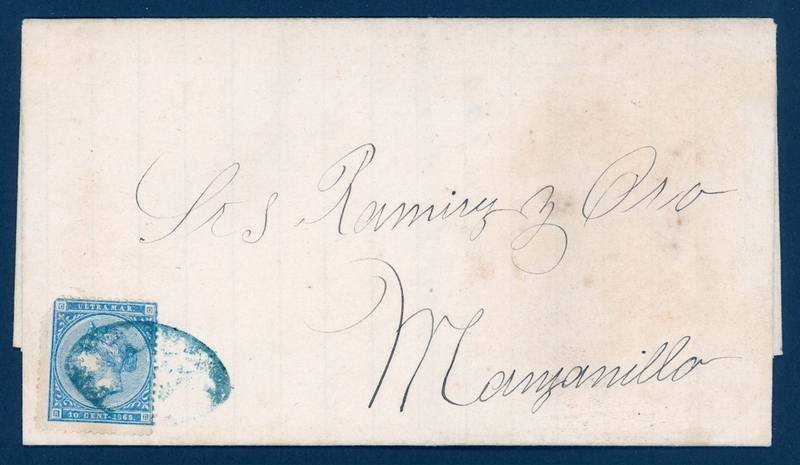 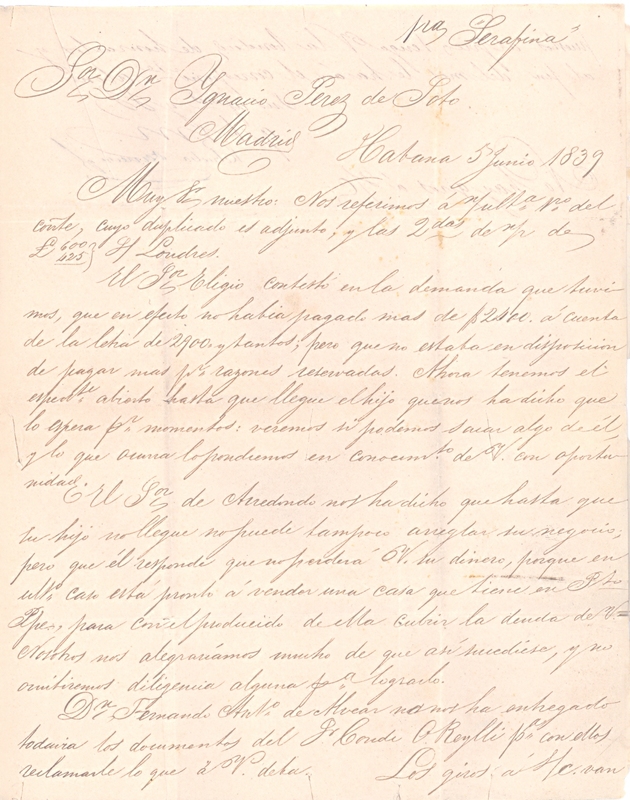 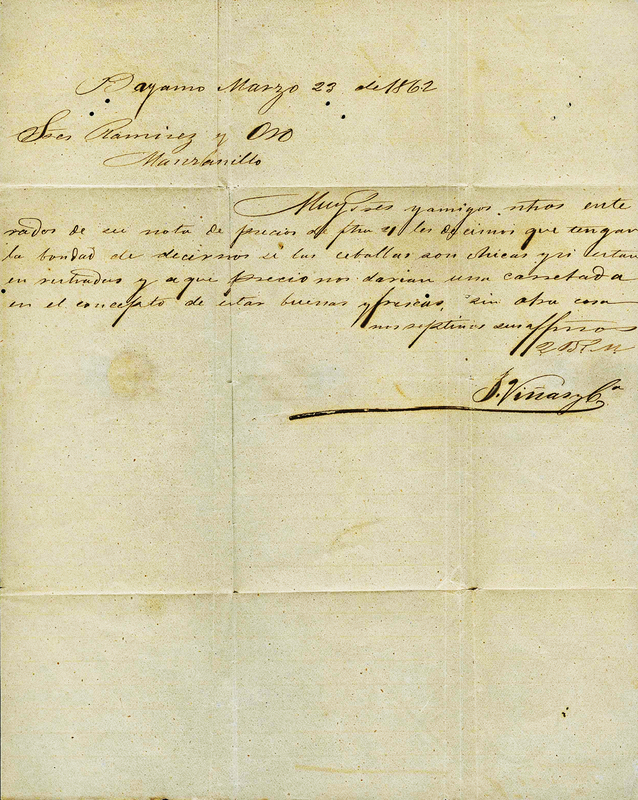 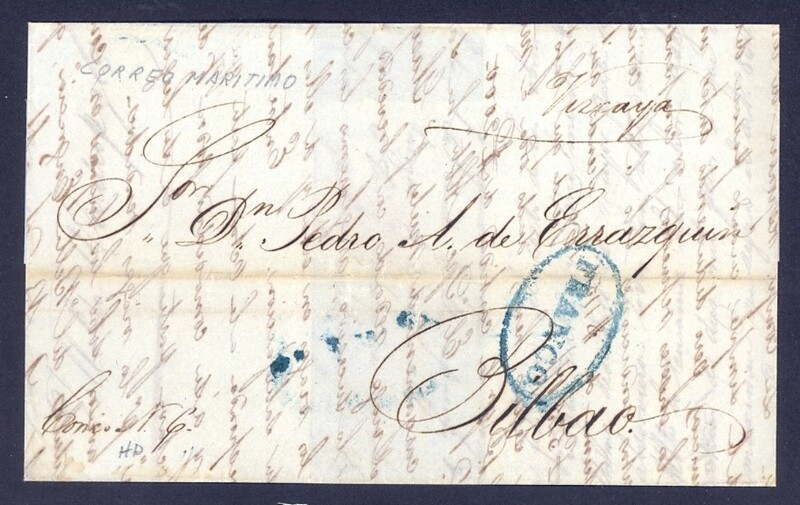 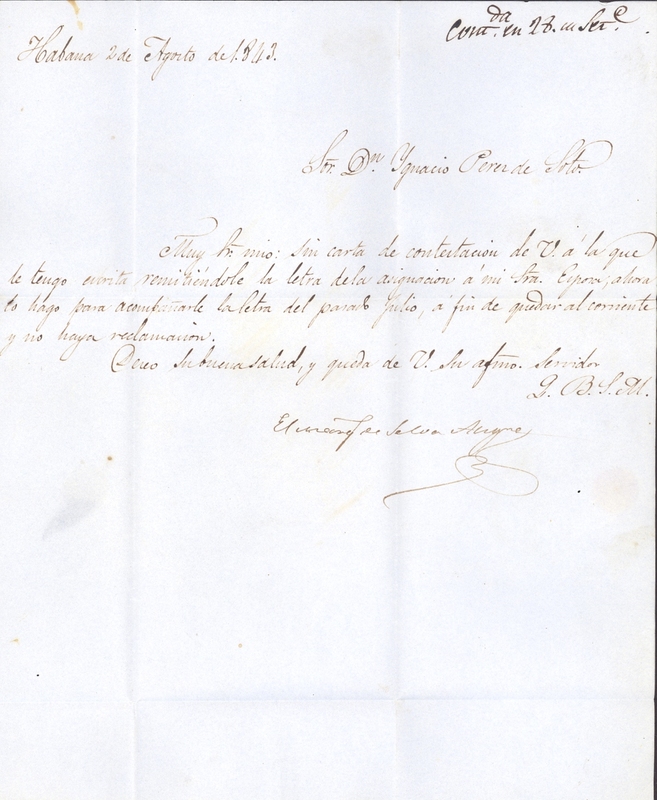 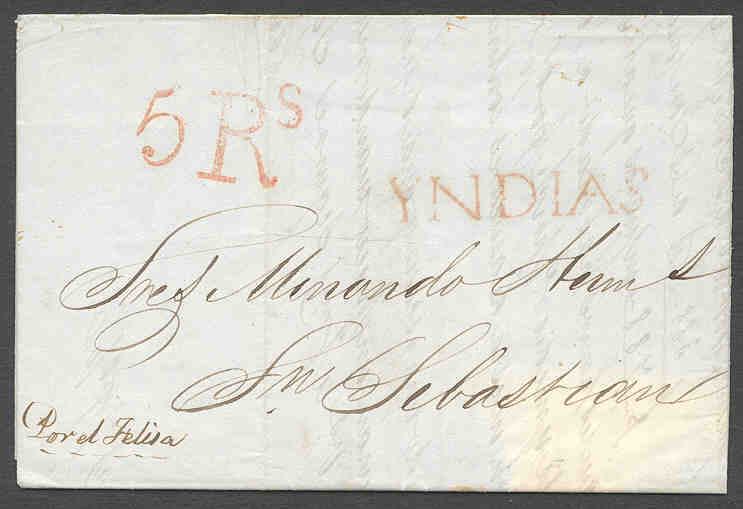 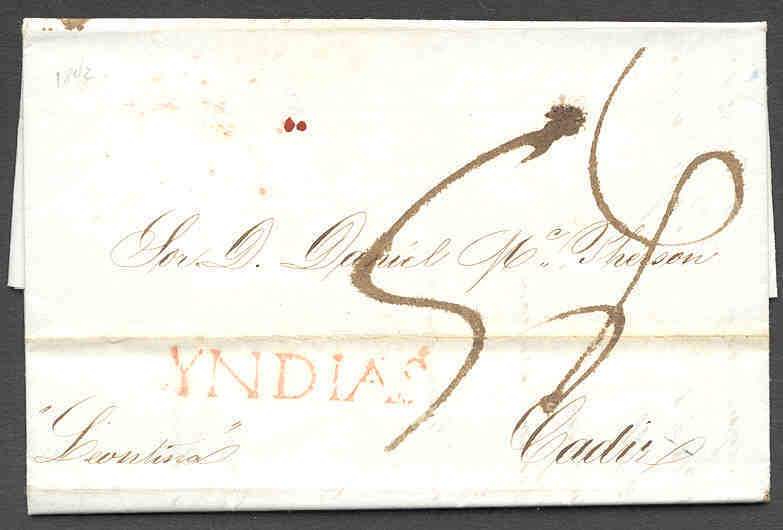 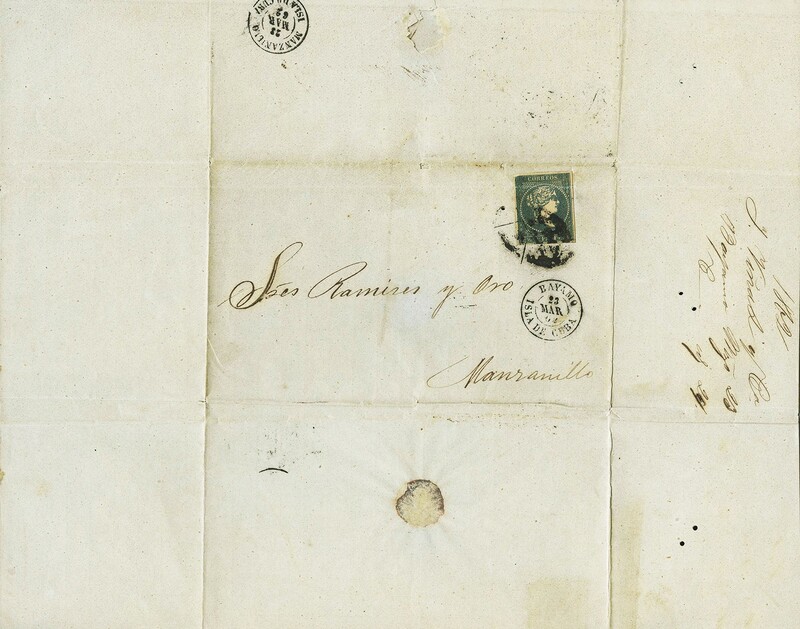 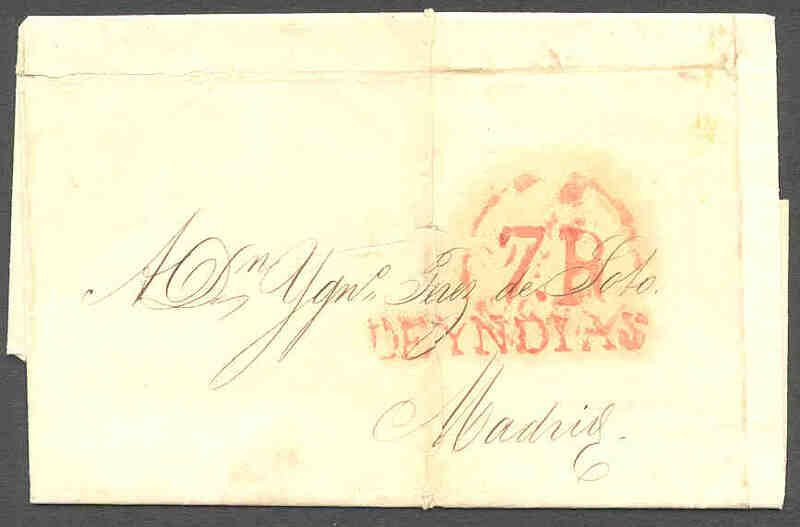 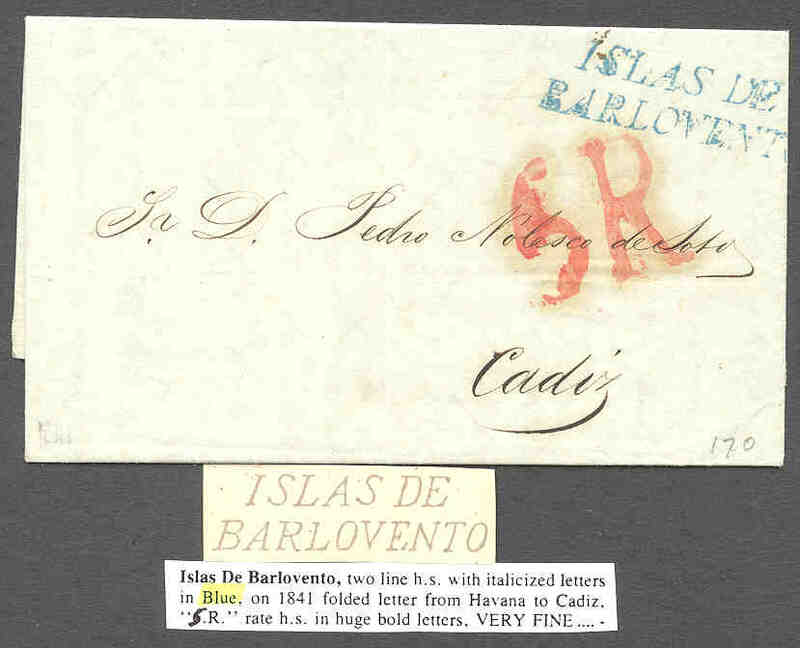 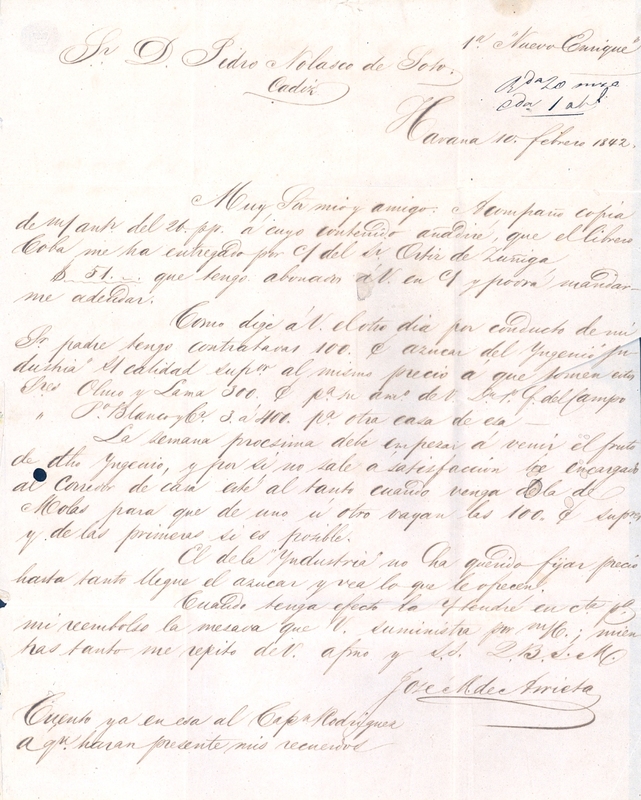 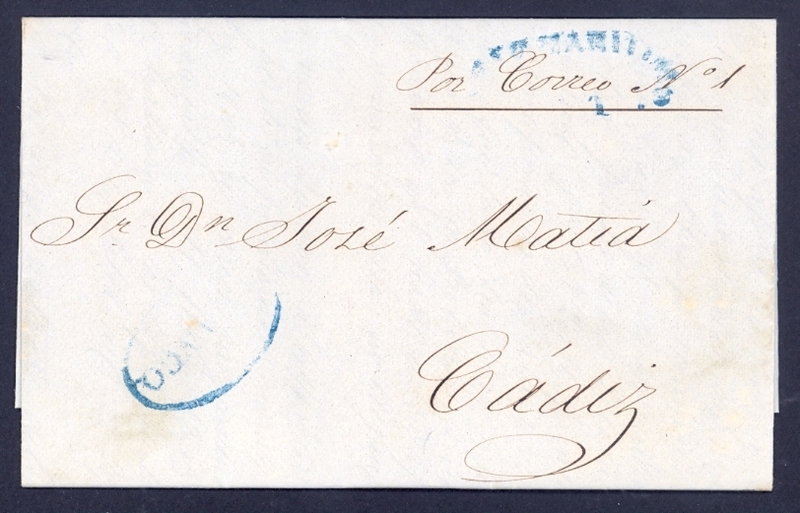 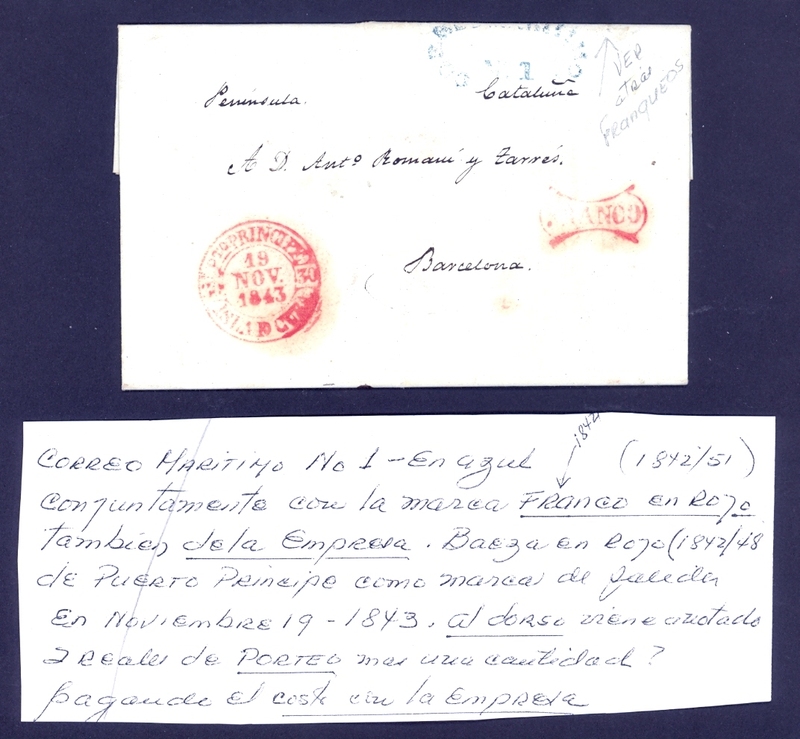 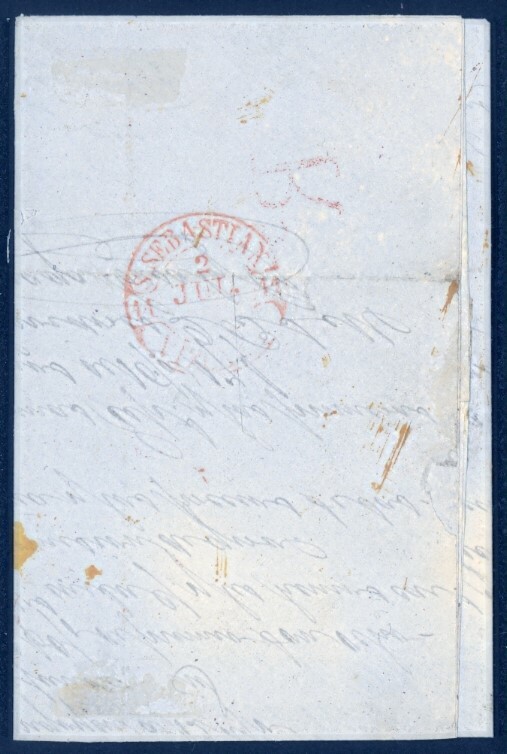 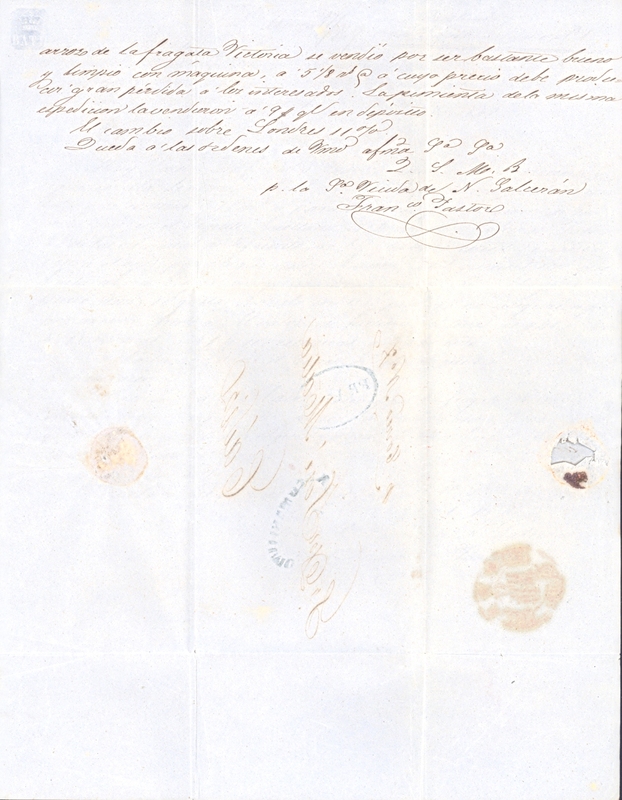 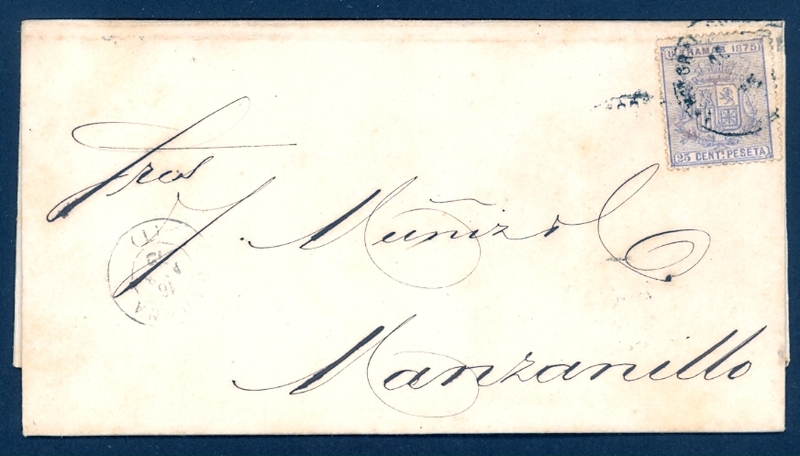 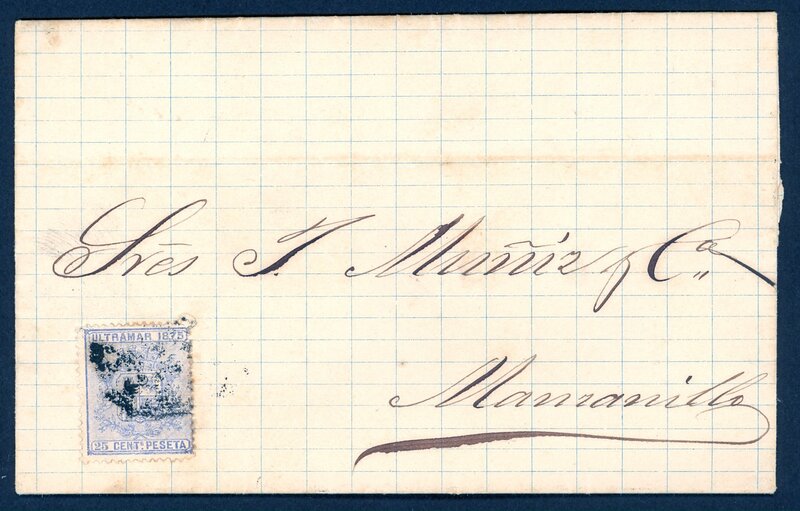 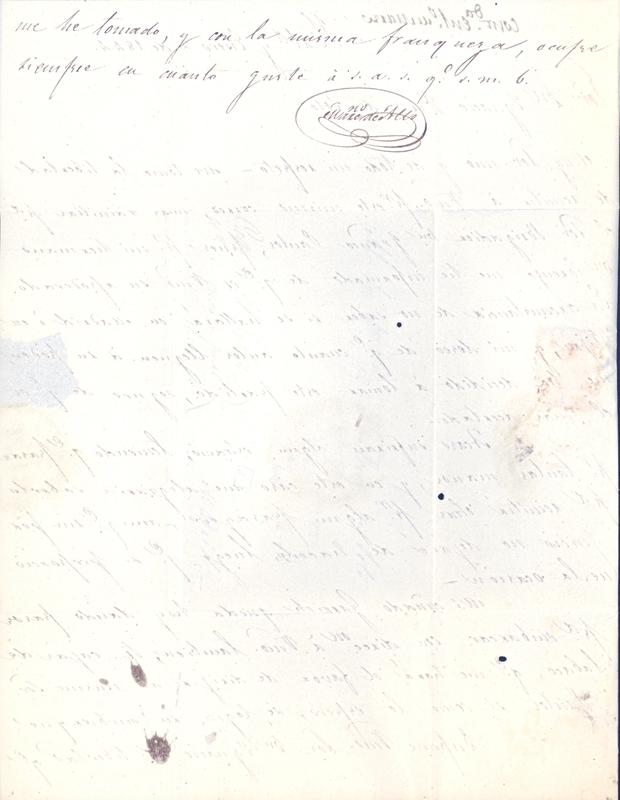 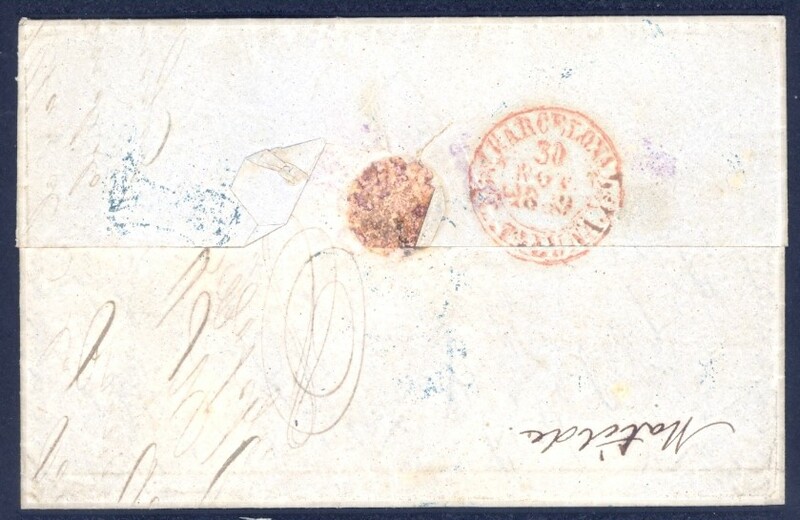 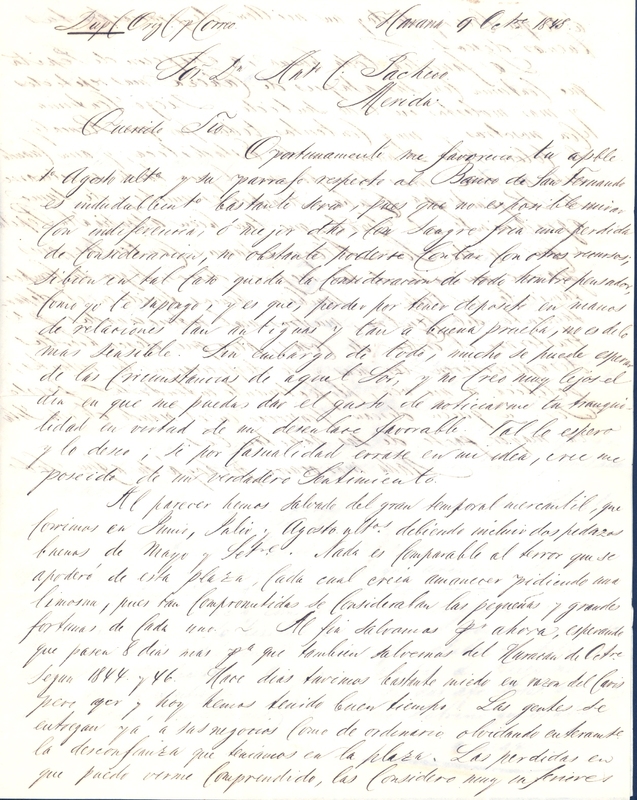 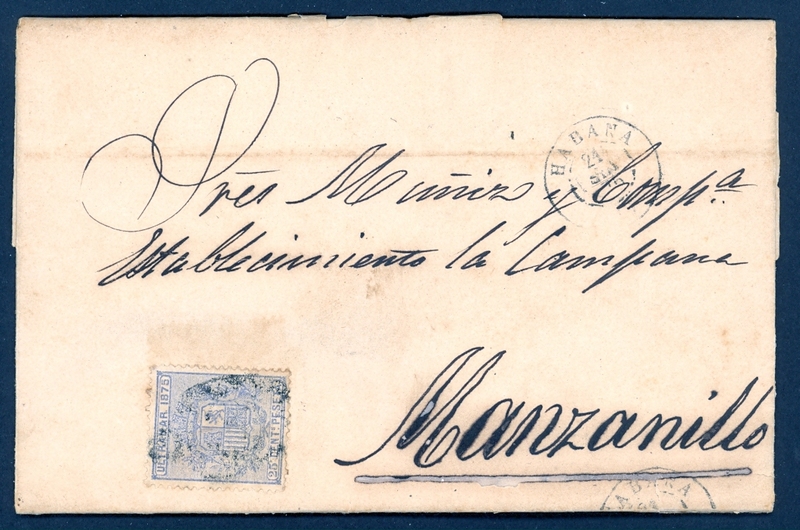 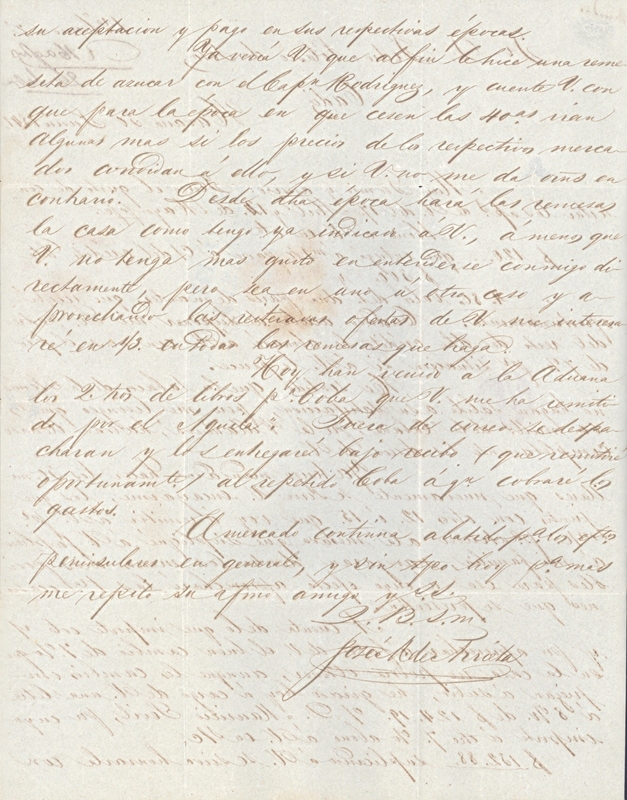 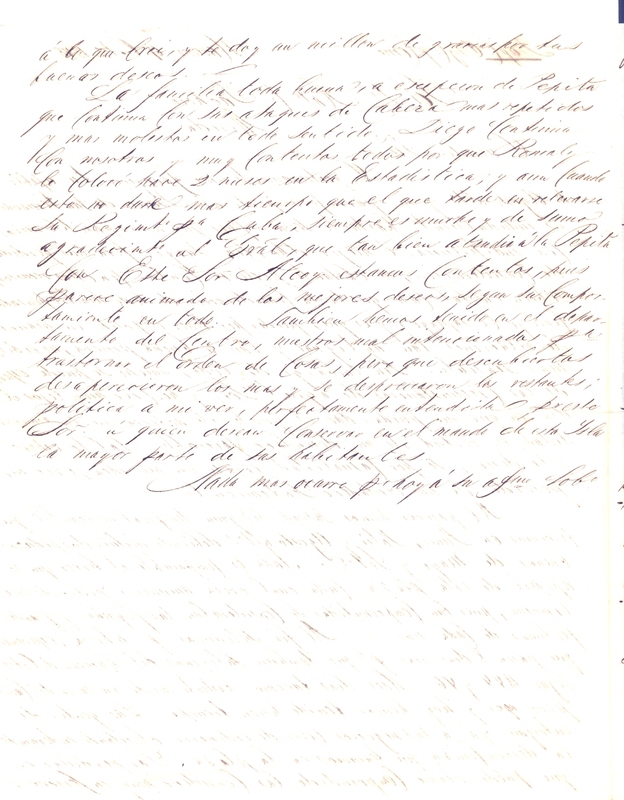 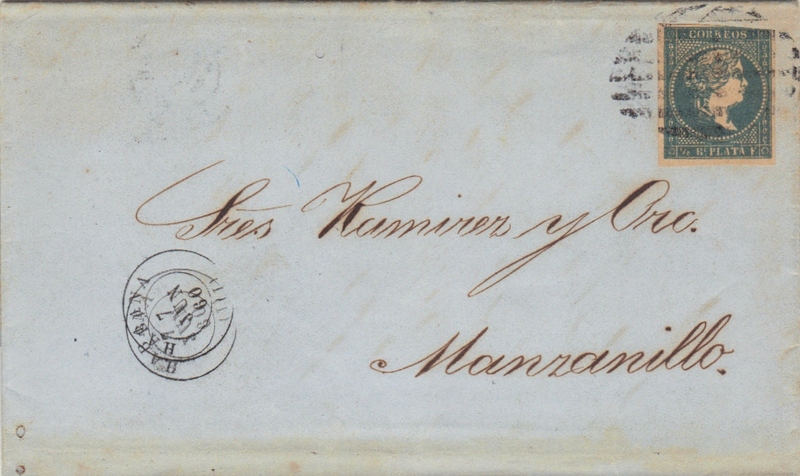 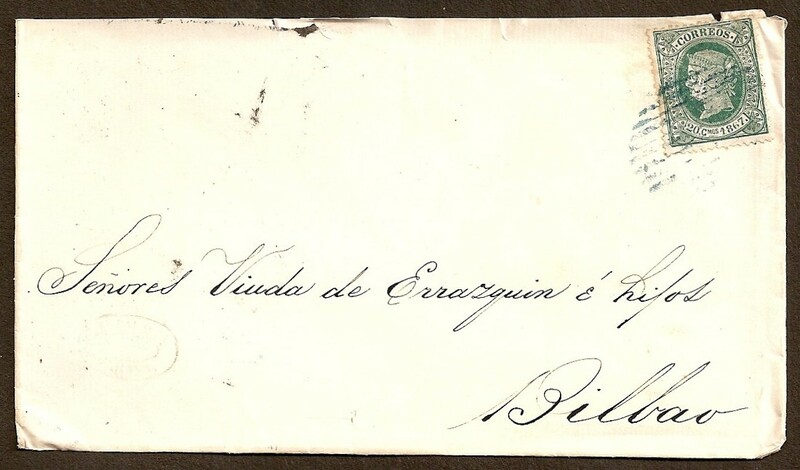 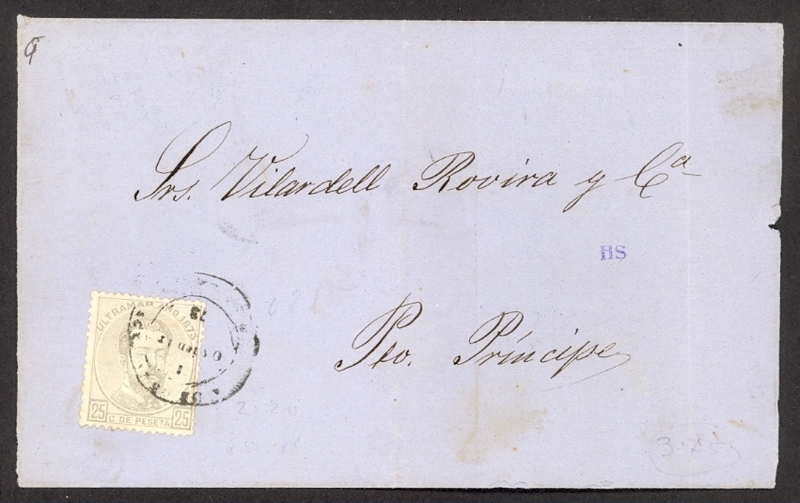 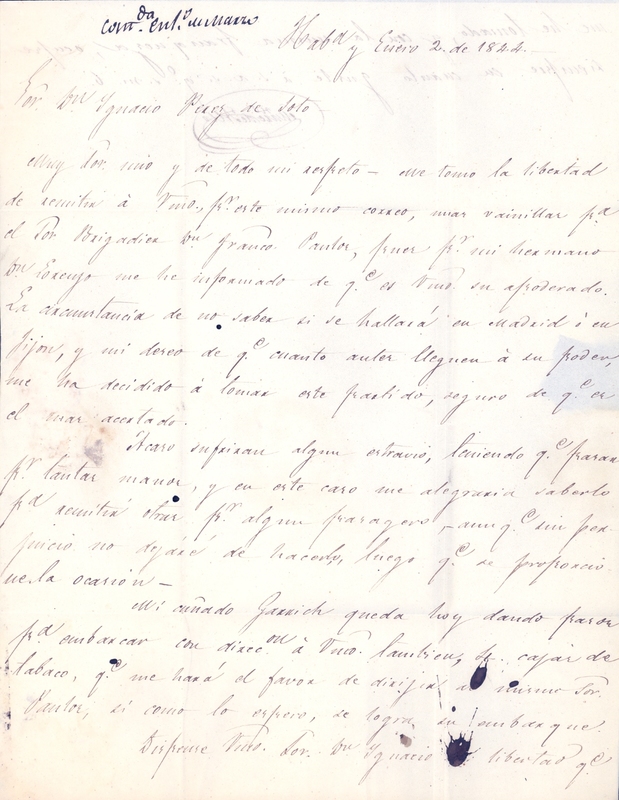 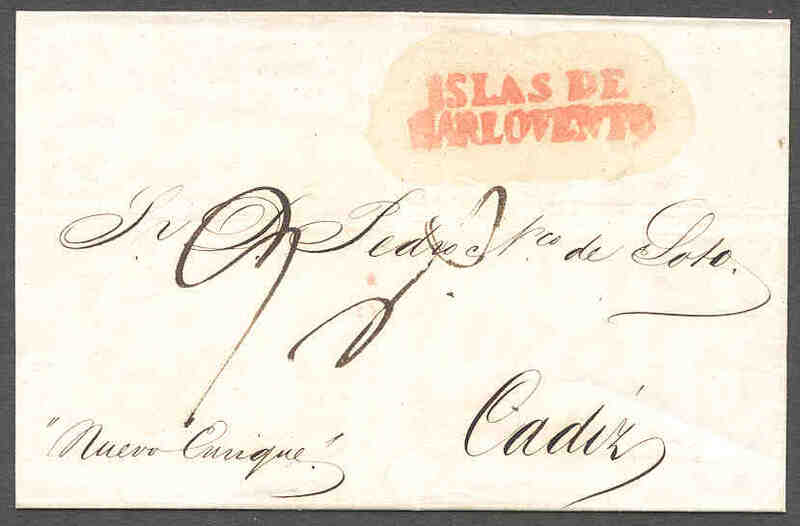 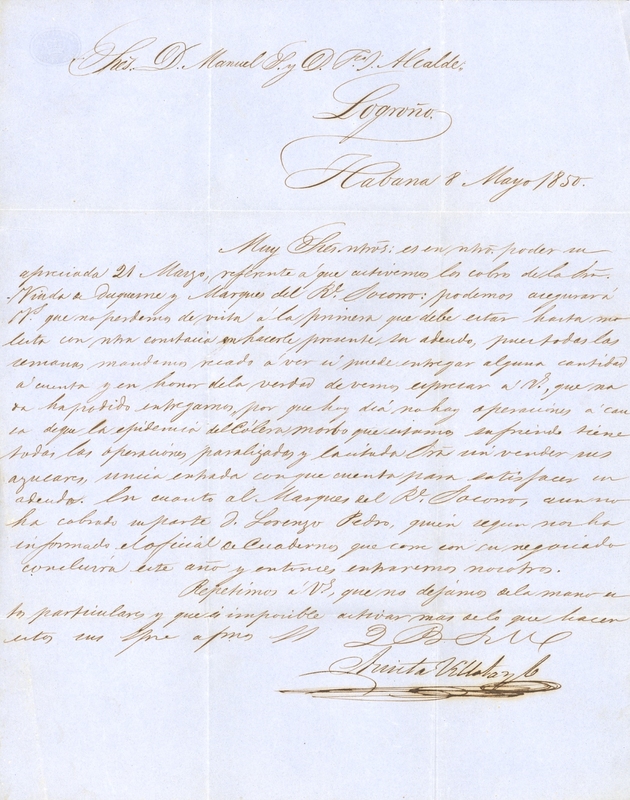 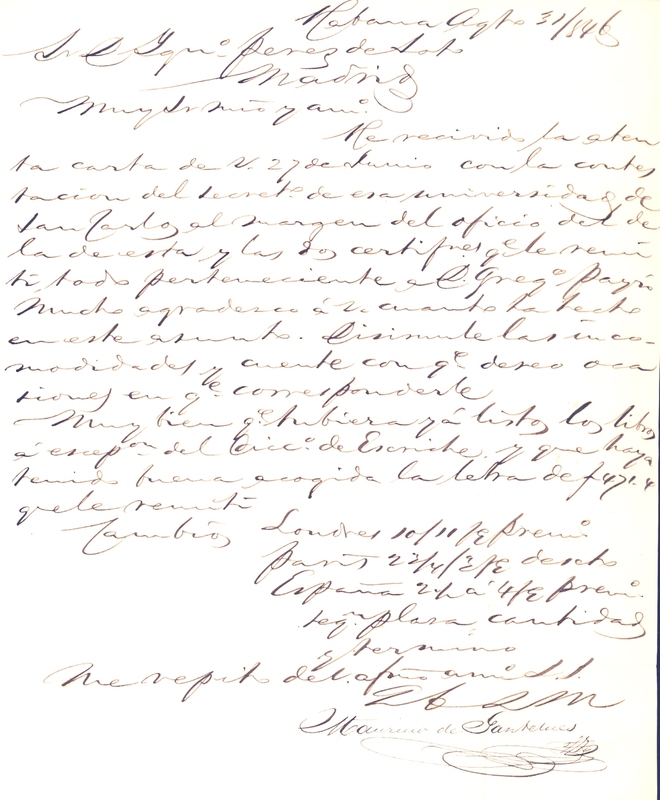 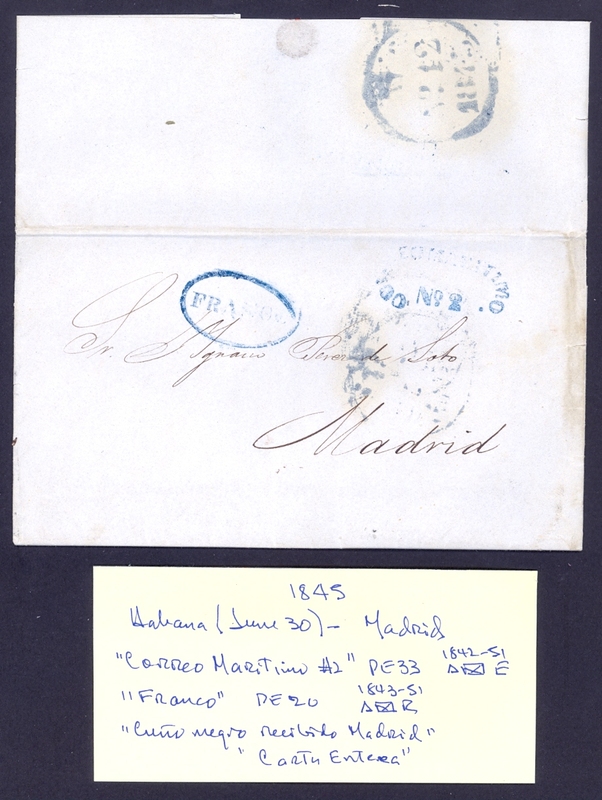 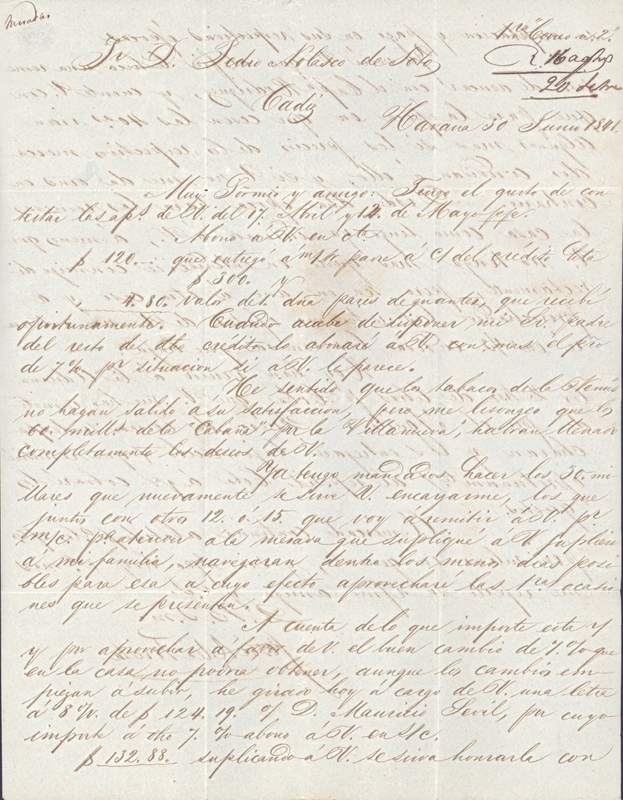 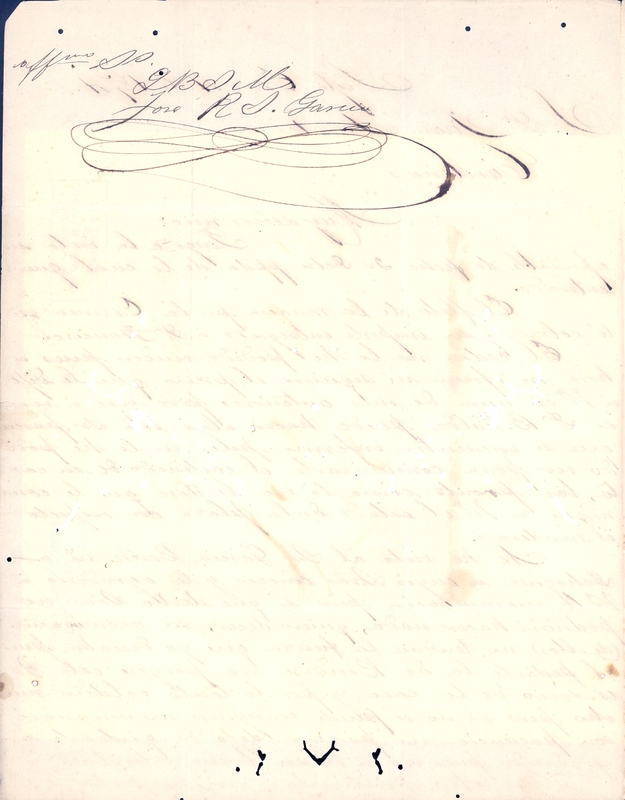 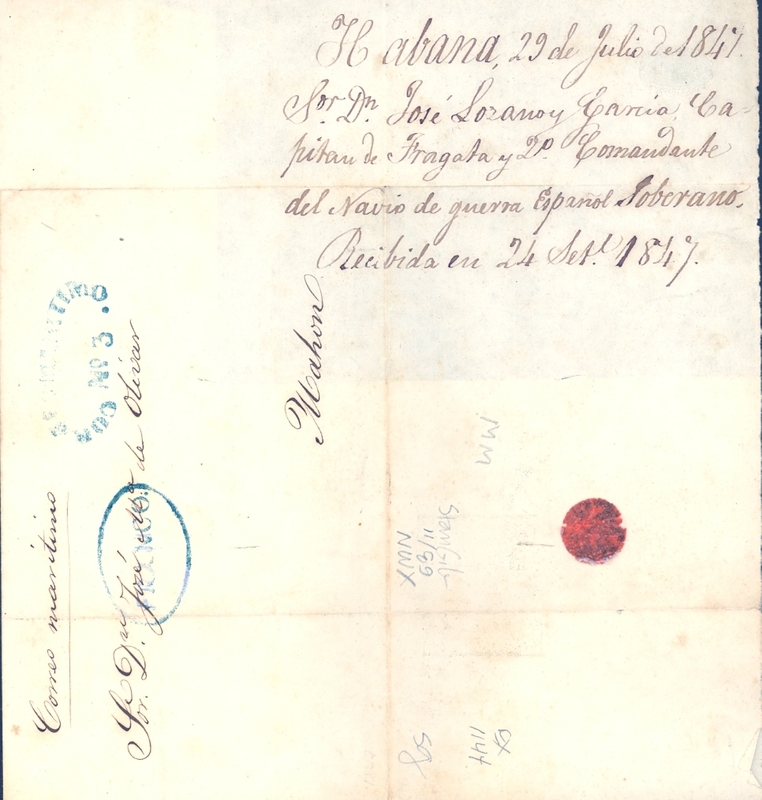 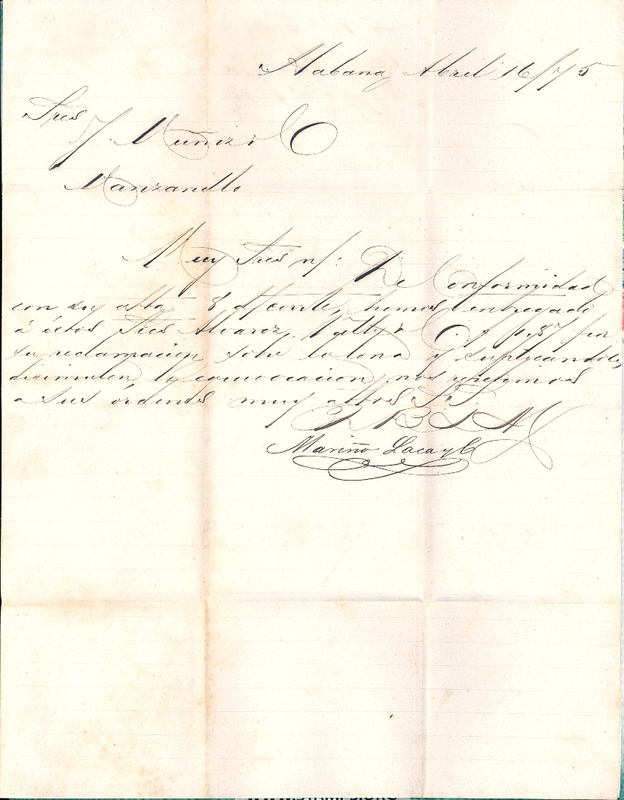 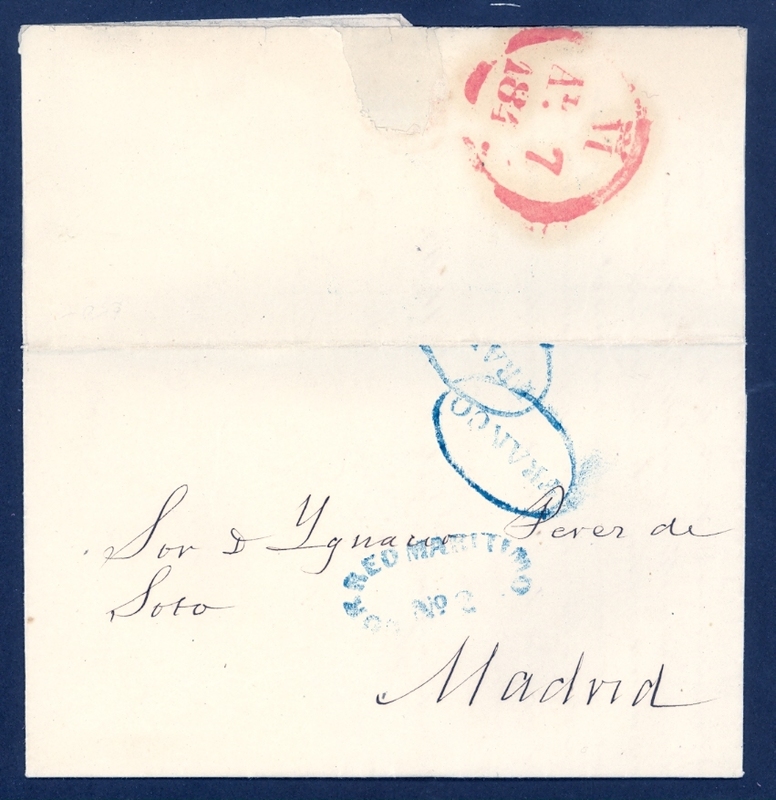 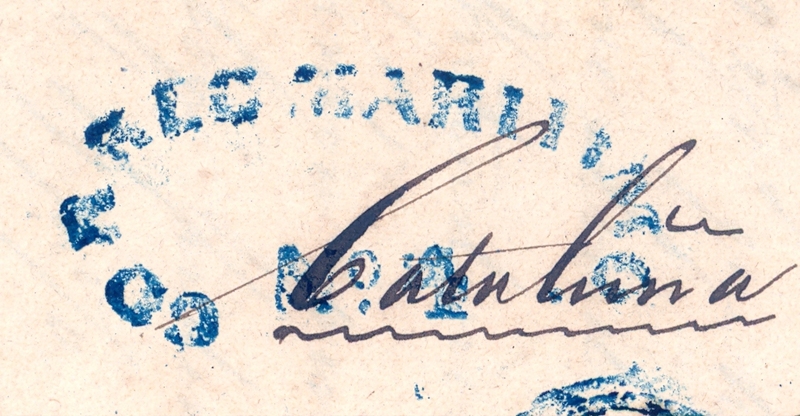 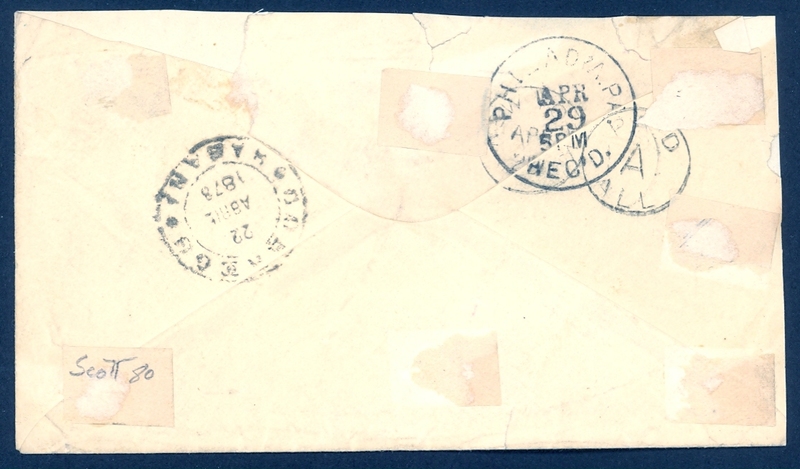 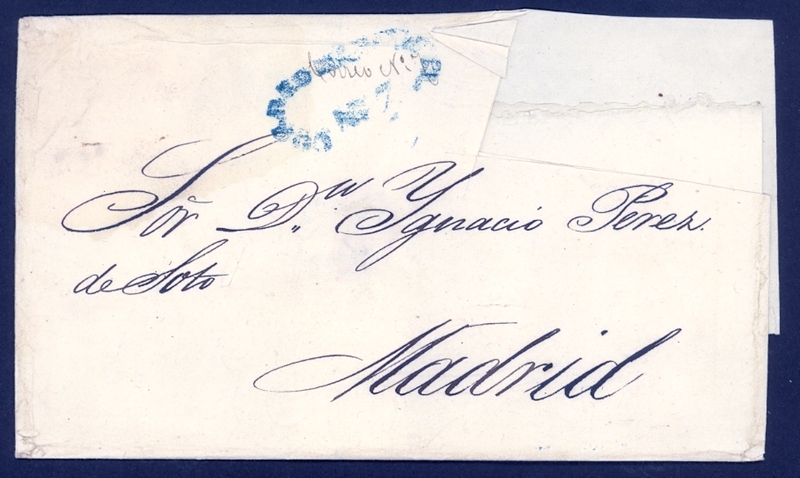 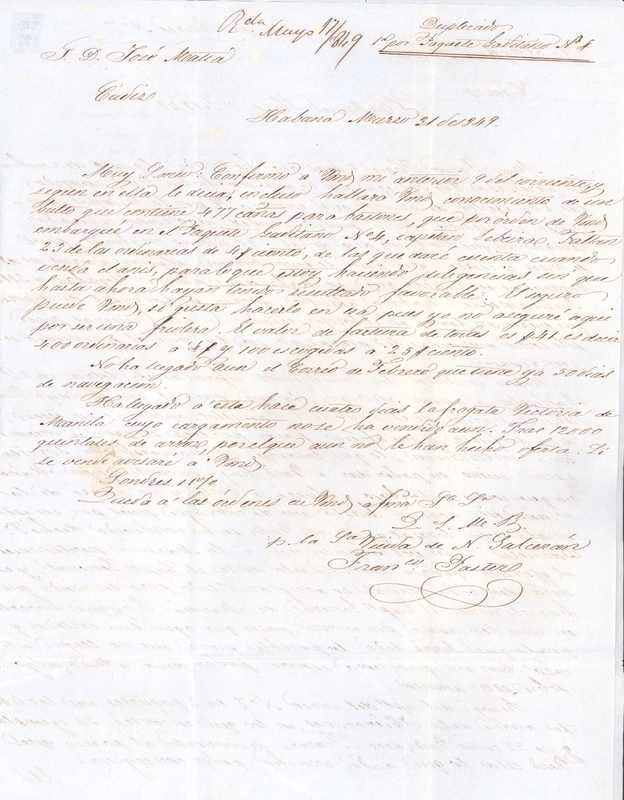 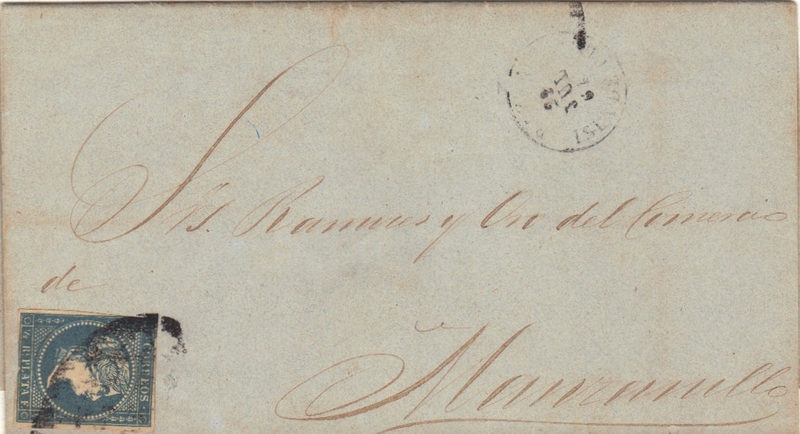 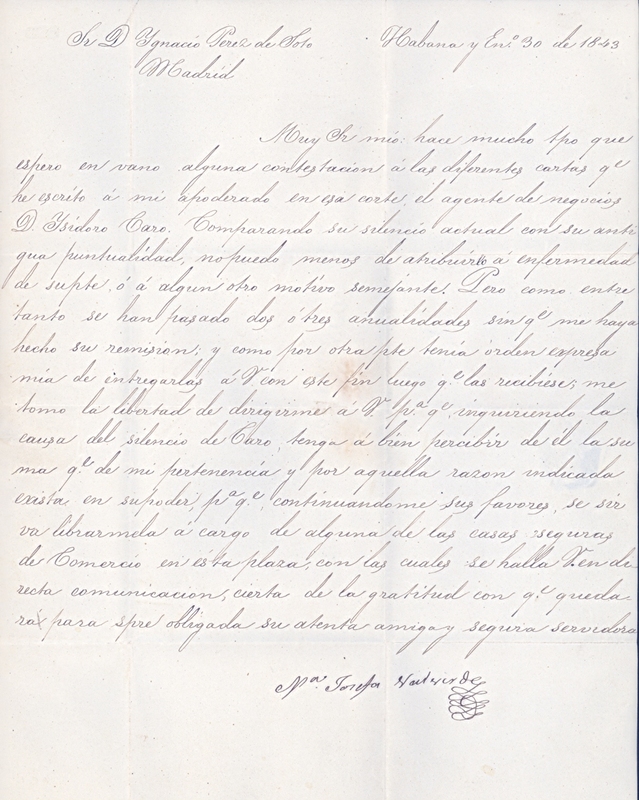 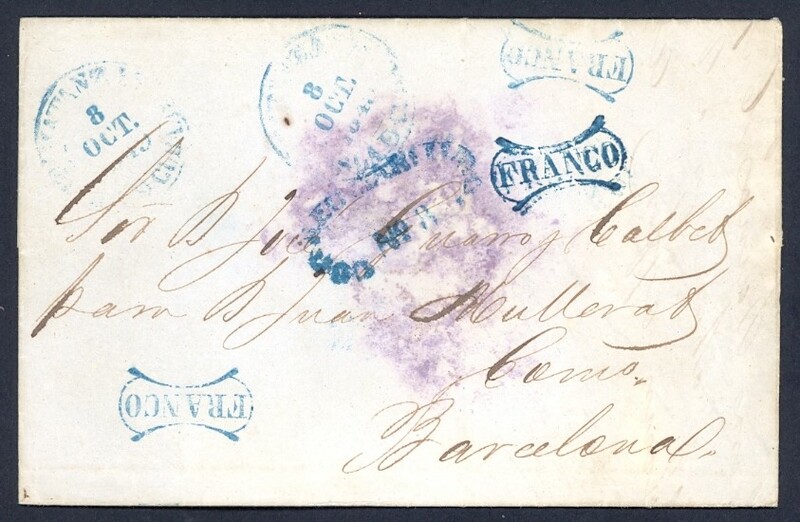 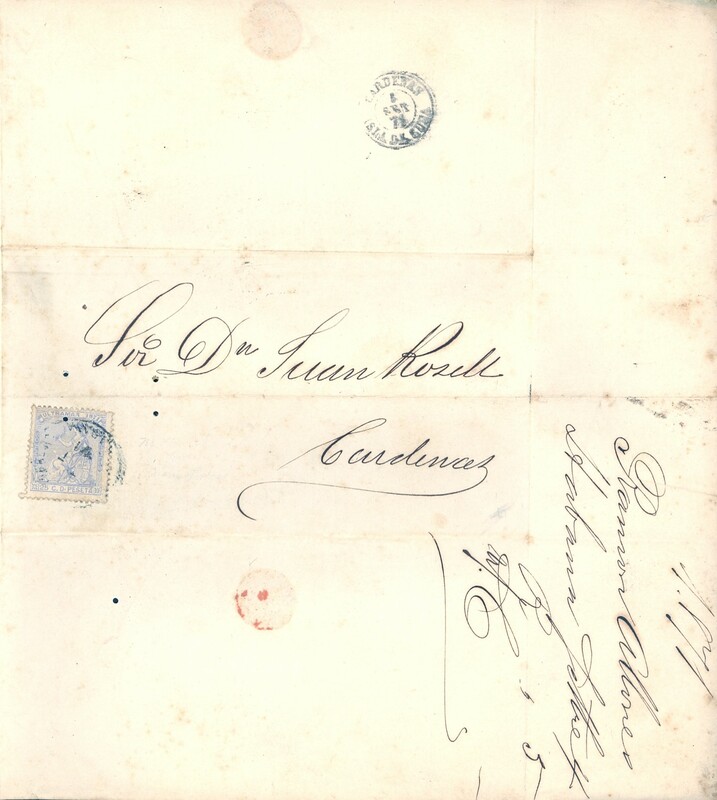 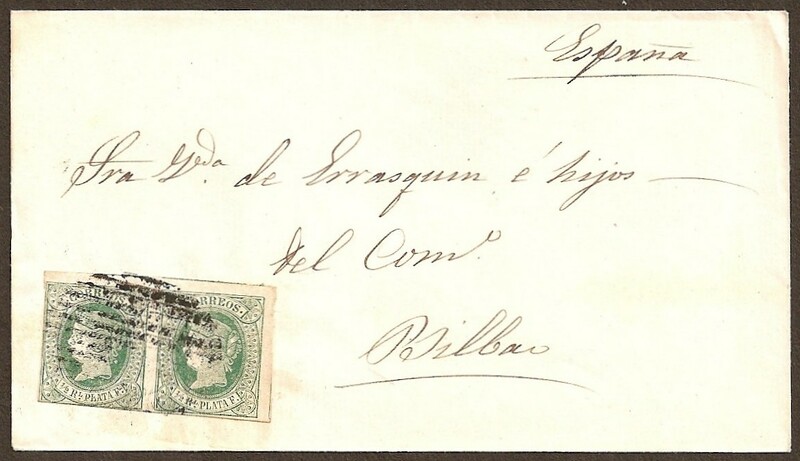 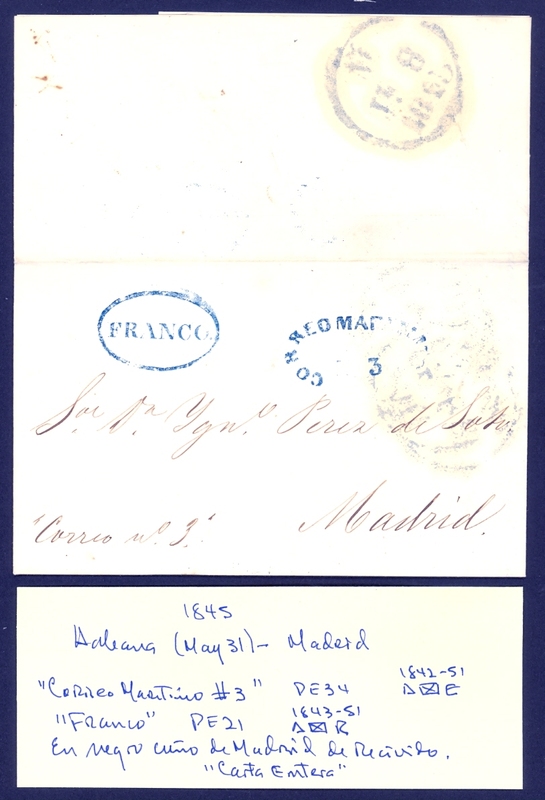 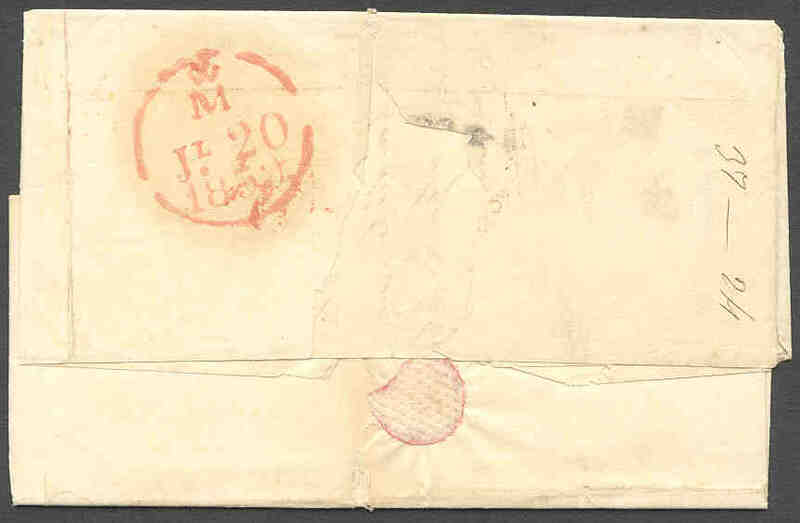 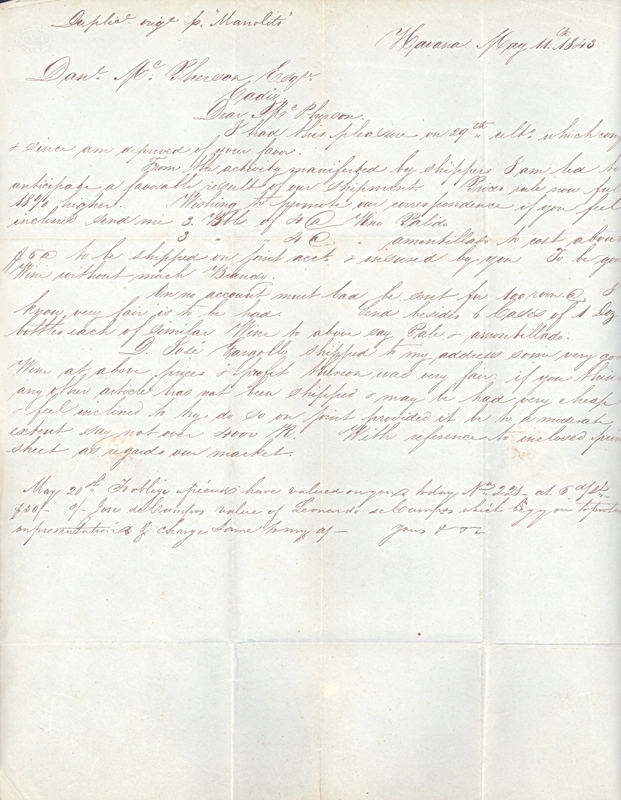 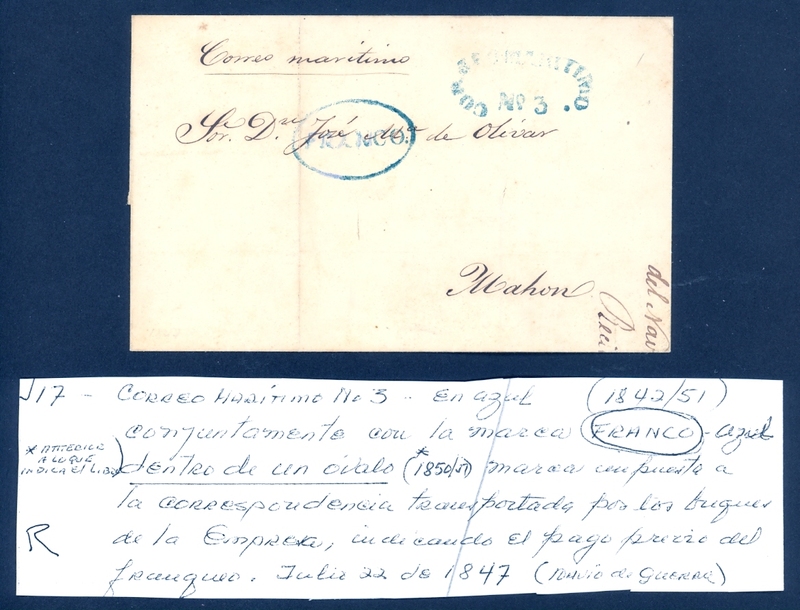 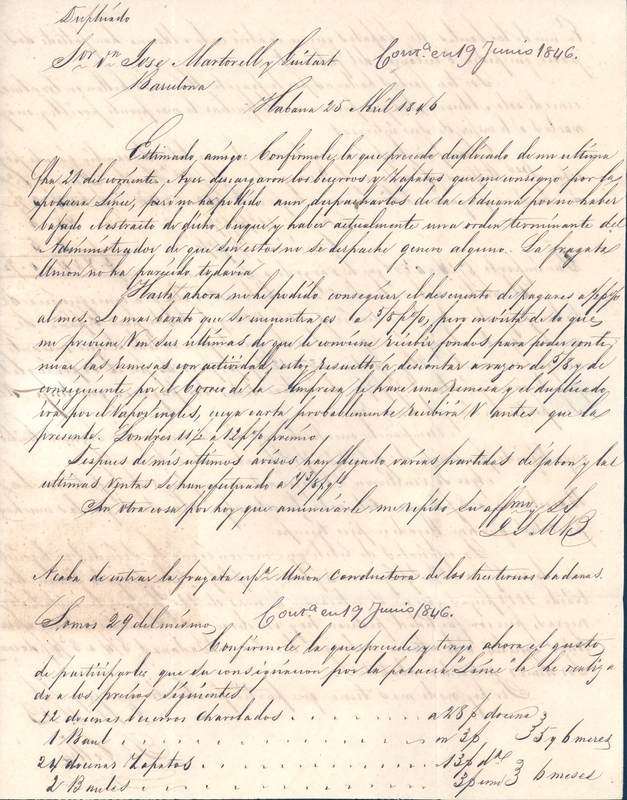 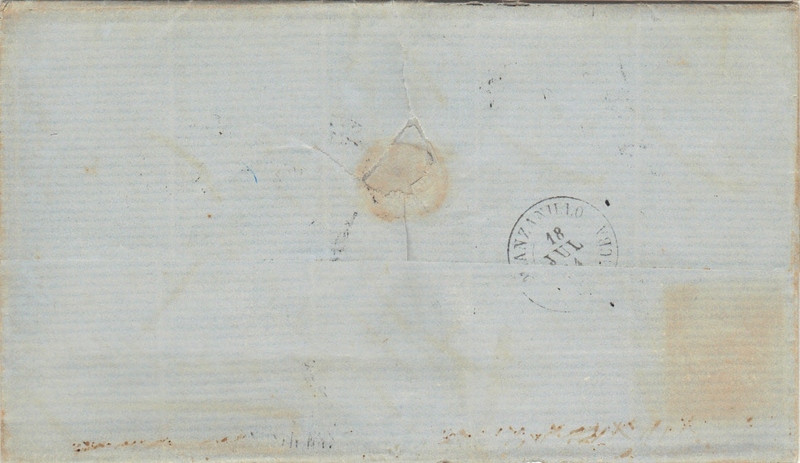 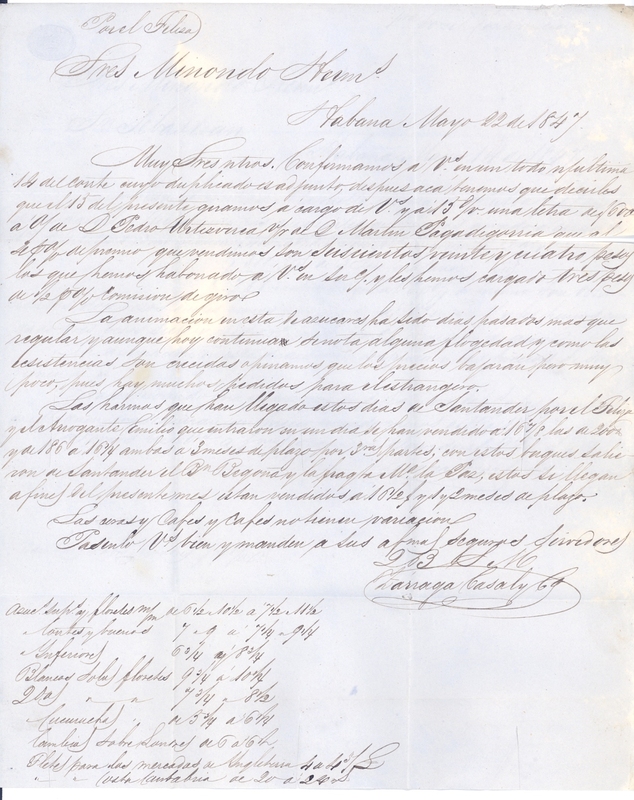 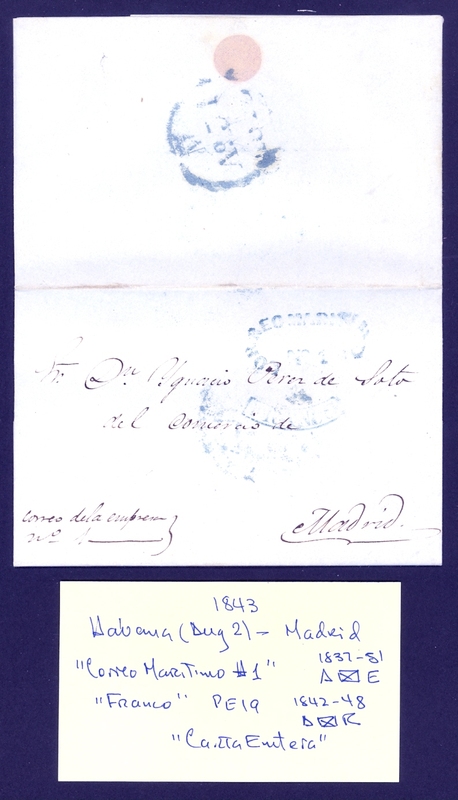 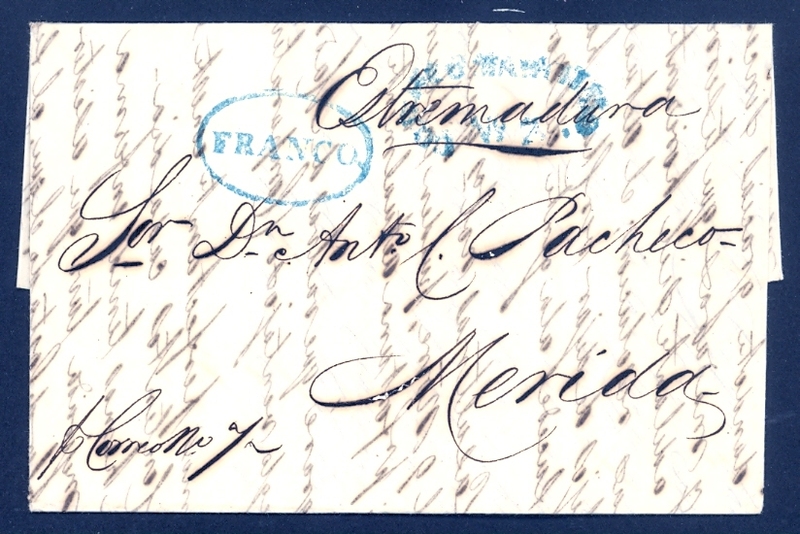 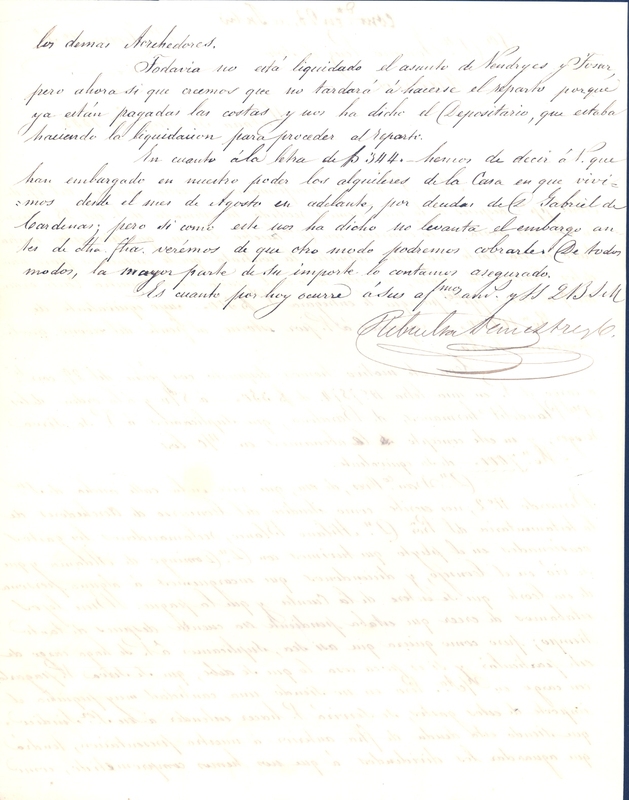 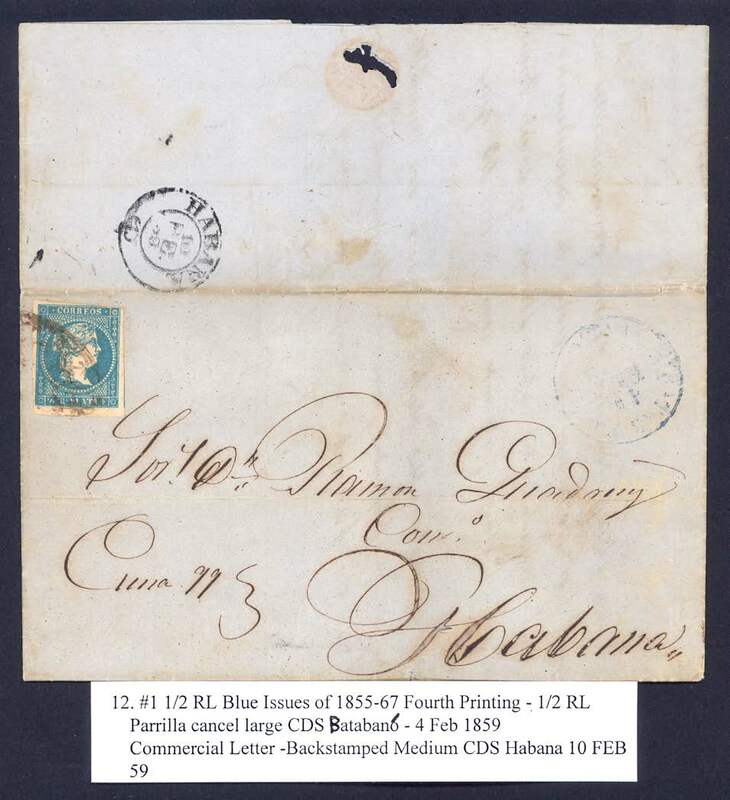 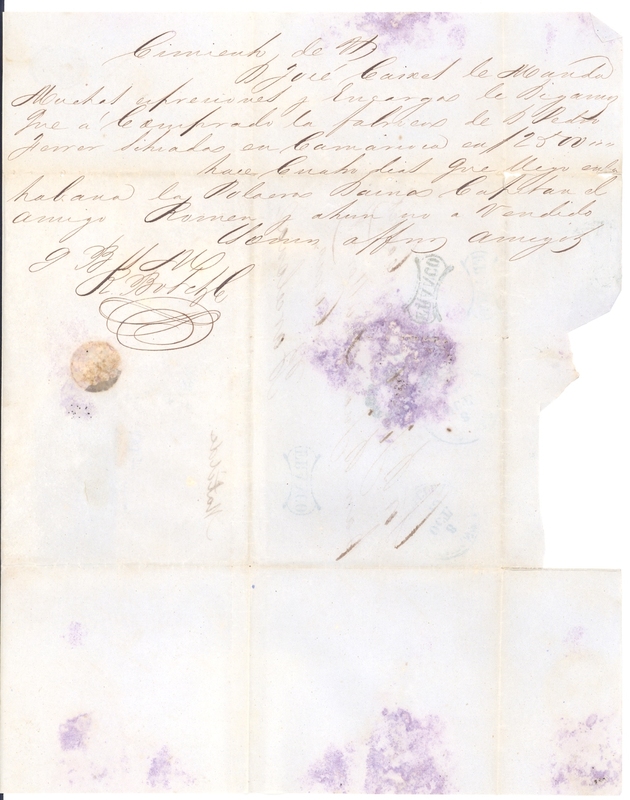 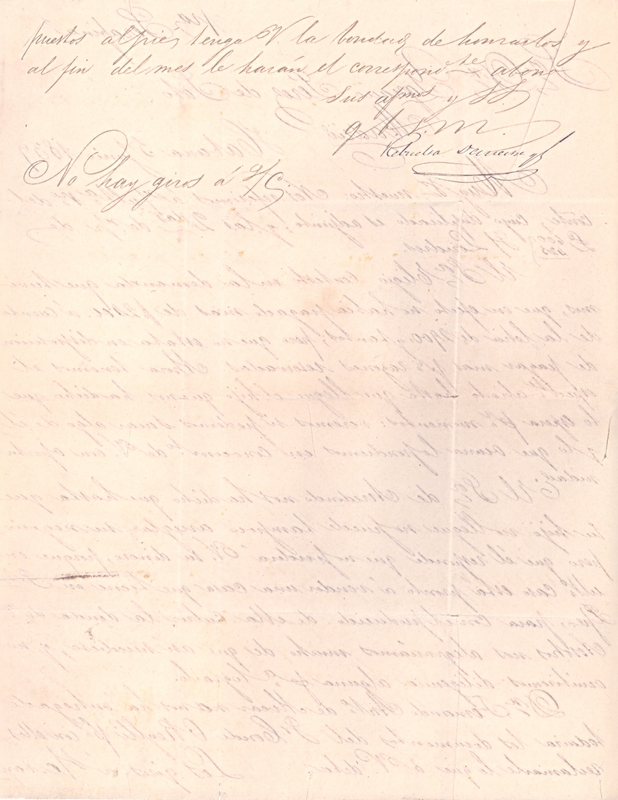 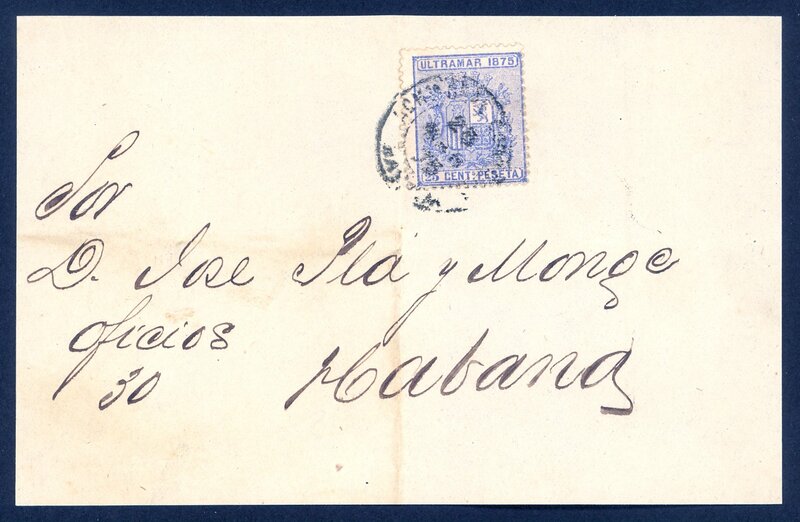 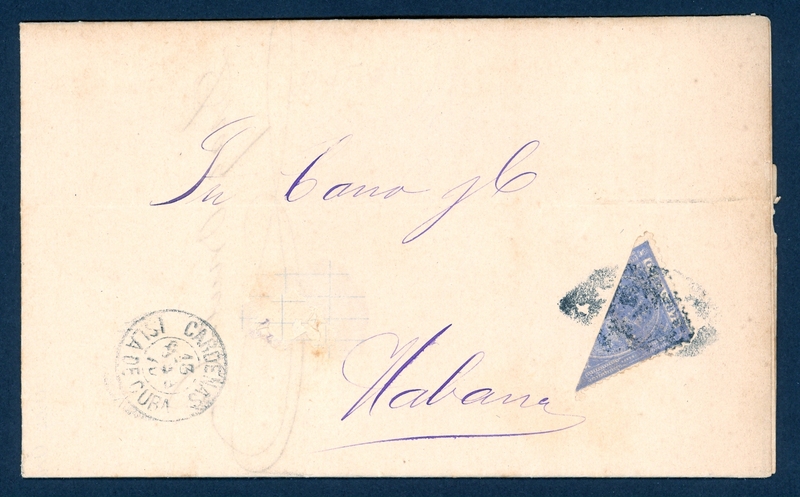 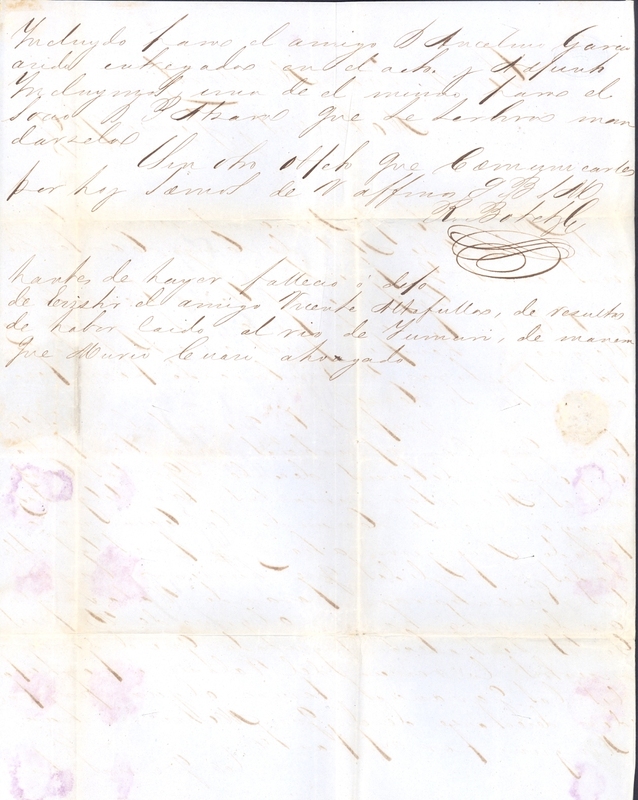 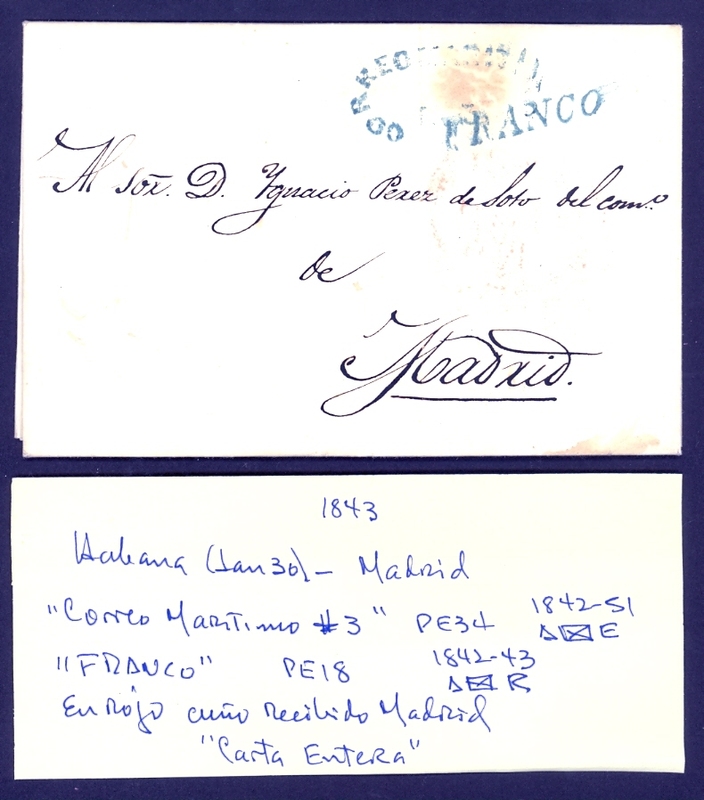 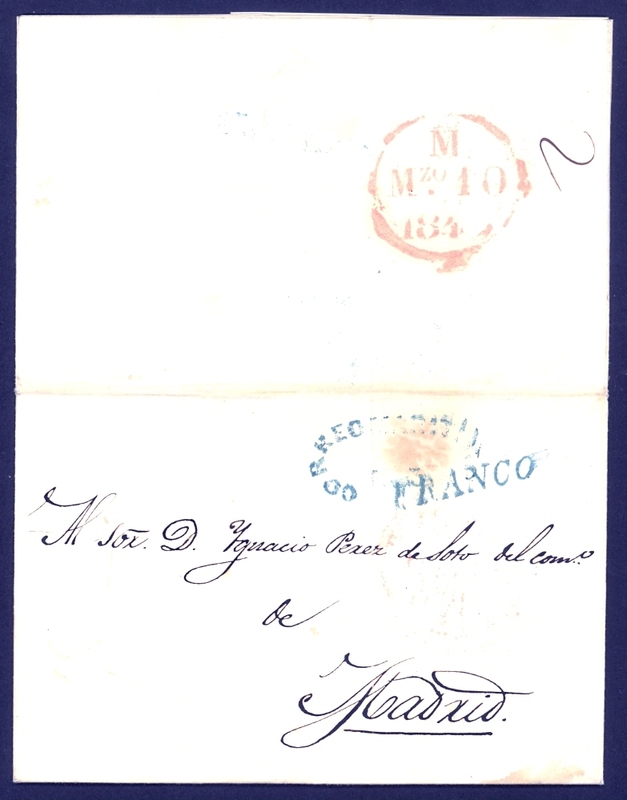 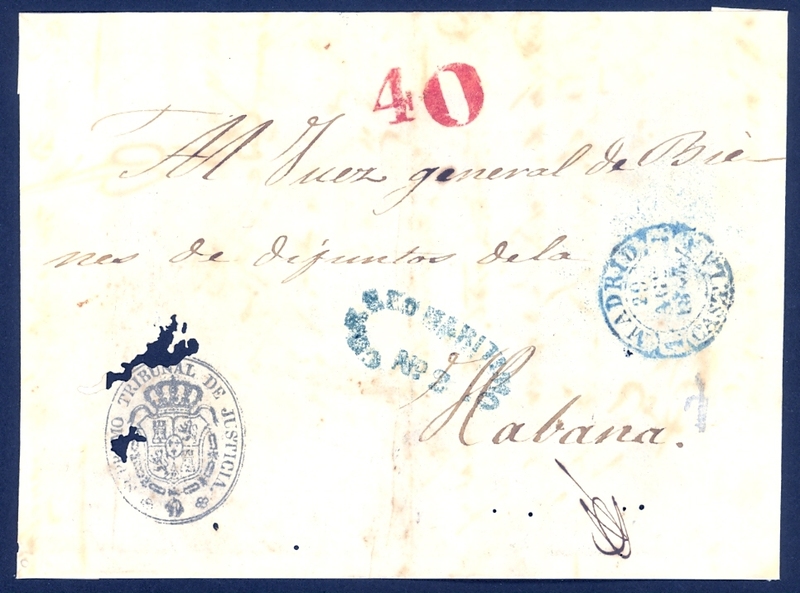 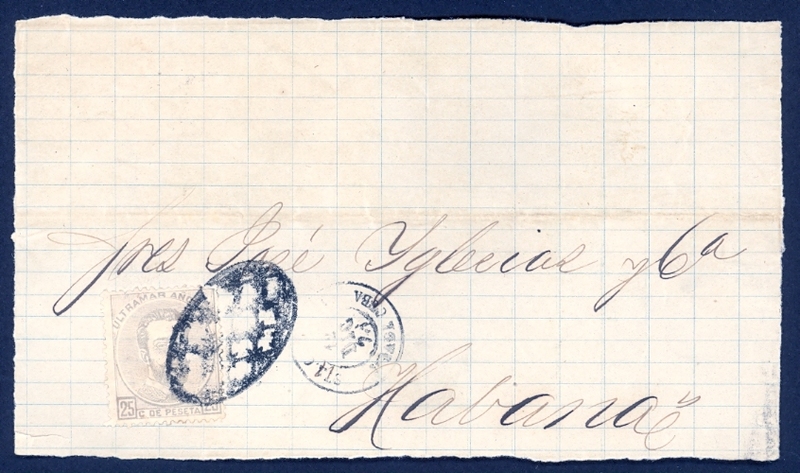 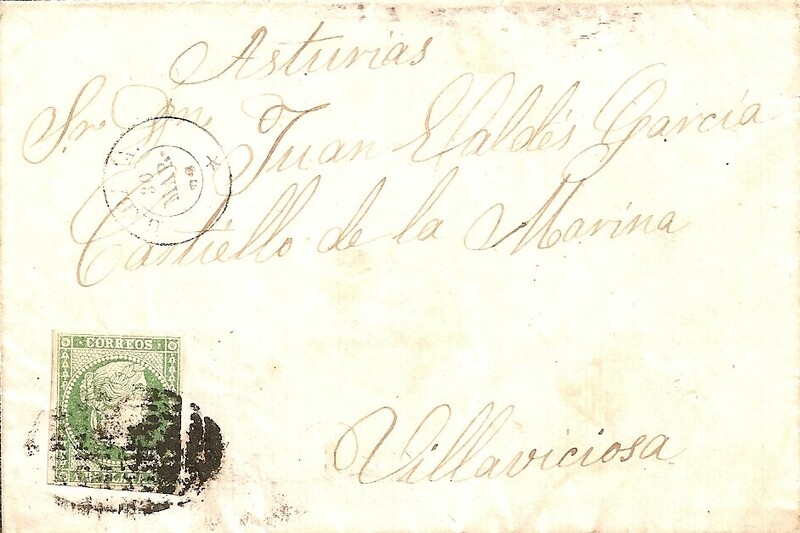 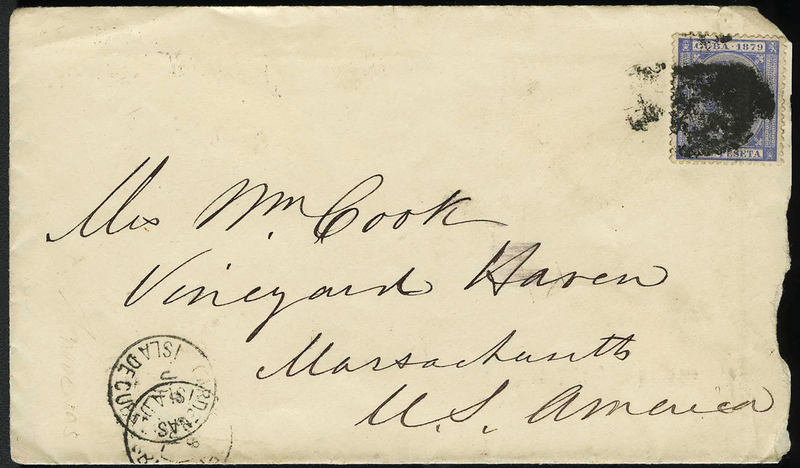 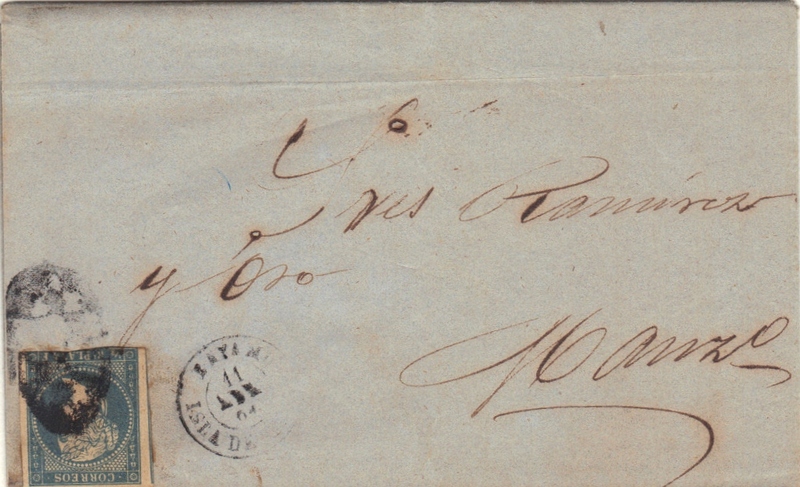 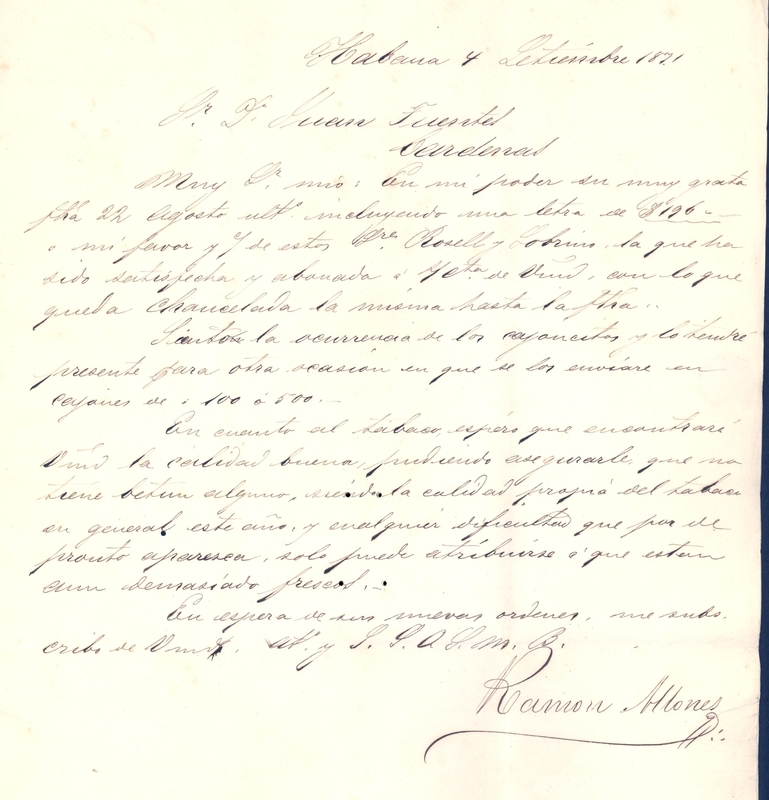 644 Scott 12 Bayamo to Manzanillo folded letter, April 11, 1864. 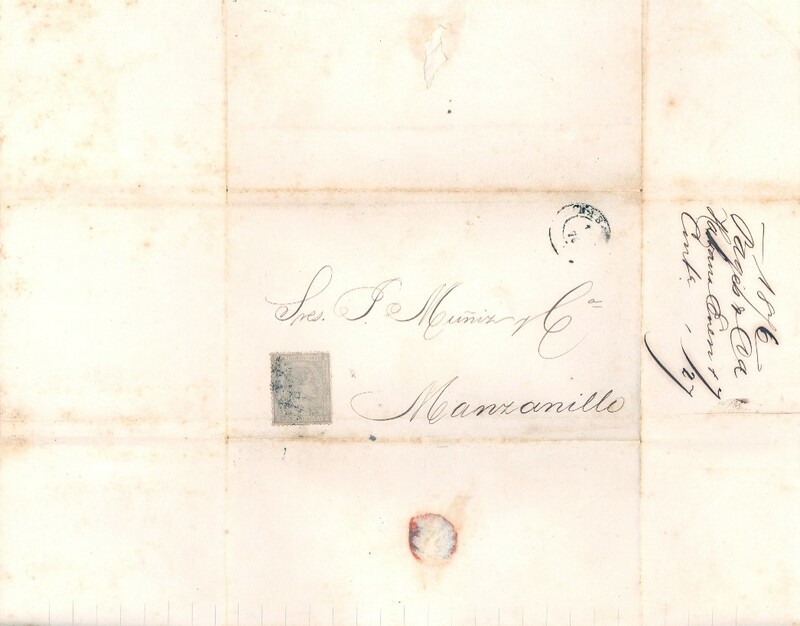 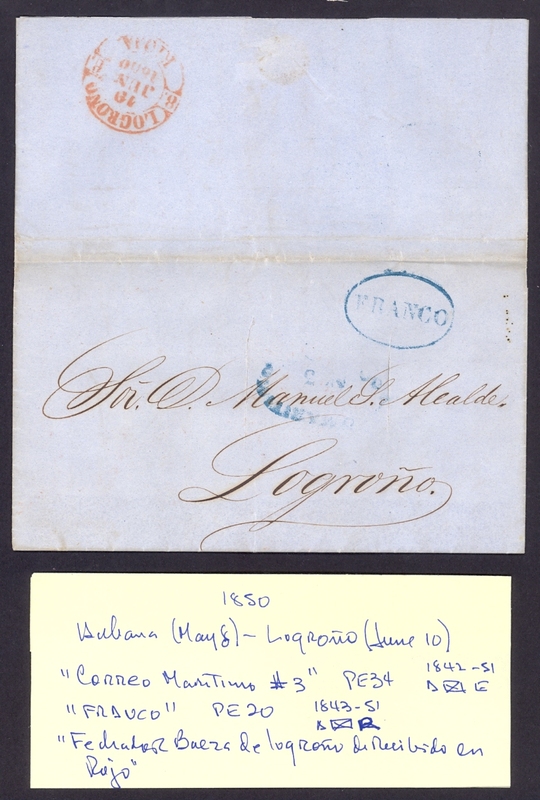 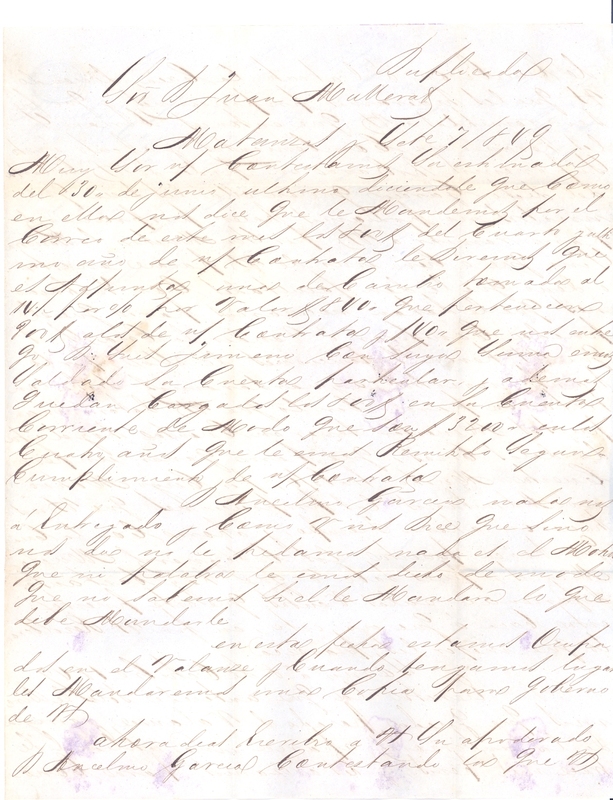 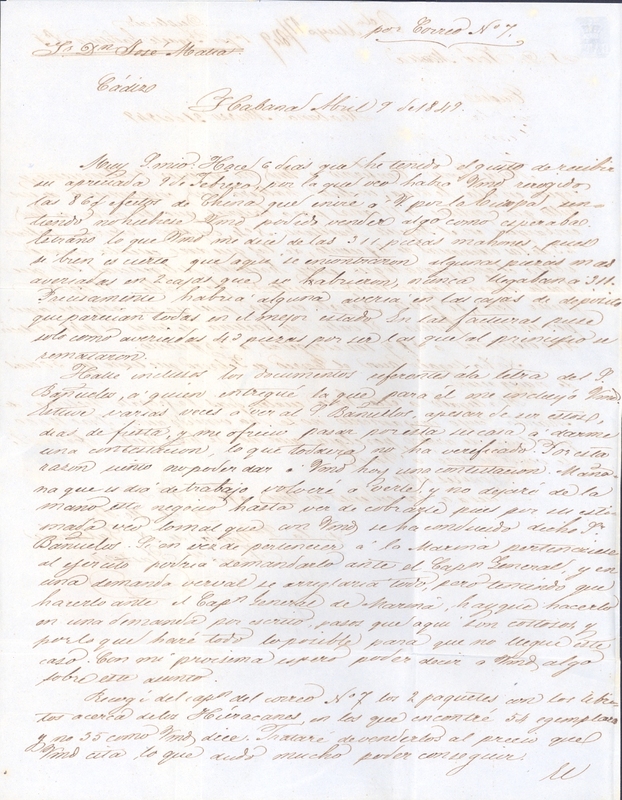 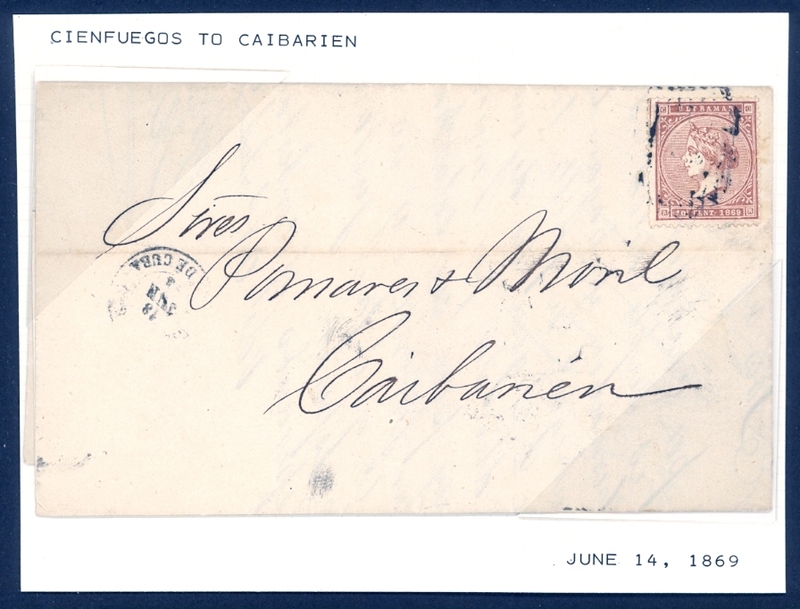 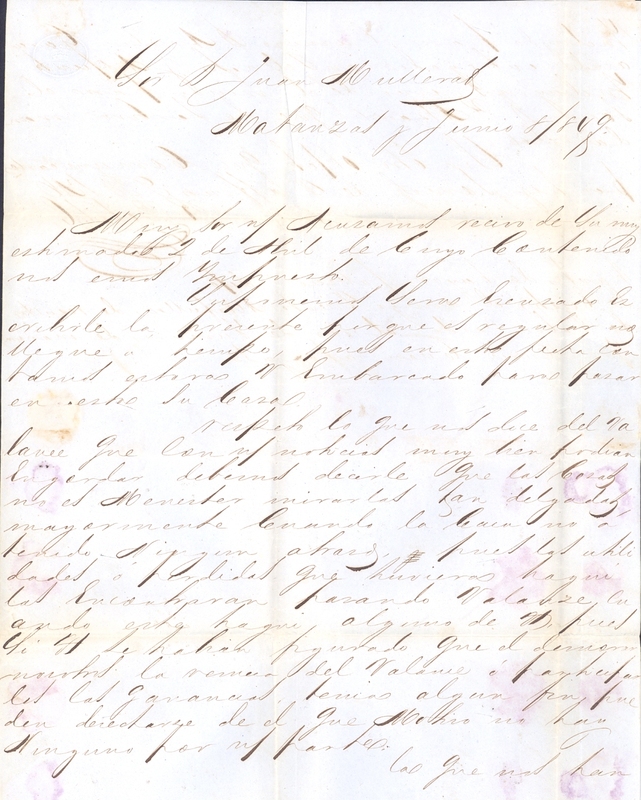 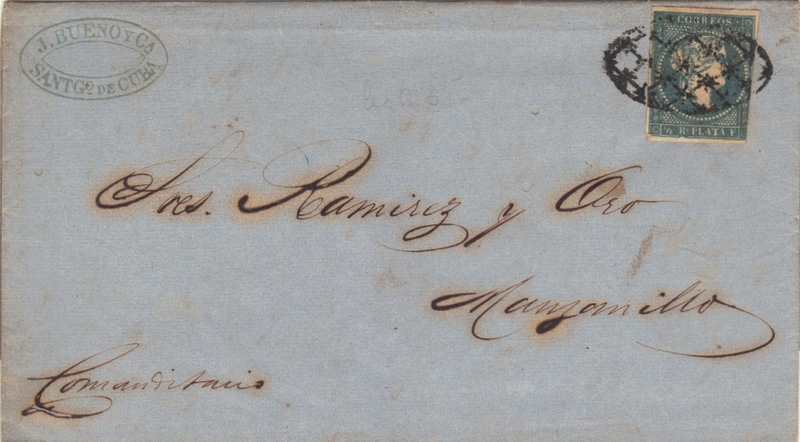 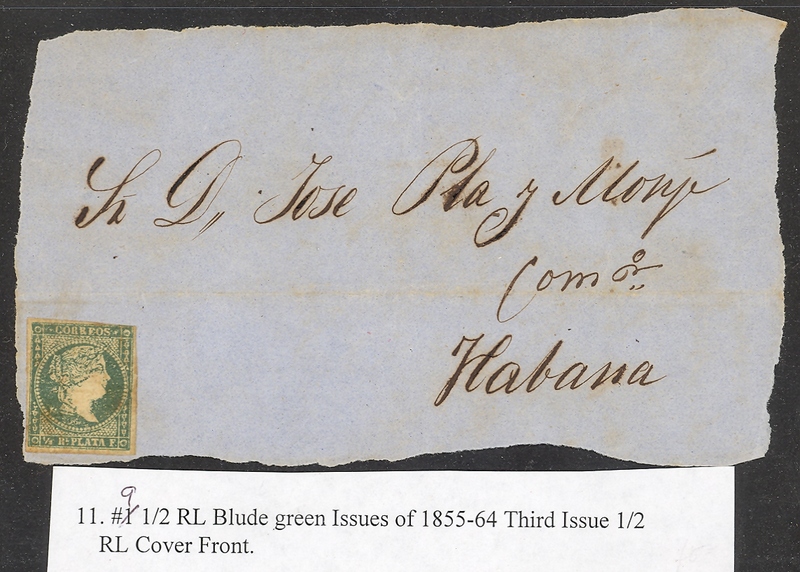 645 Scott 12 Bayamo to Manzanillo folded letter, July 18, 1864. 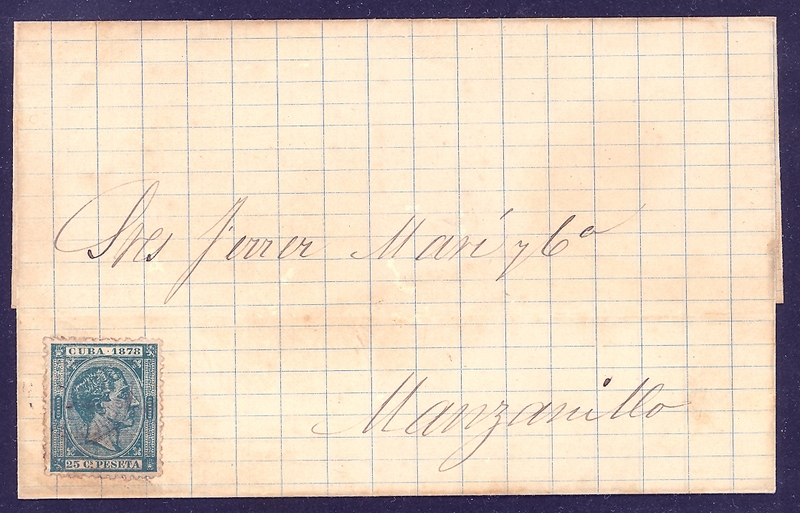 646 Scott 12 Bayamo to Manzanillo folded letter, July 22, 1864. 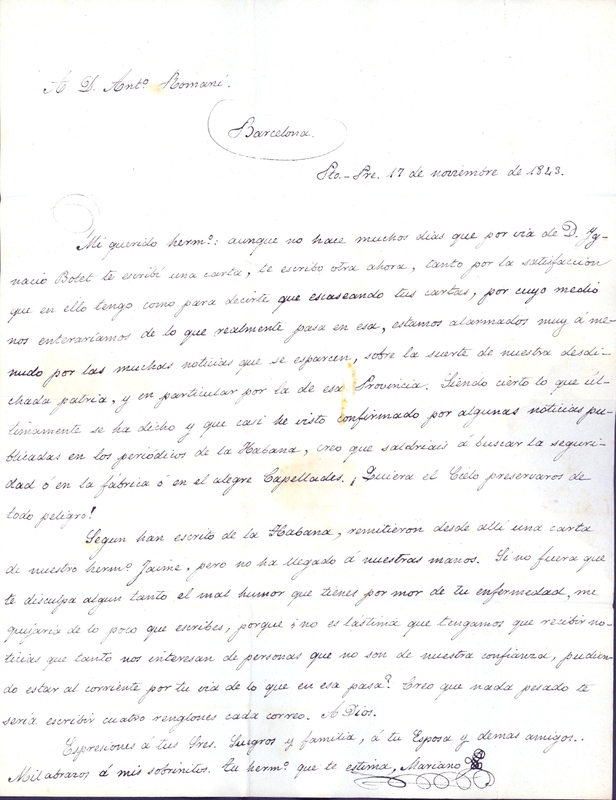 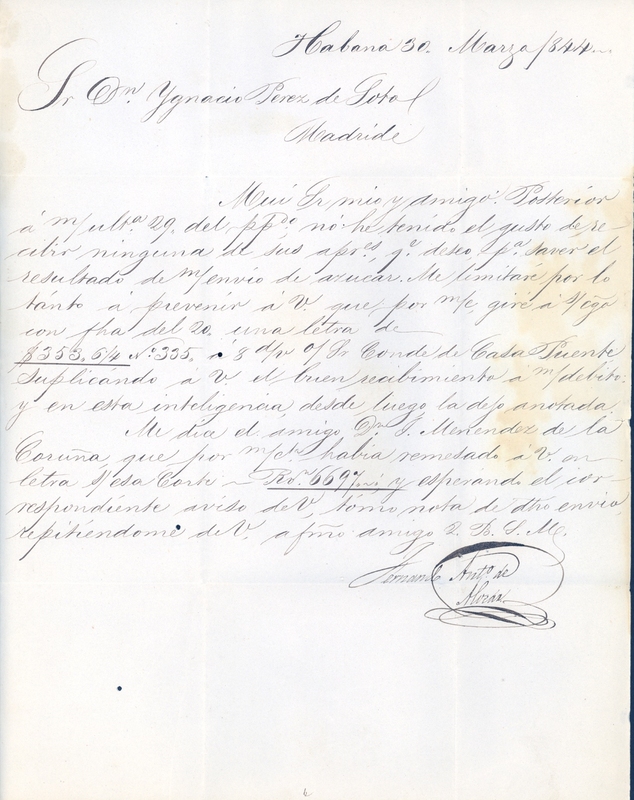 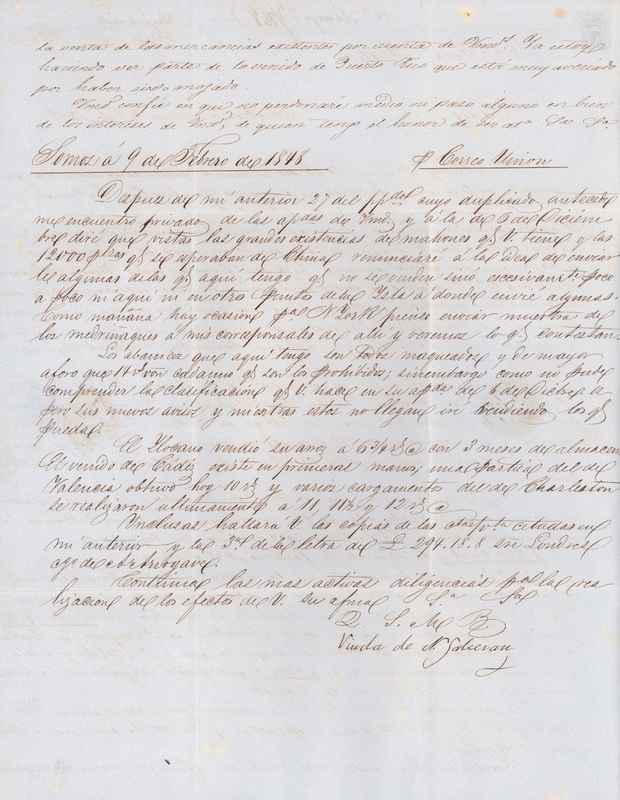 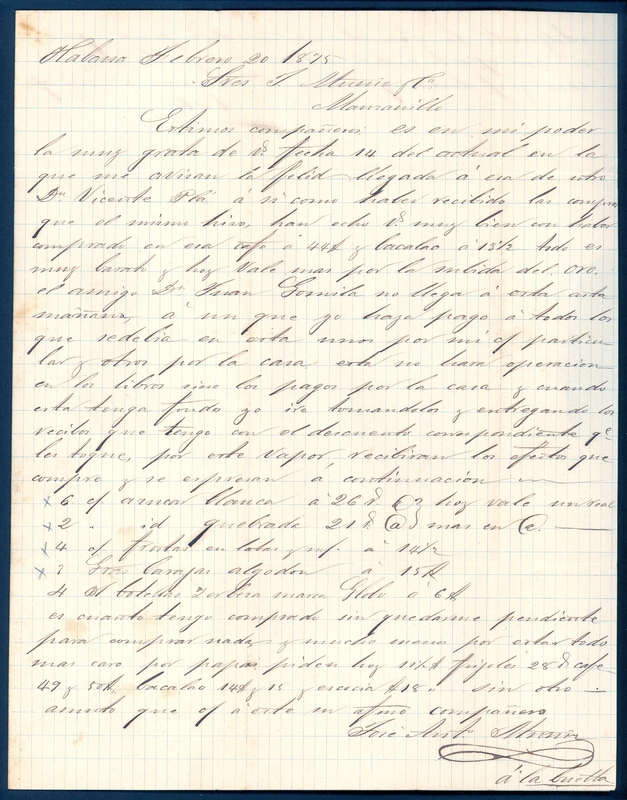 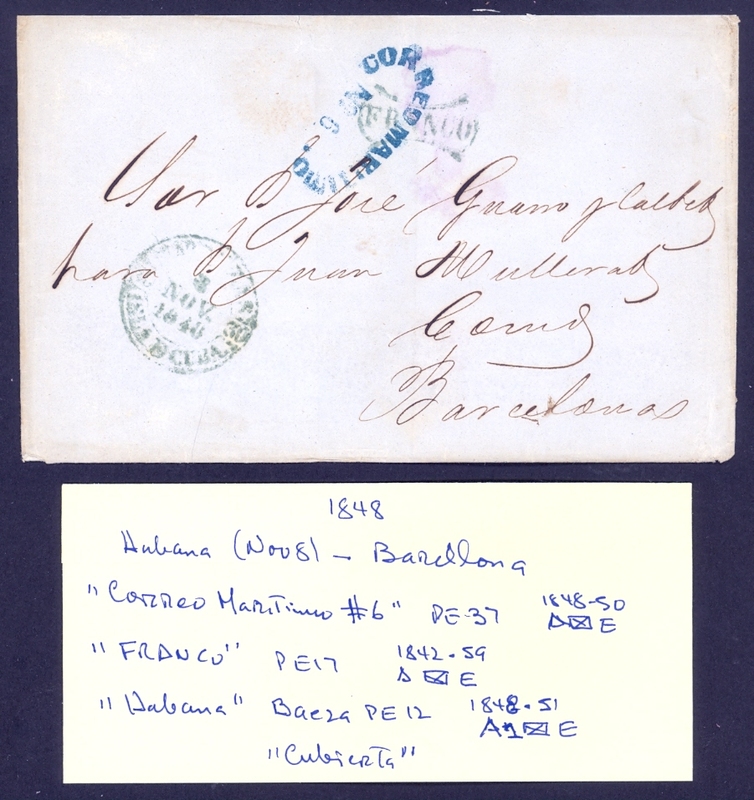 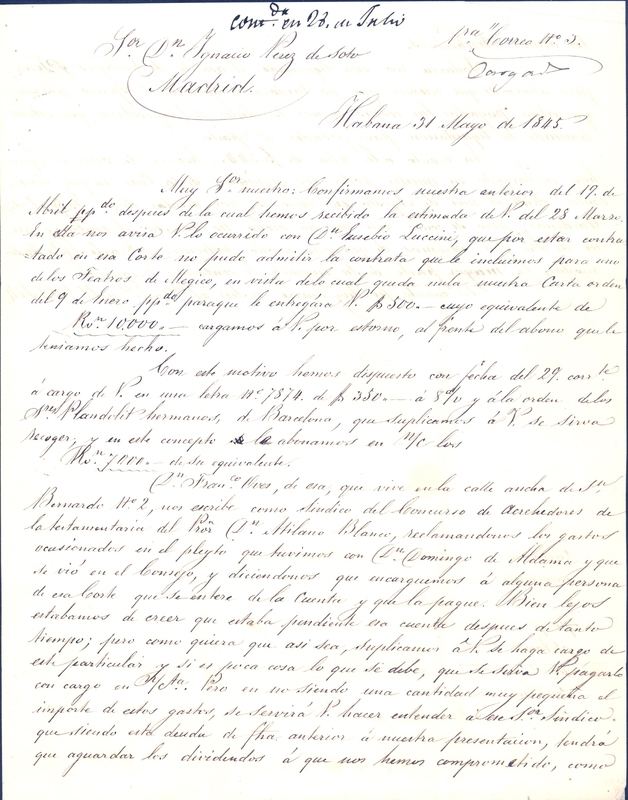 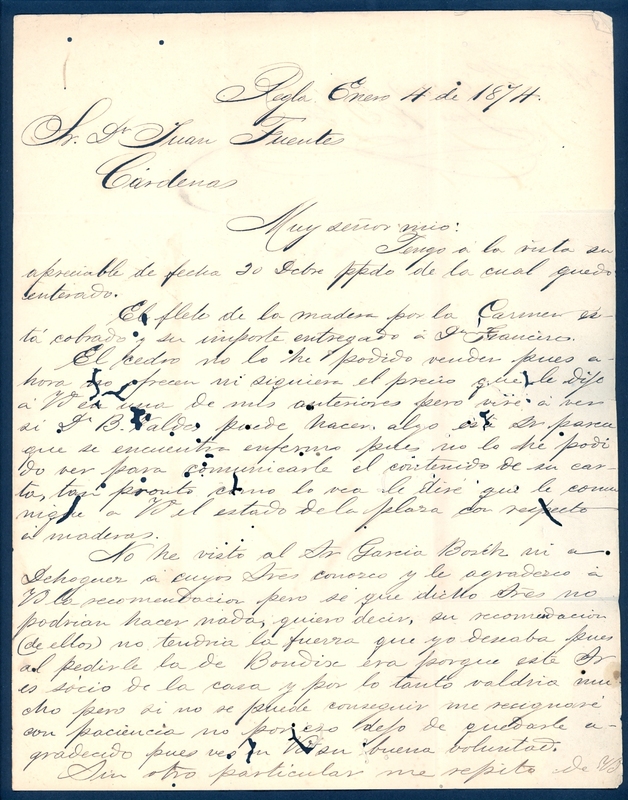 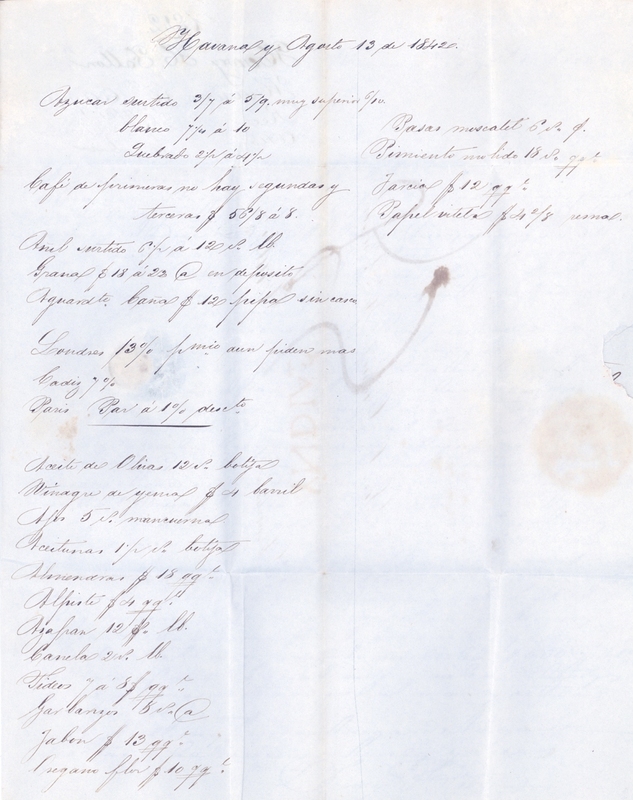 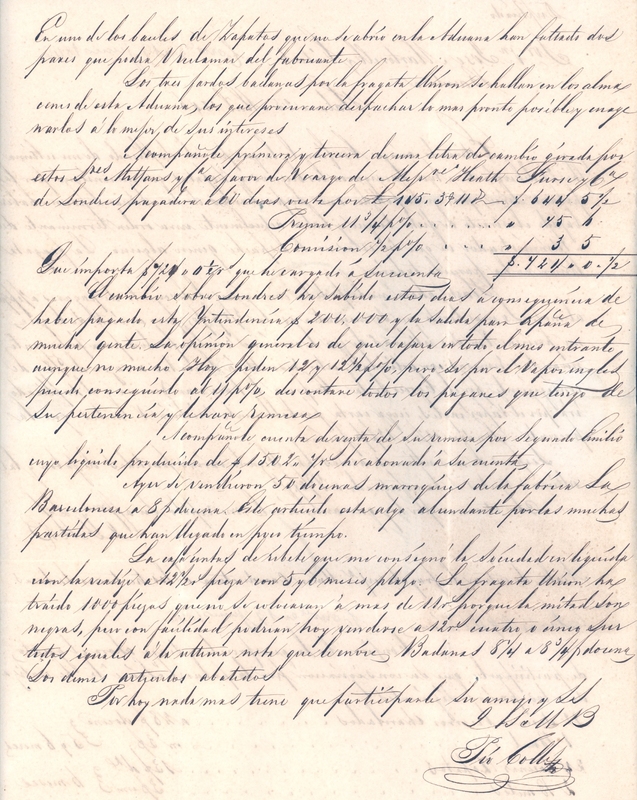 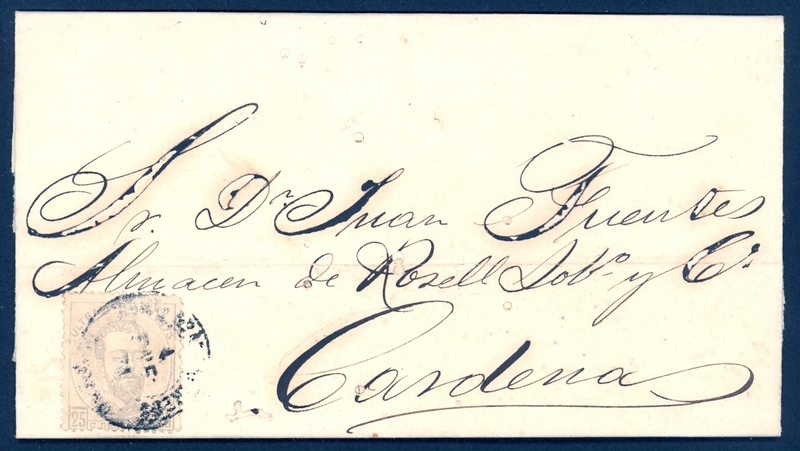 671 Scott 51 Havana to Cardenas, 4 Sep 1871. 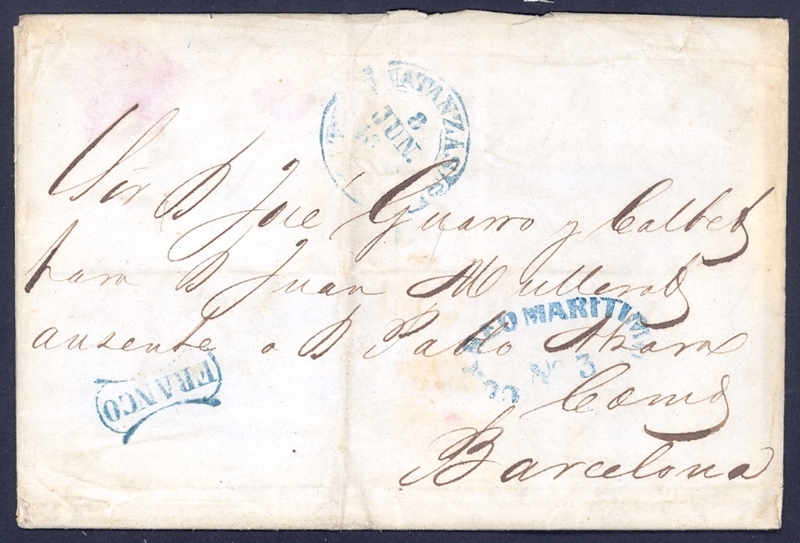 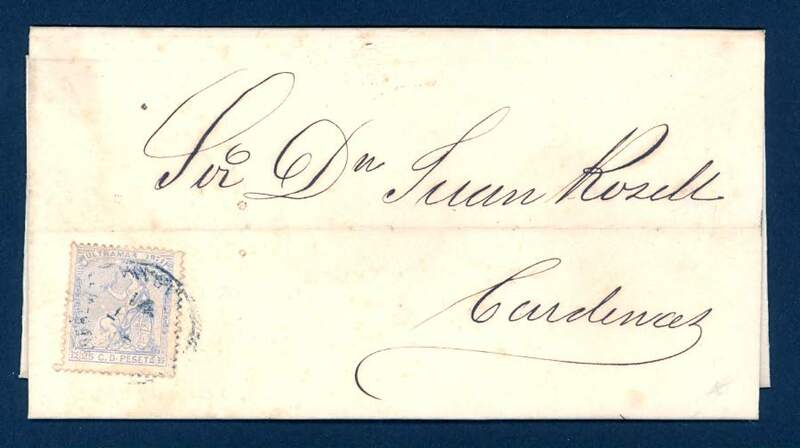 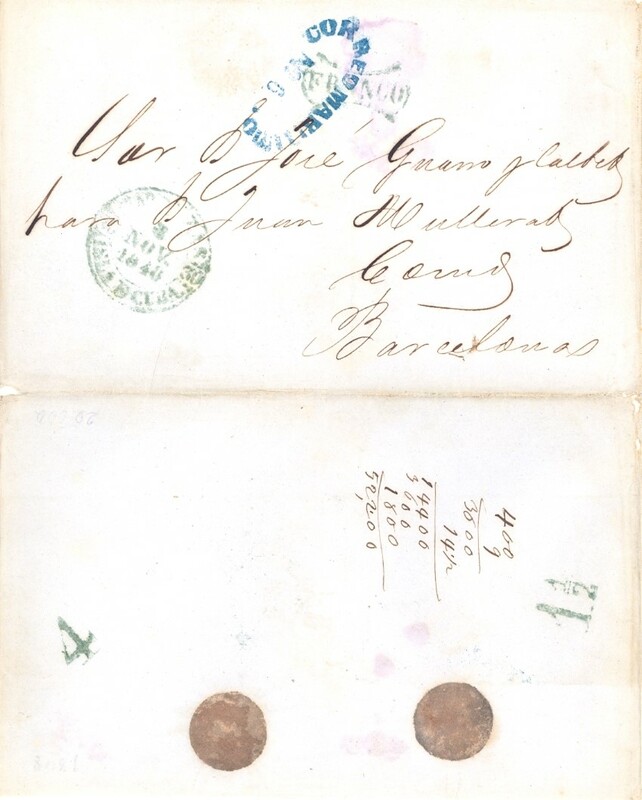 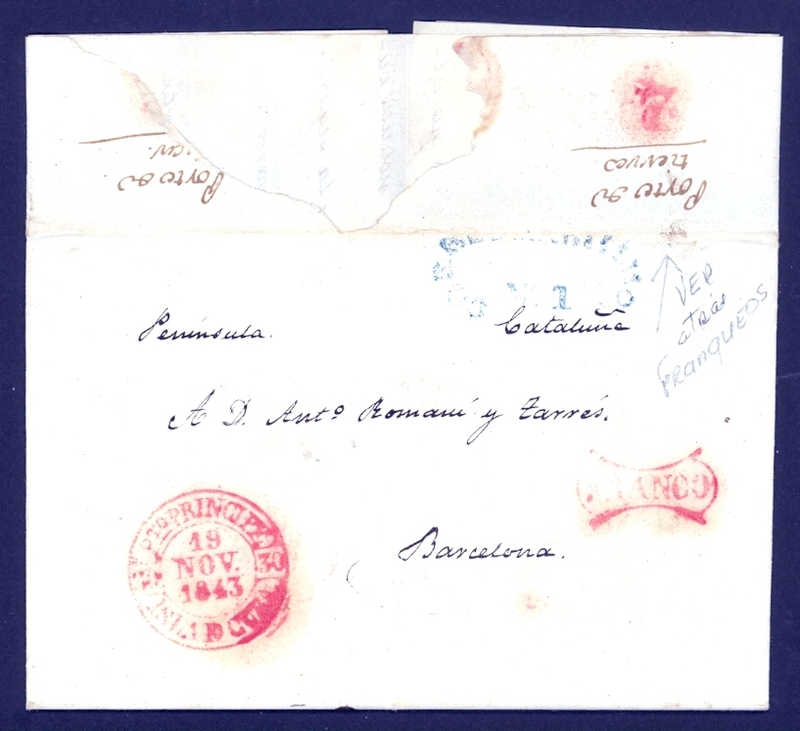 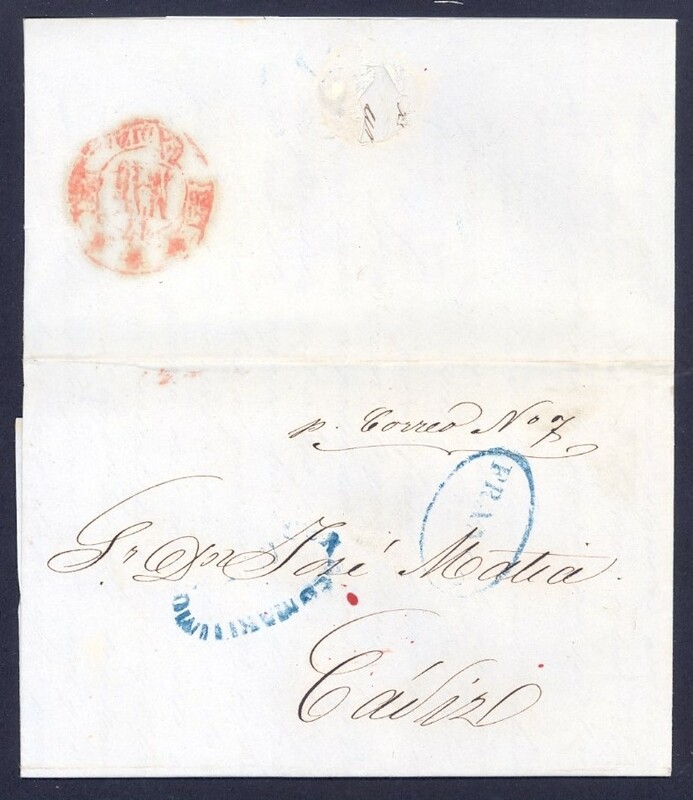 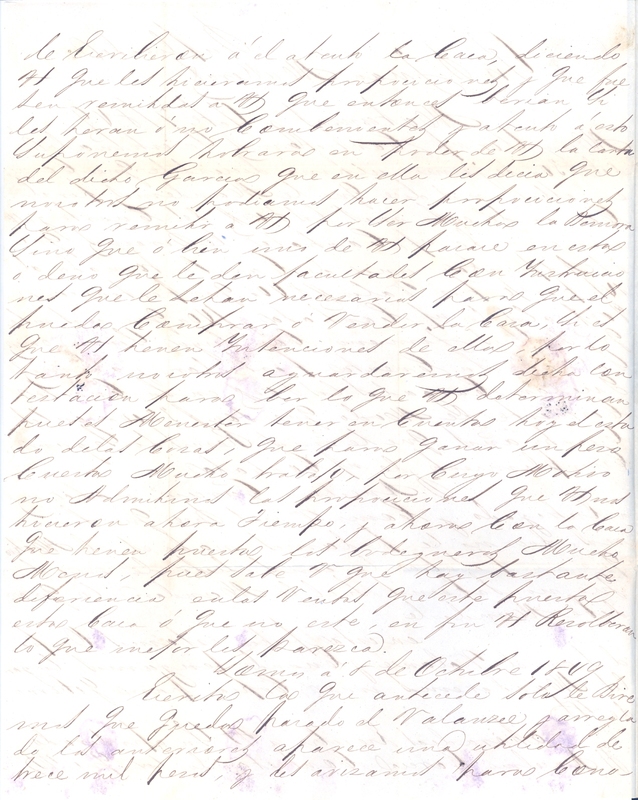 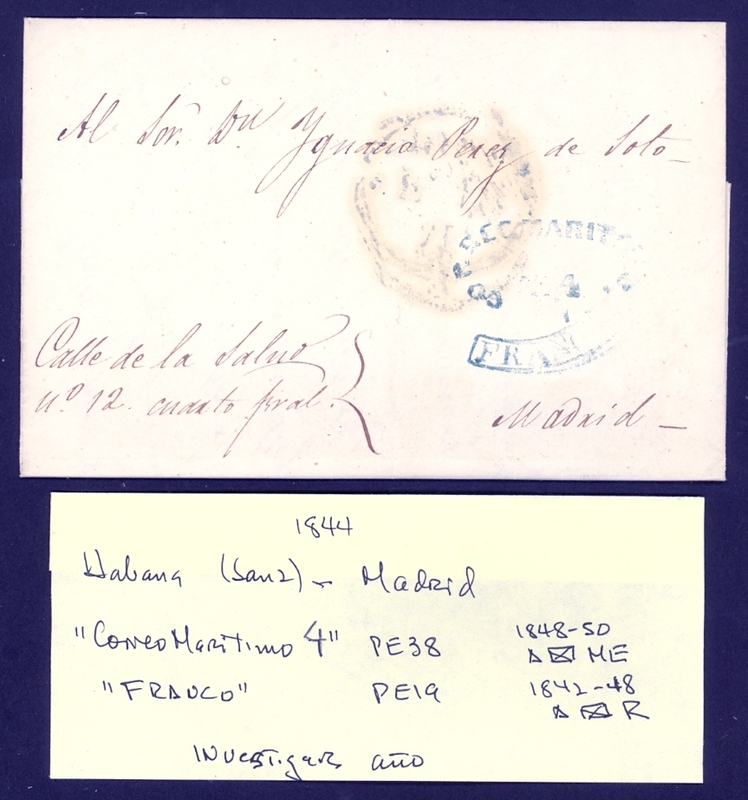 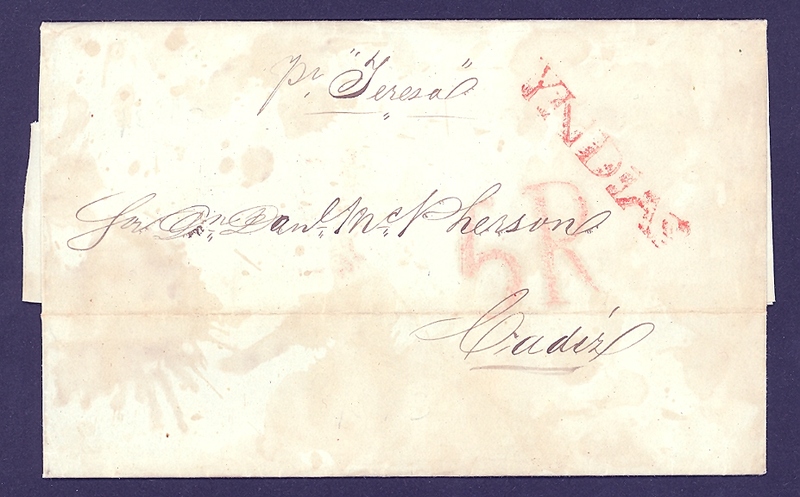 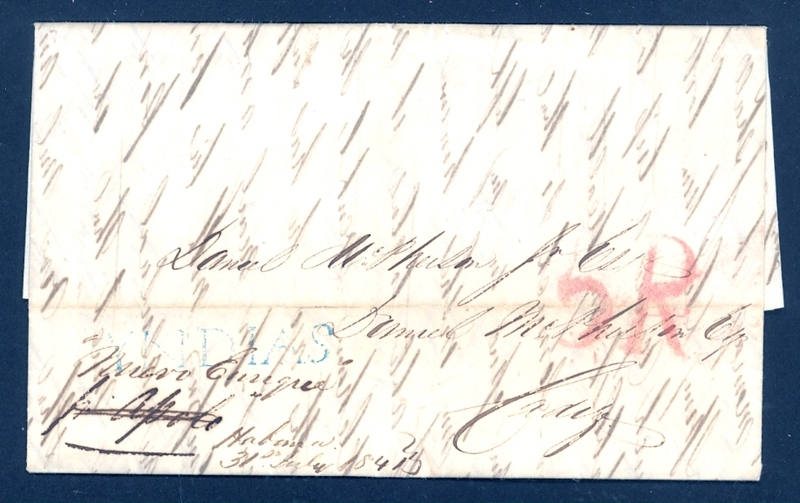 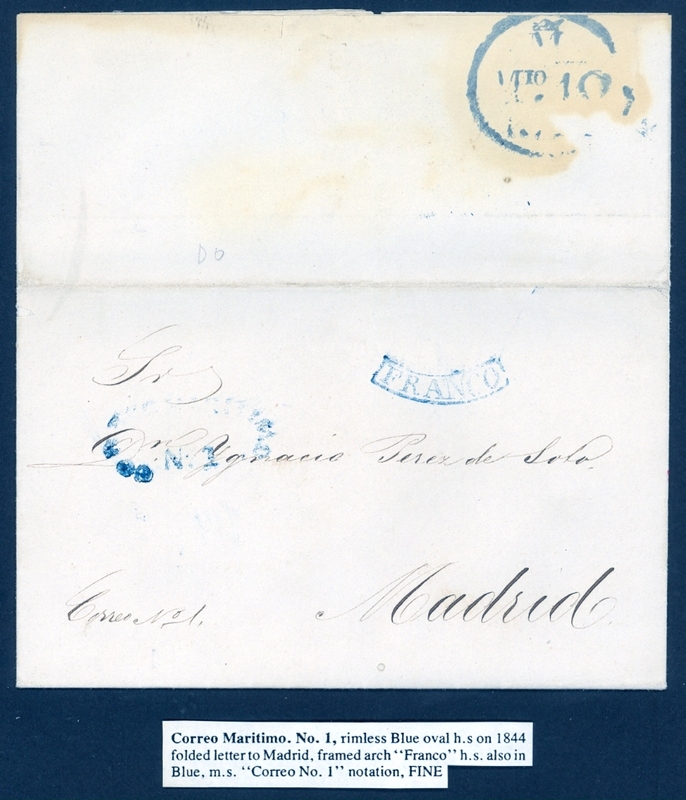 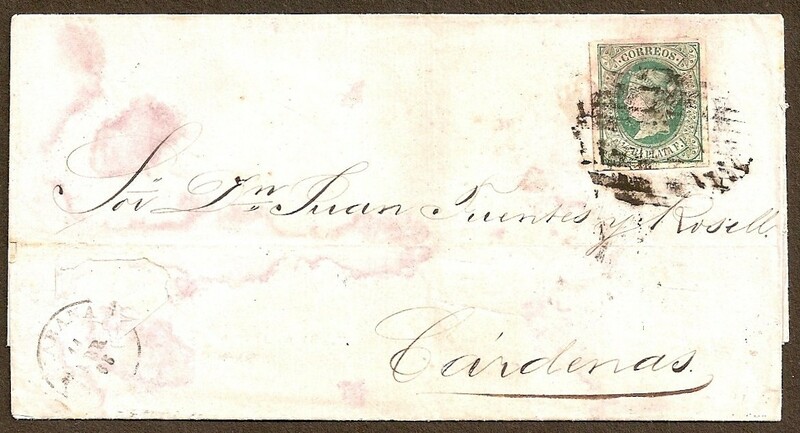 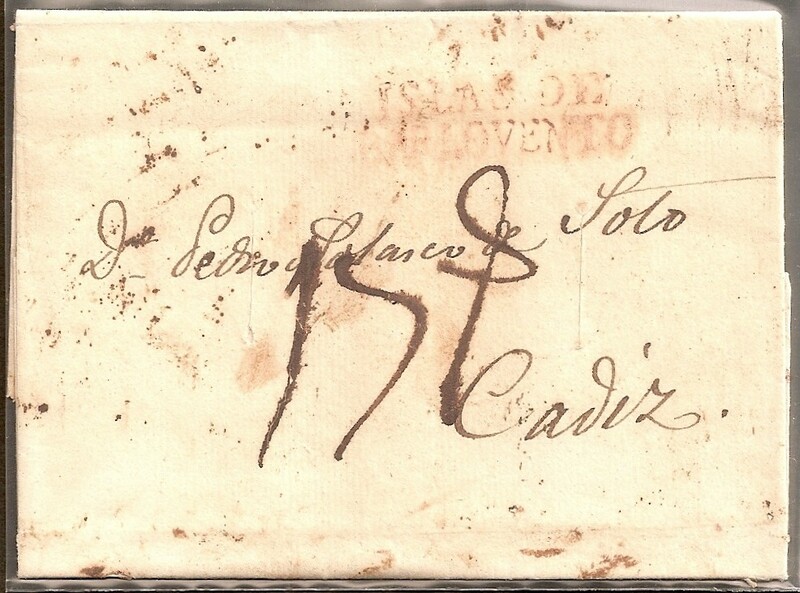 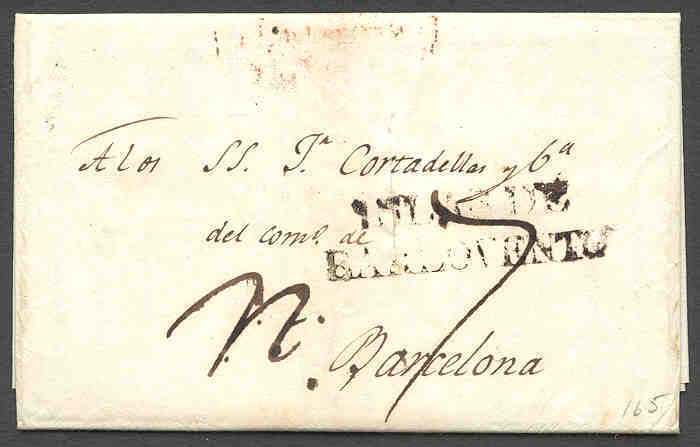 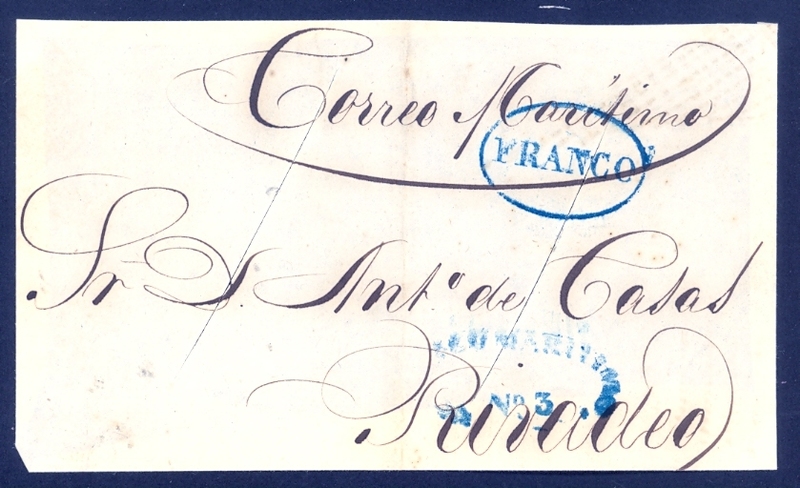 676 Scott 55 Regla to Cardenas, 4 Jan 1874. 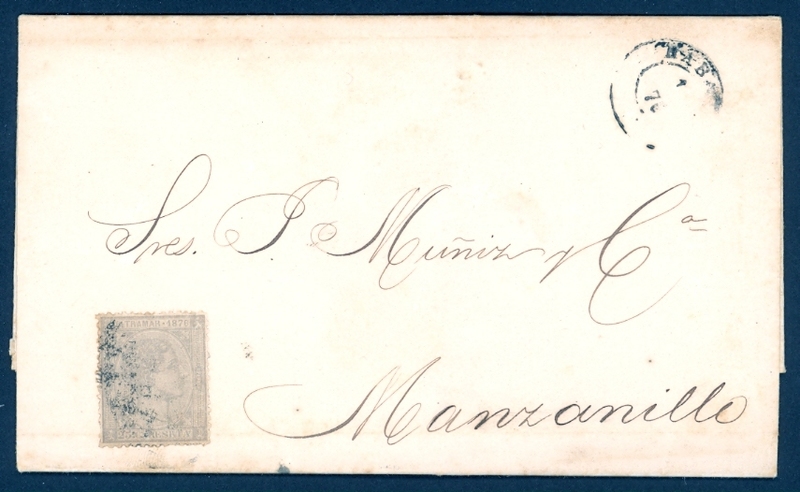 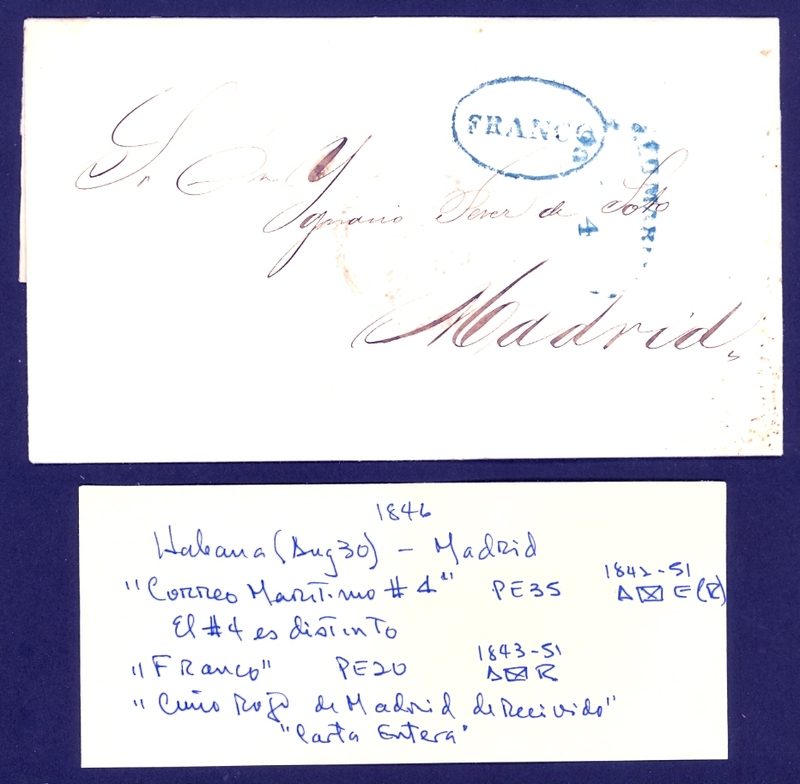 679 Scott 64 Havana to Manzanillo, 20 Feb 1875. 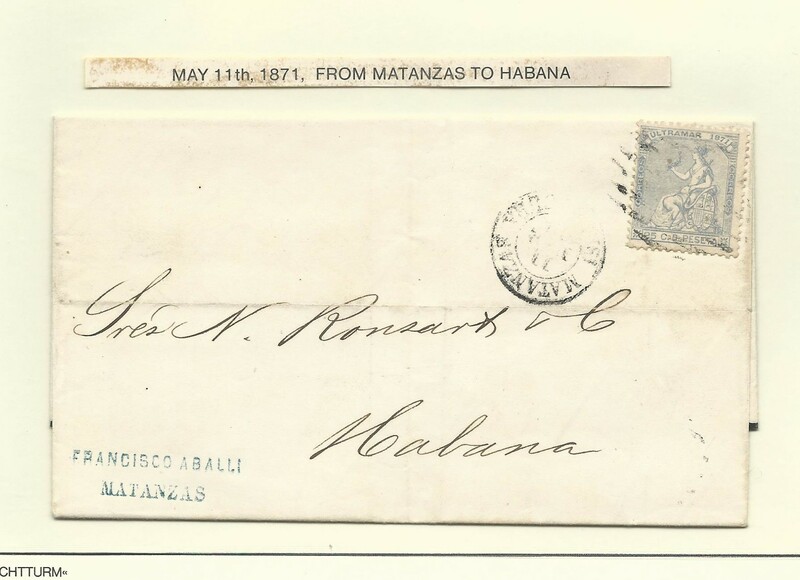 680 Scott 64 Havana to Manzanillo, 21 Sep 1875. 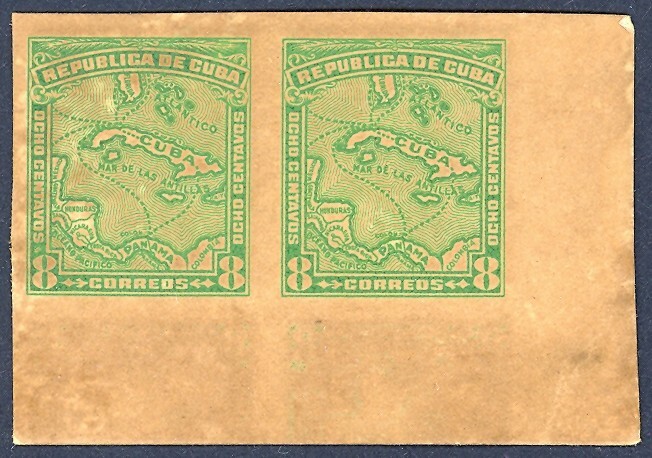 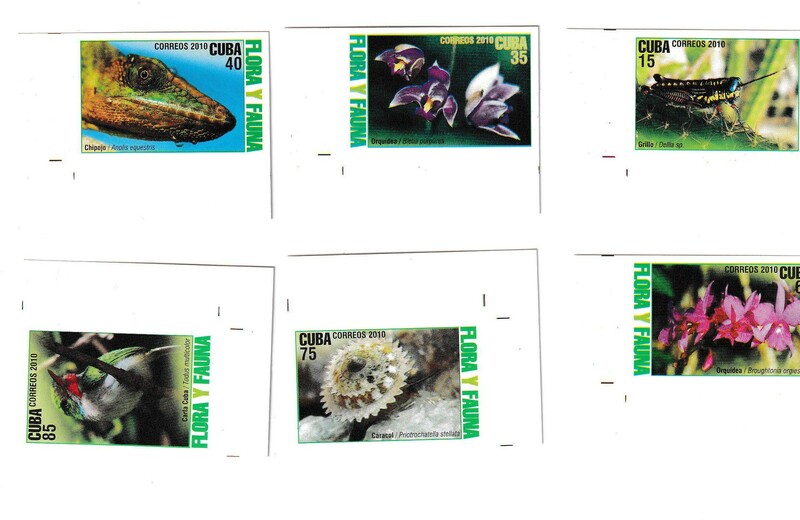 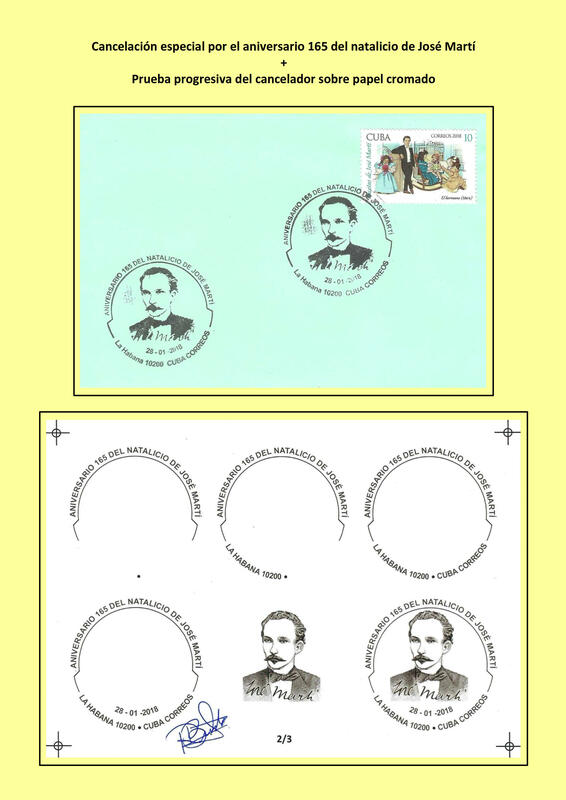 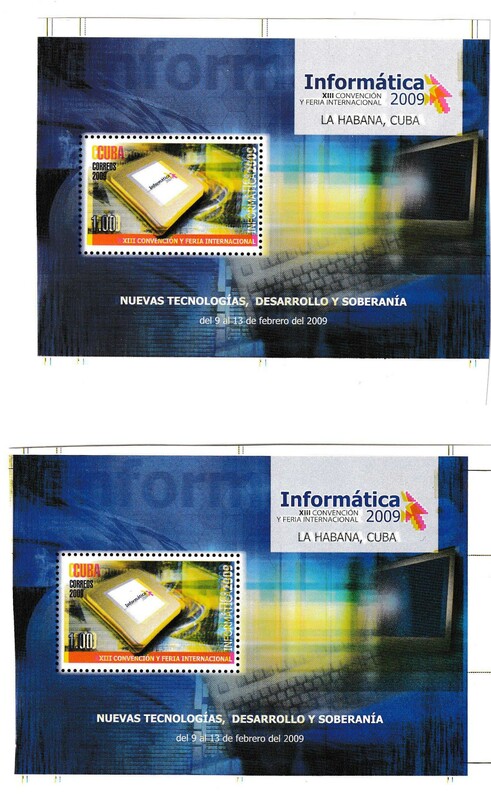 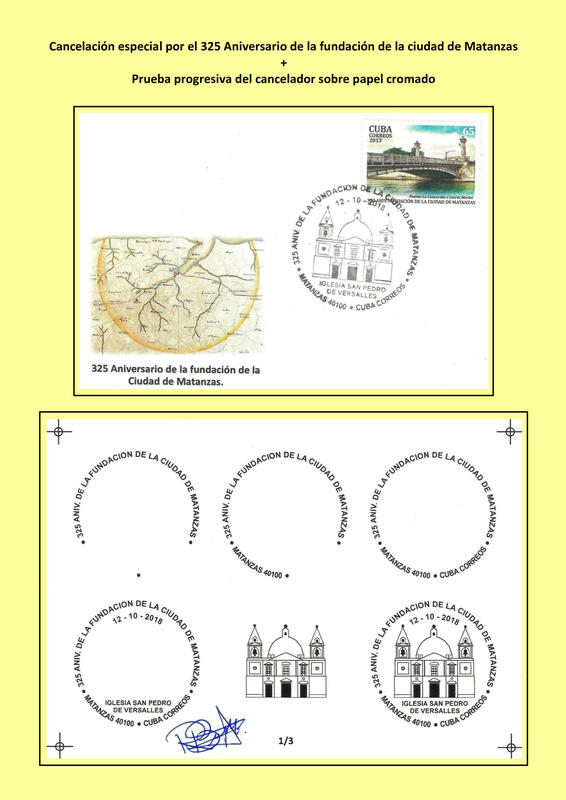 691 Scott 80 Havana to Philadelphia via New York, rare Correos Havana cds.